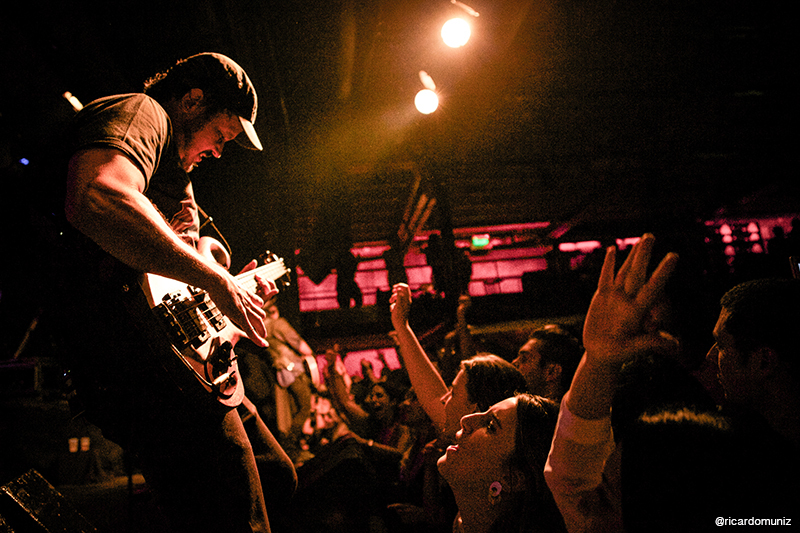 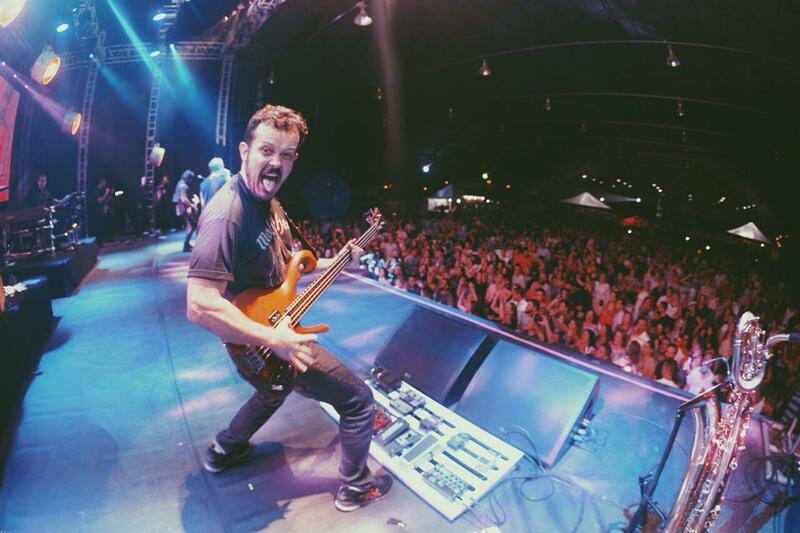 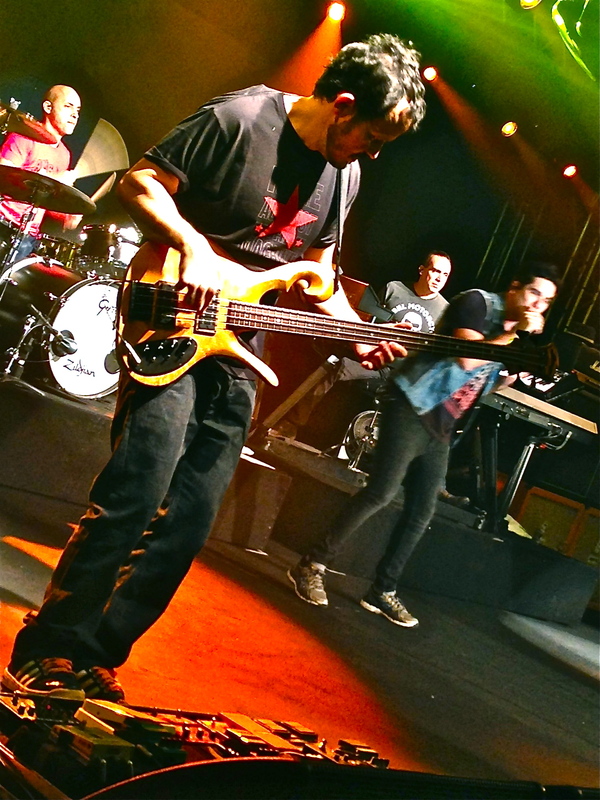 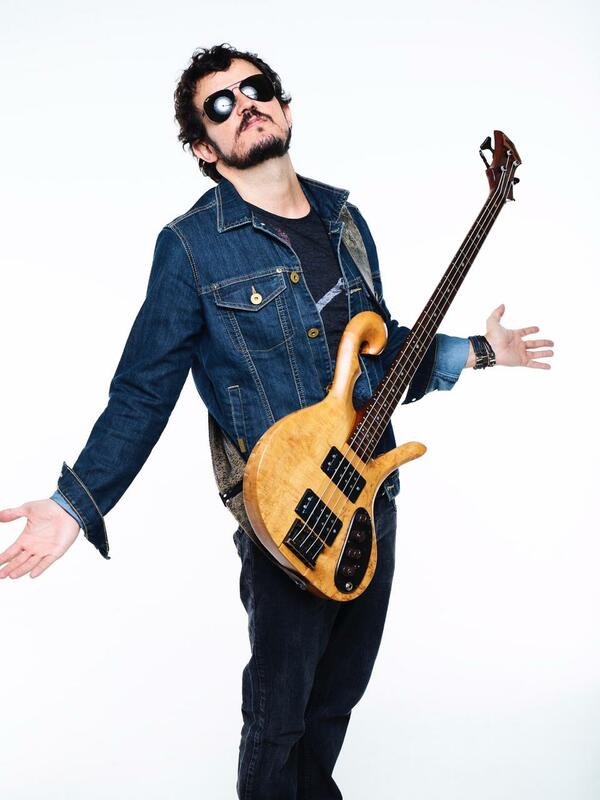 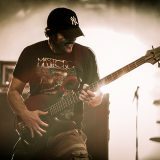 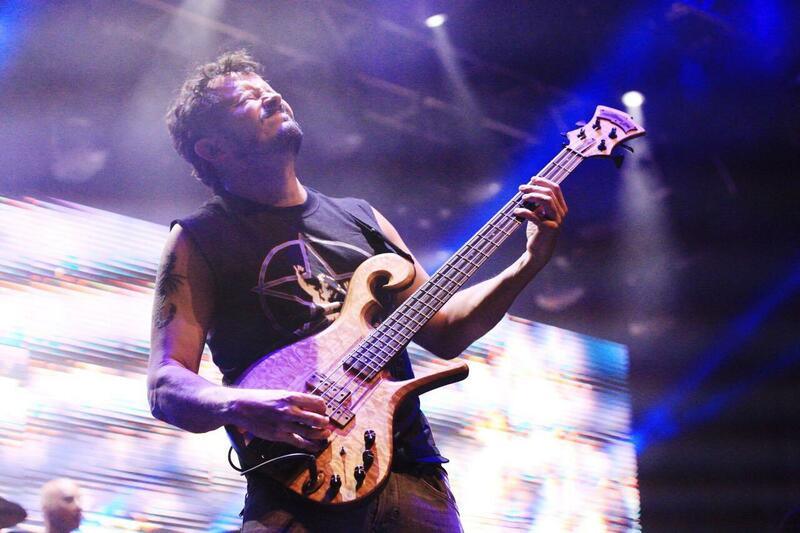 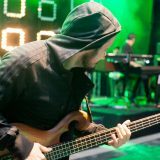 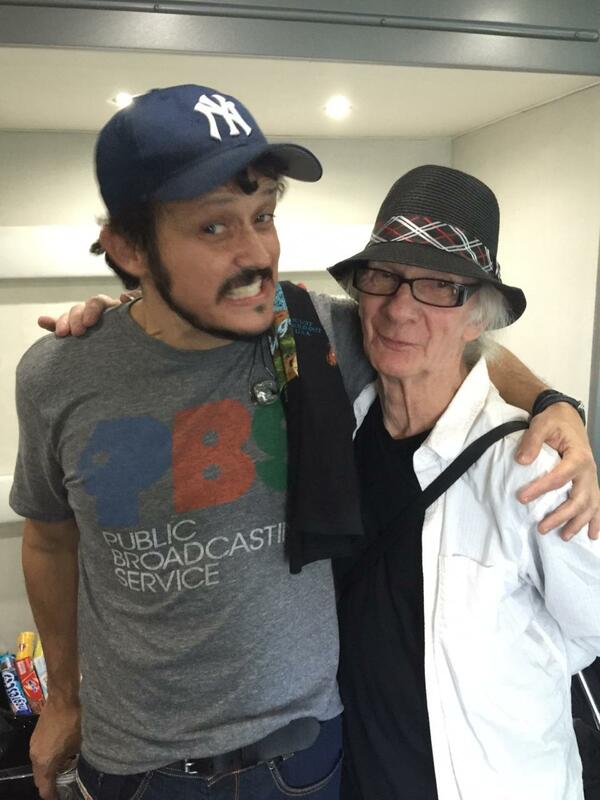 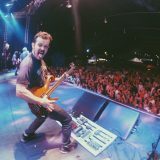 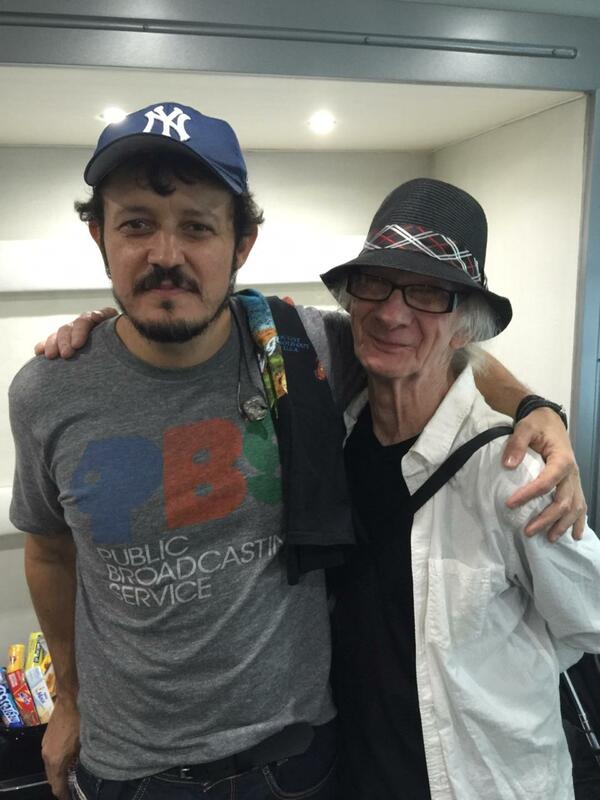 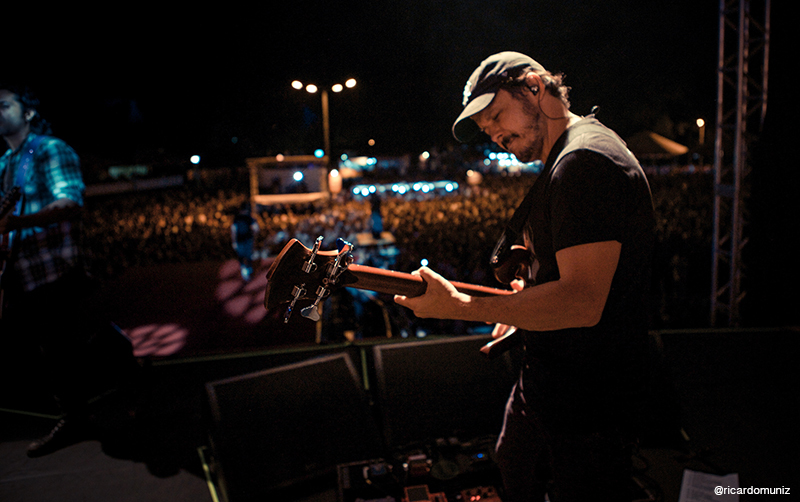 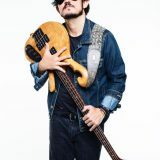 Paulo ‘PJ’ Roberto Diniz, Jr.
PJ is the bass player from Jota Quest, Brazil’s most famous pop funk rock band. 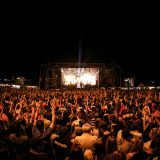 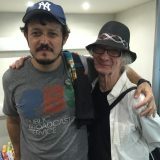 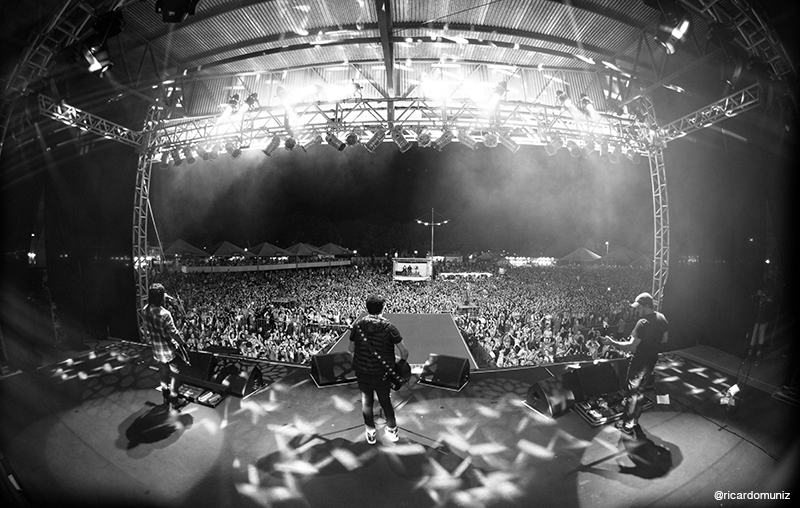 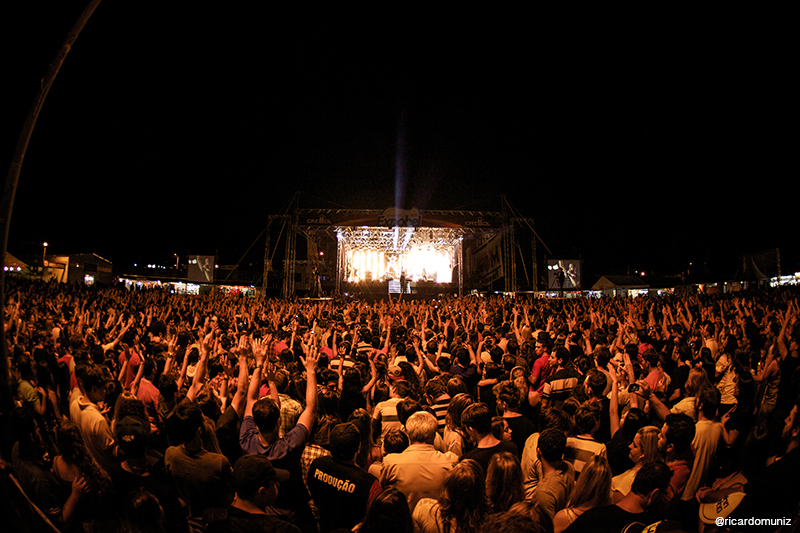 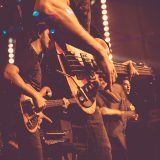 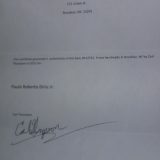 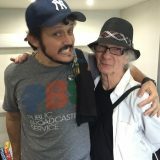 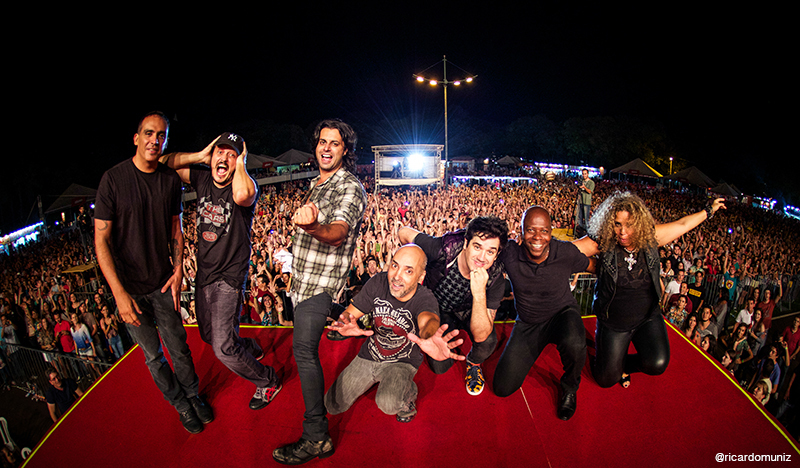 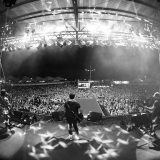 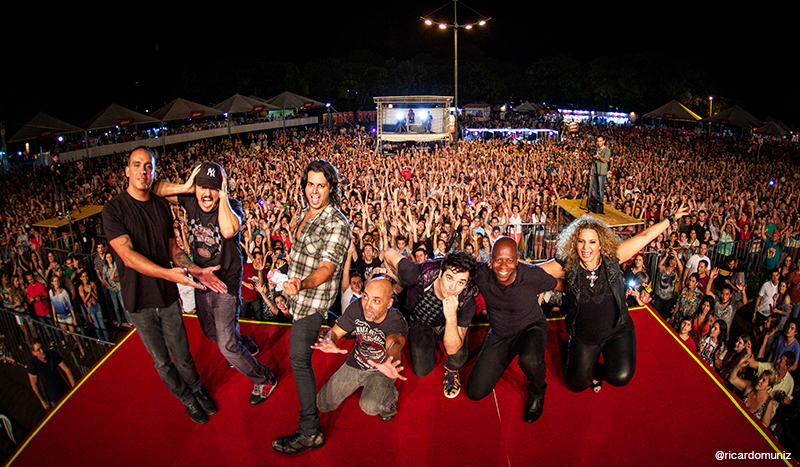 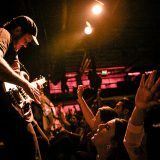 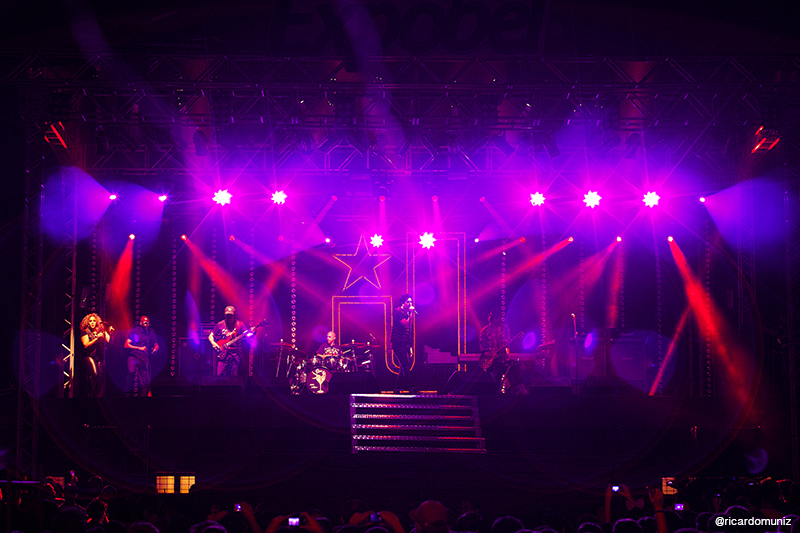 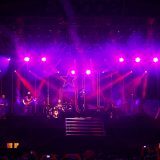 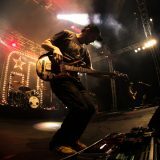 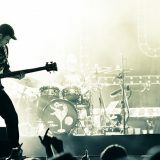 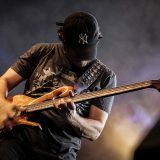 Signed to Sony Music since 1996, Jota Quest play around 130 shows per year in Brazil, Latin America, Europe and the US. 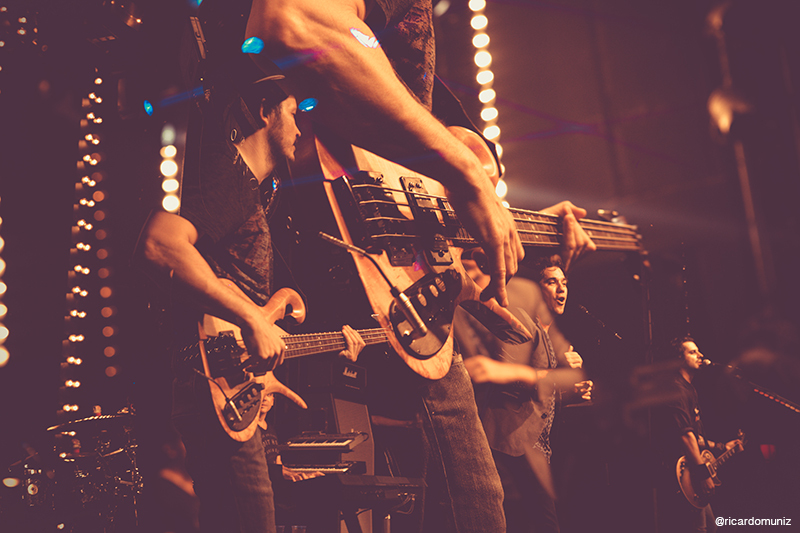 With three platinum albums, three gold albums and two Latin Grammys, the band has attracted a huge international following. 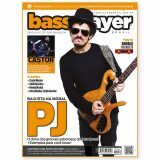 They have collaborated with Nile Rodgers on a recent album, and PJ has been featured on the cover of Bass Player Magazine. 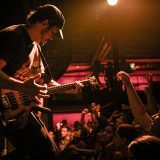 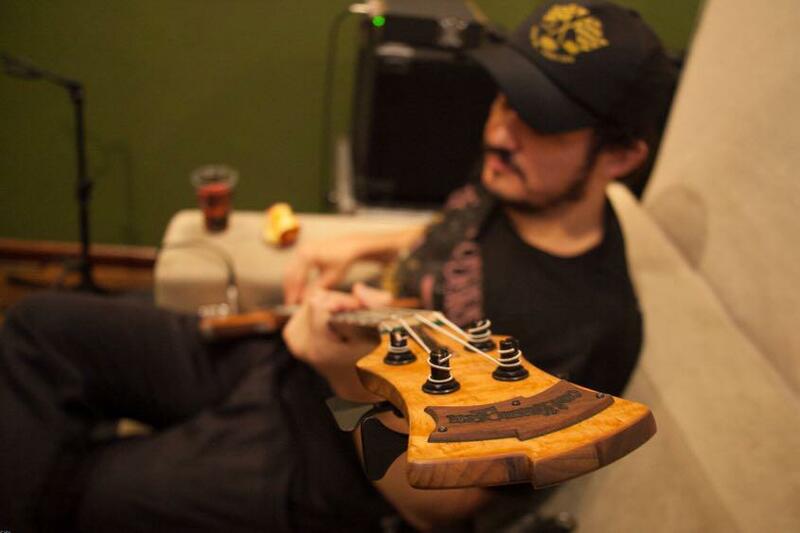 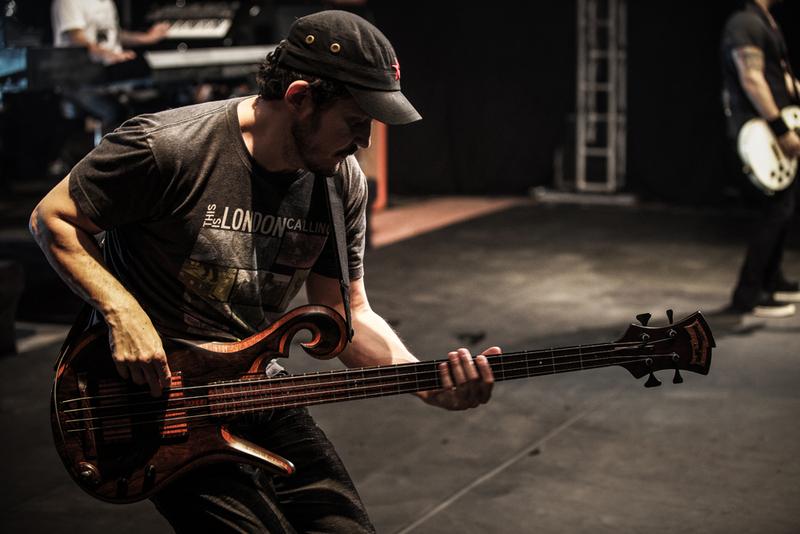 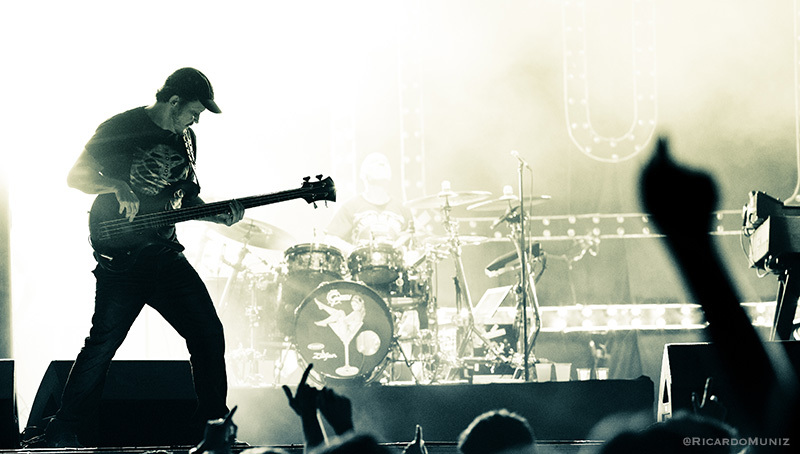 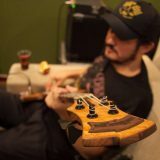 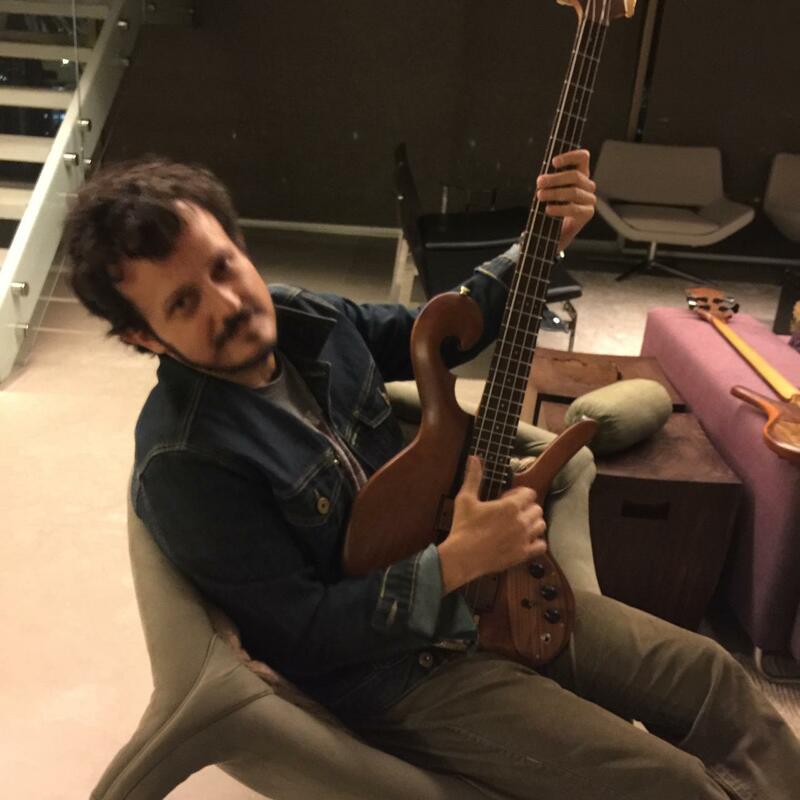 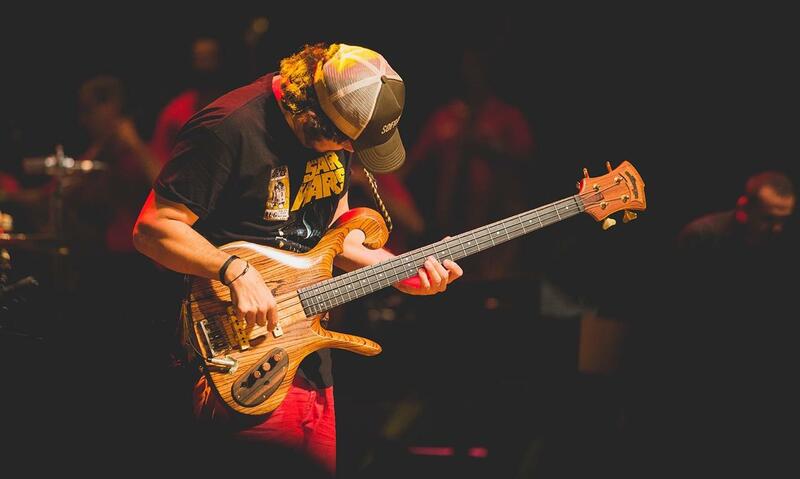 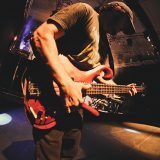 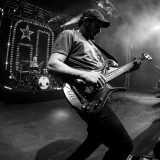 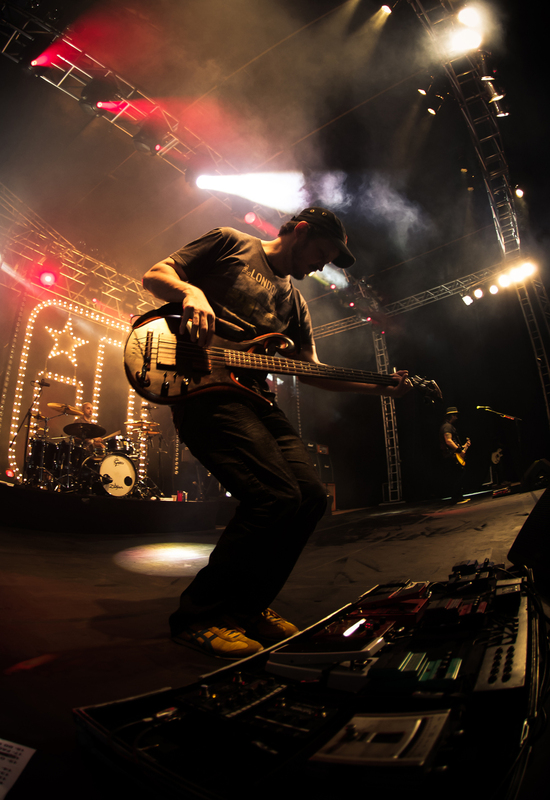 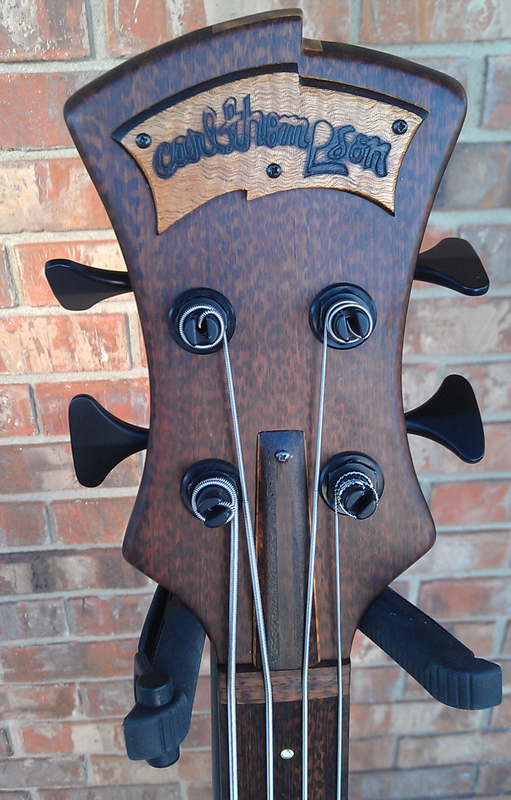 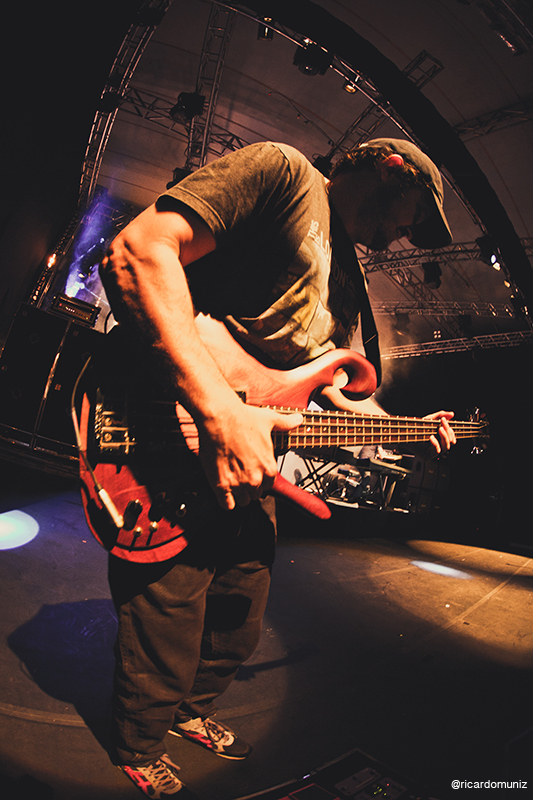 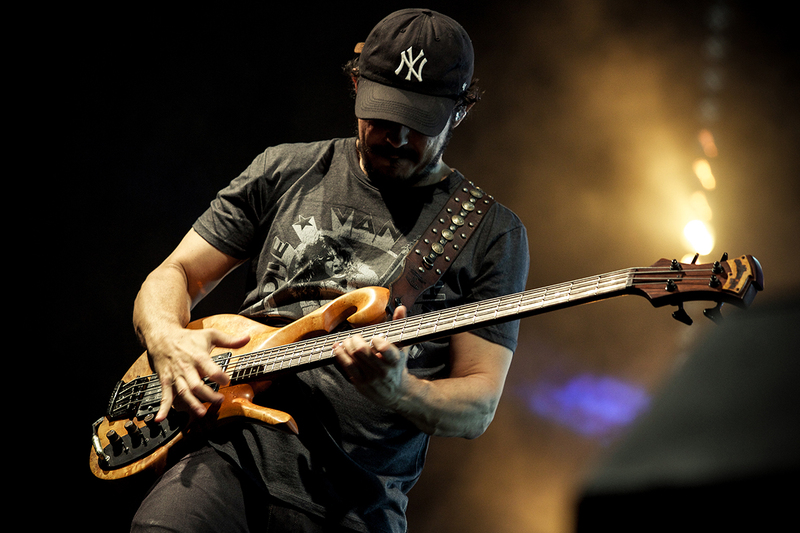 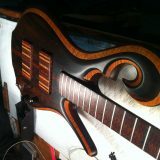 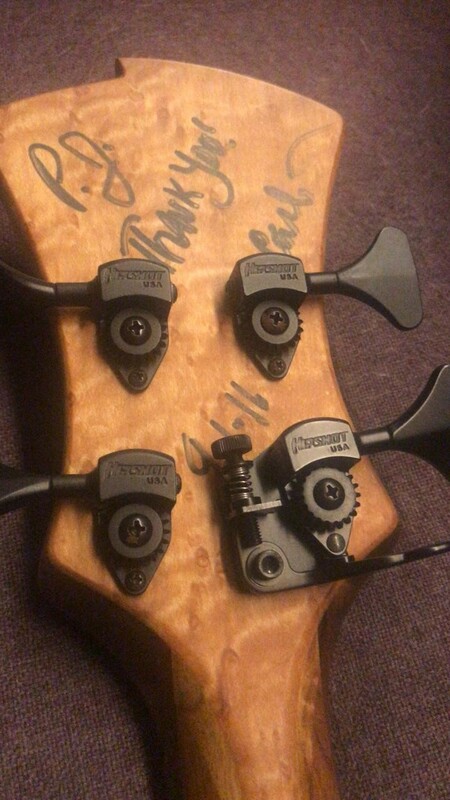 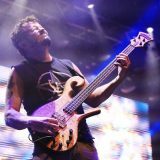 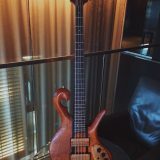 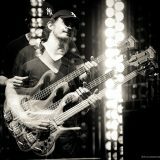 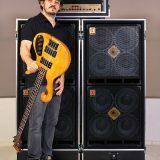 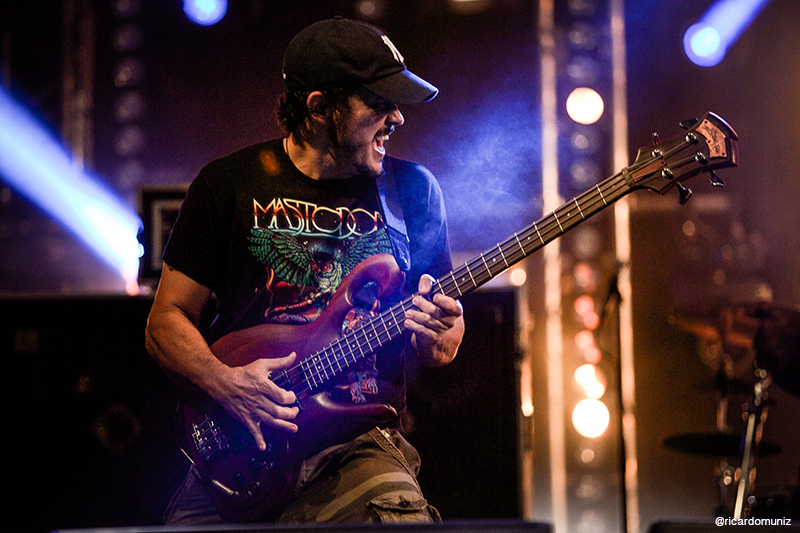 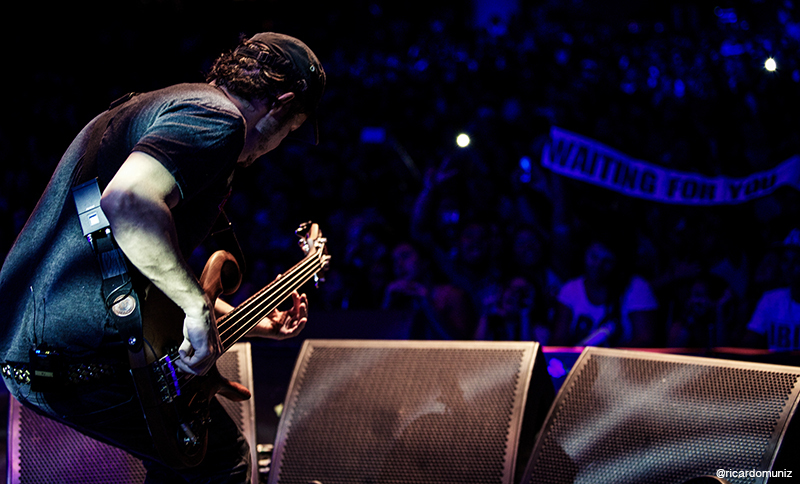 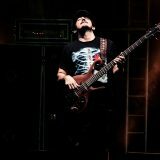 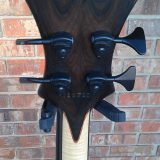 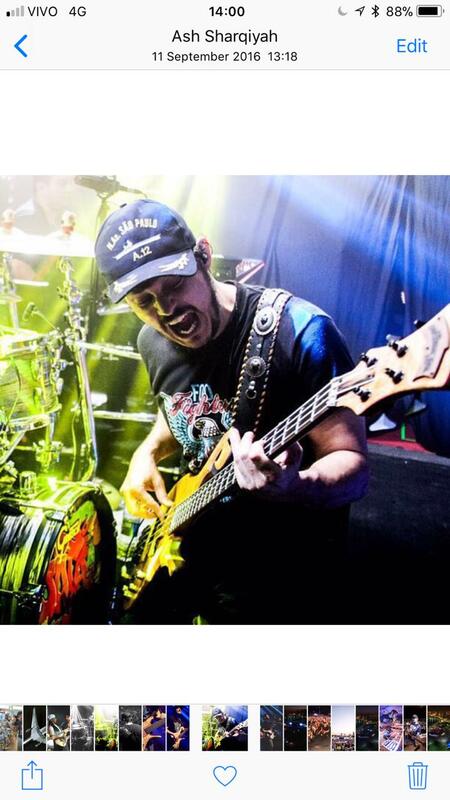 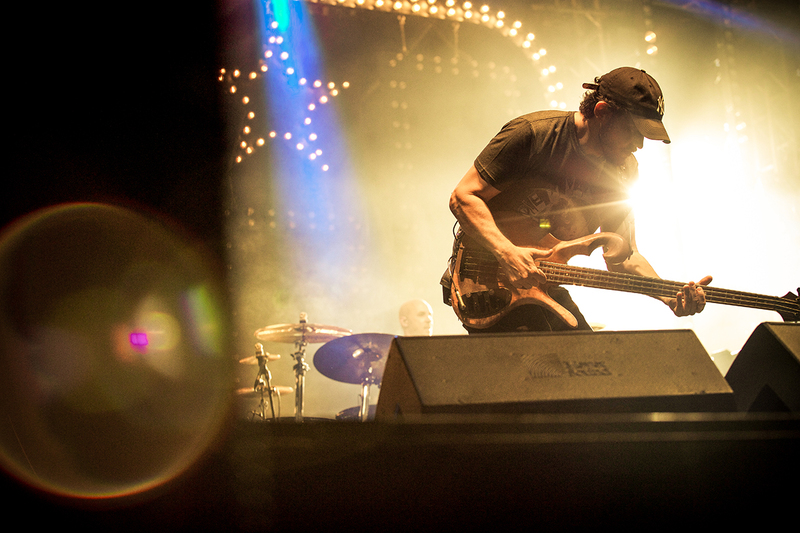 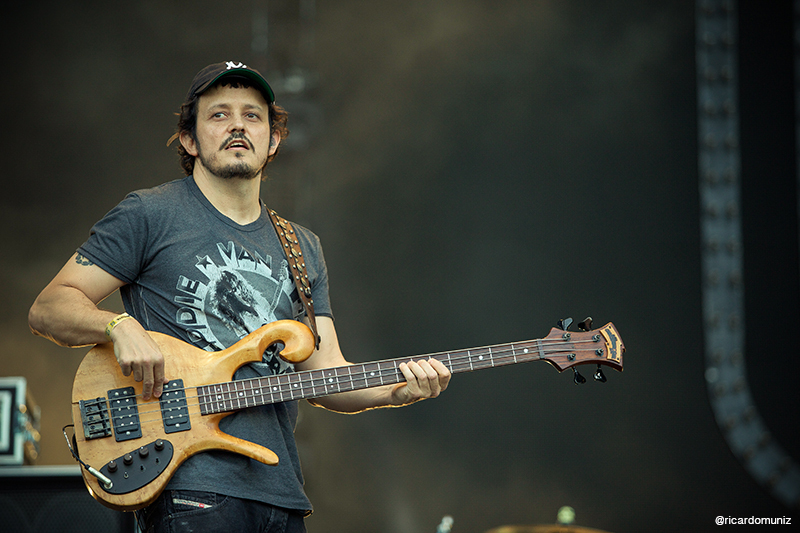 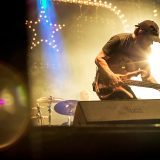 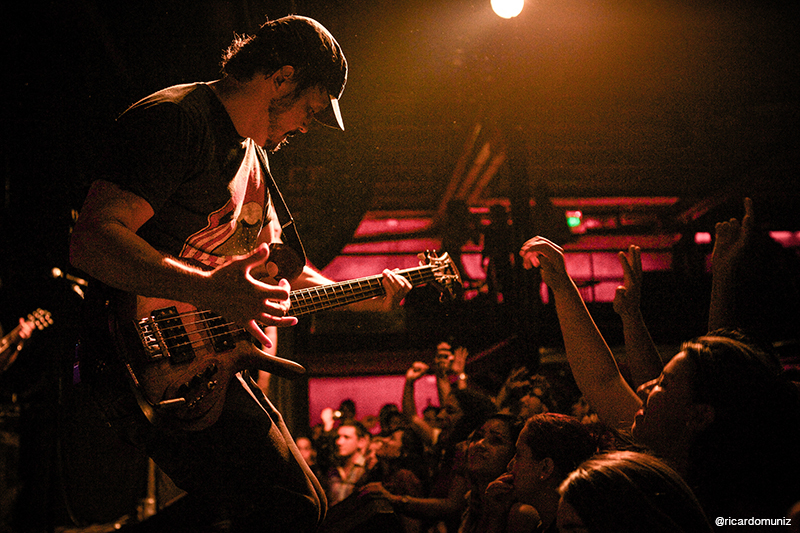 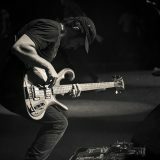 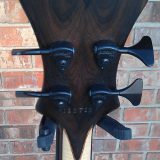 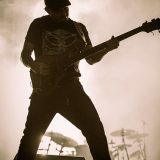 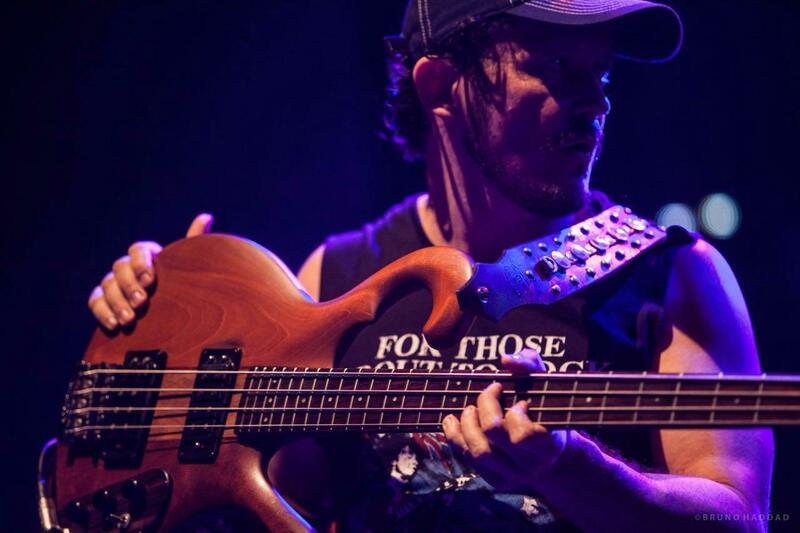 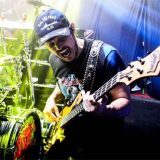 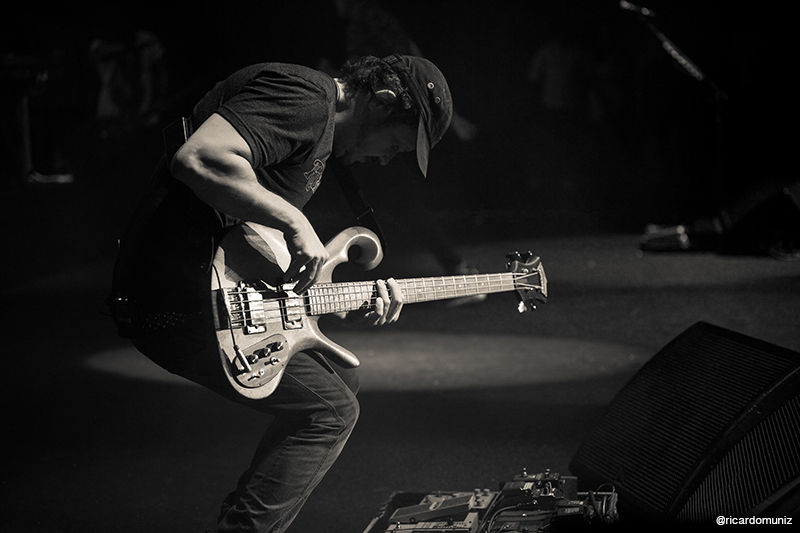 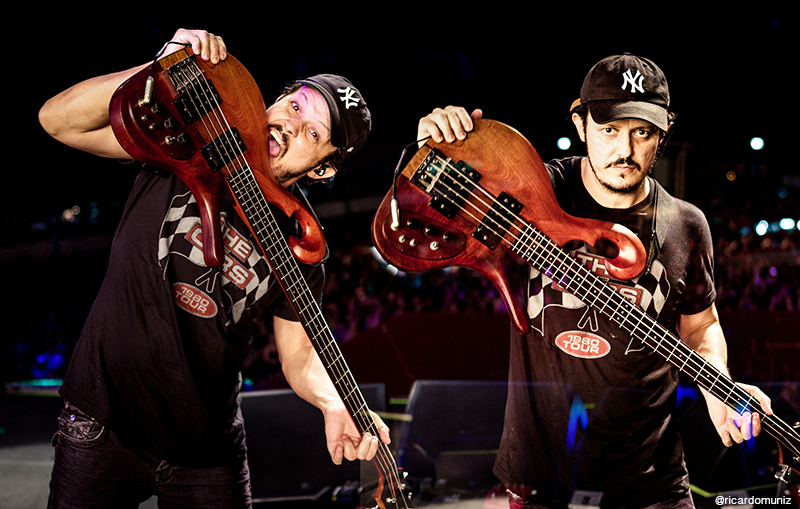 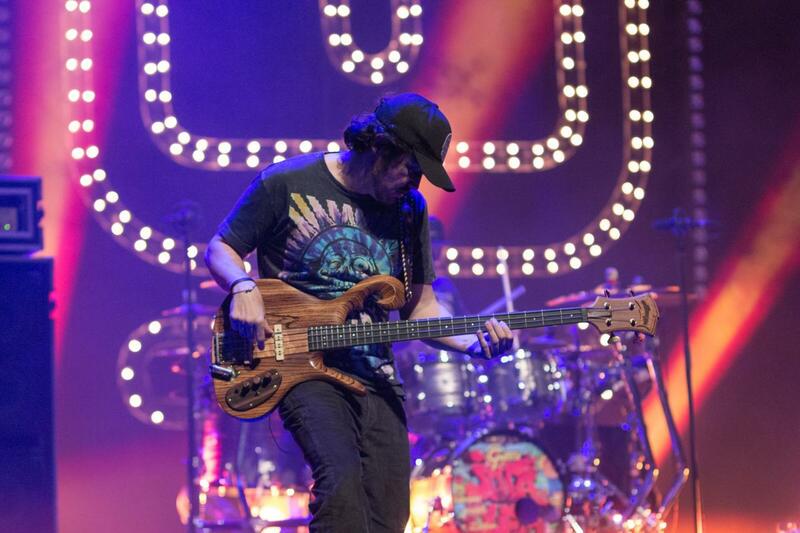 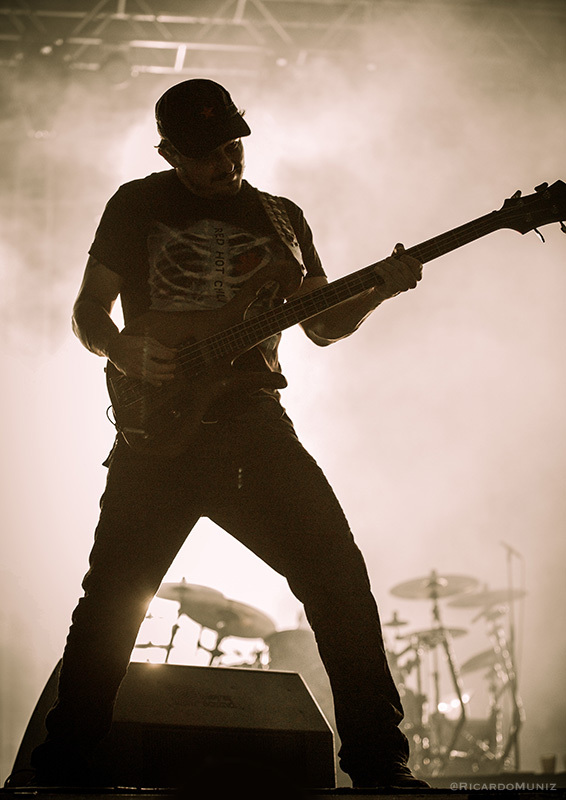 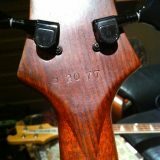 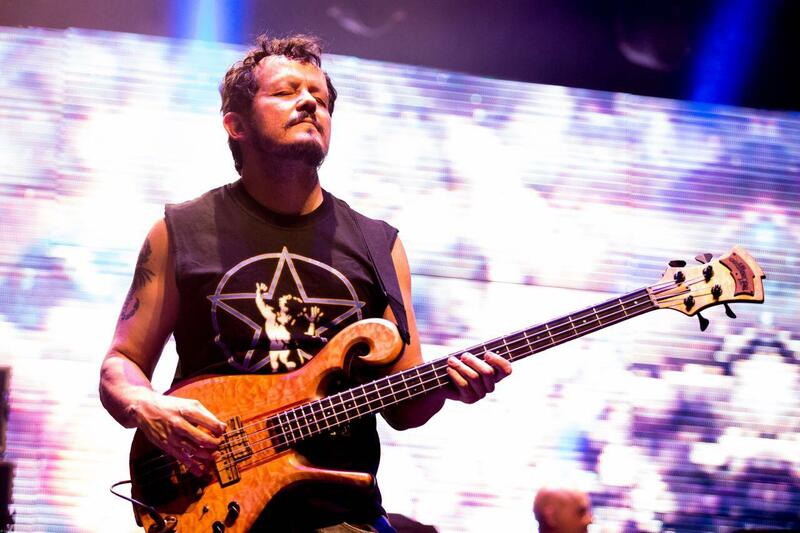 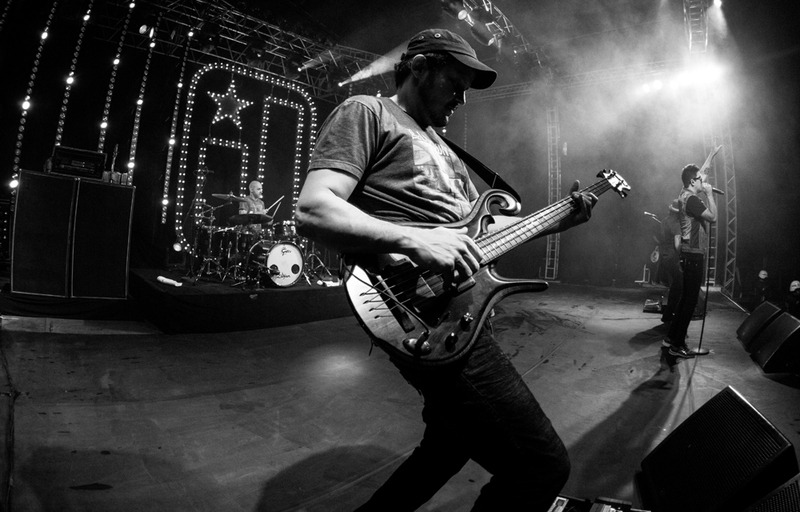 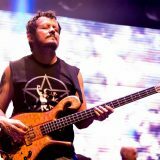 PJ learned of Carl Thompson basses through watching Primus music videos on MTV in the 90s. 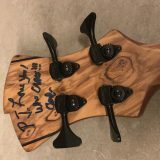 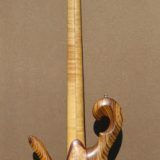 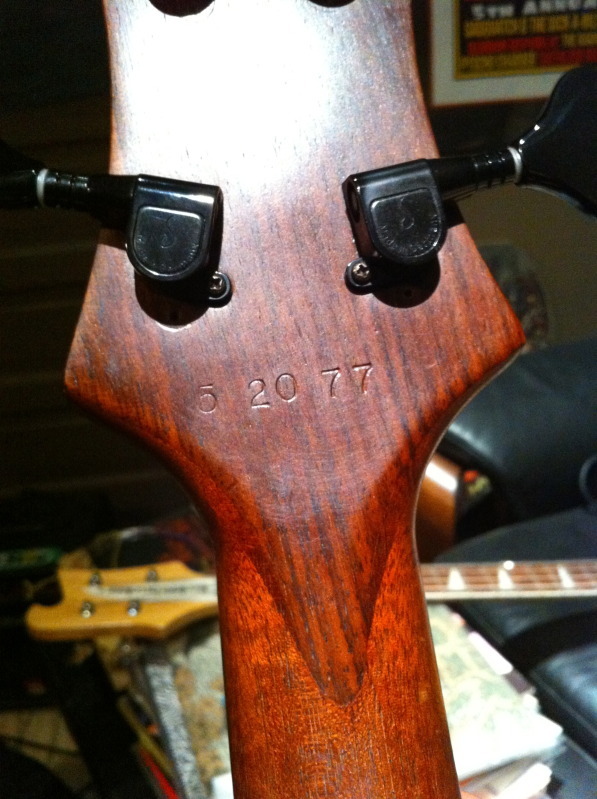 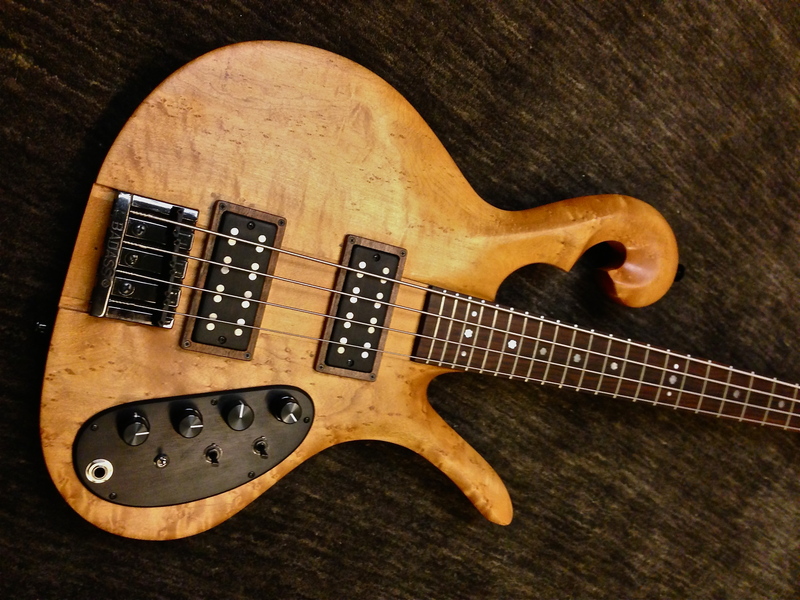 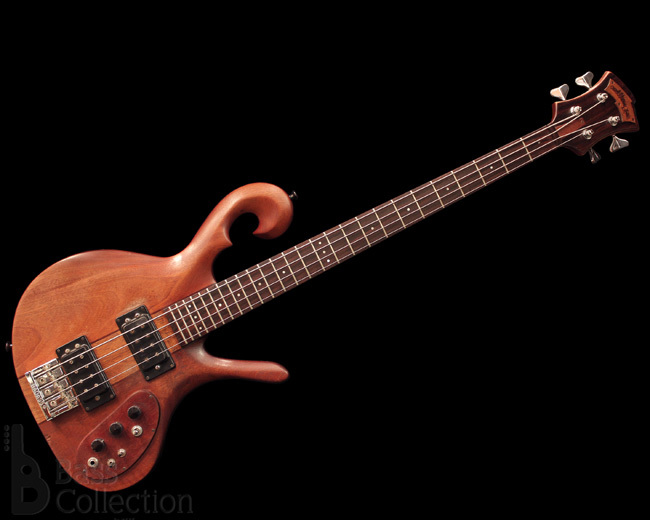 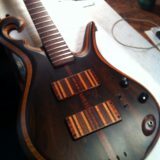 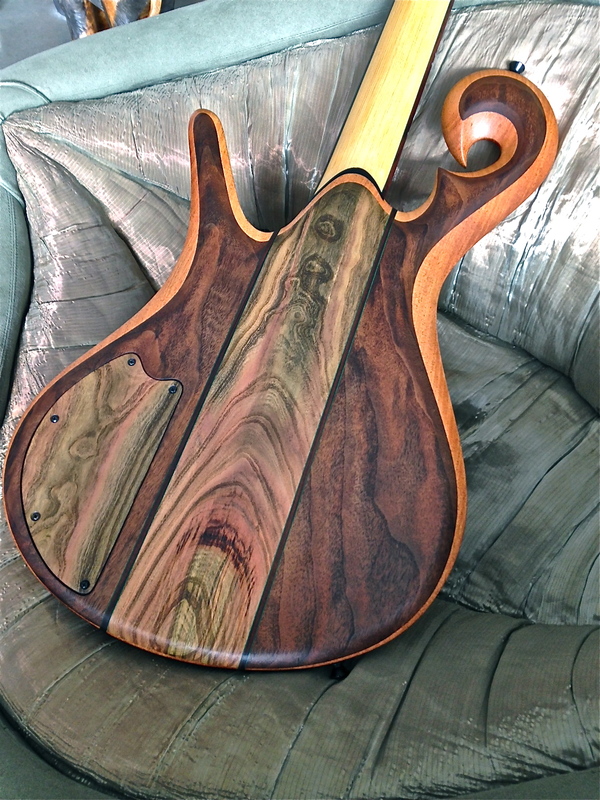 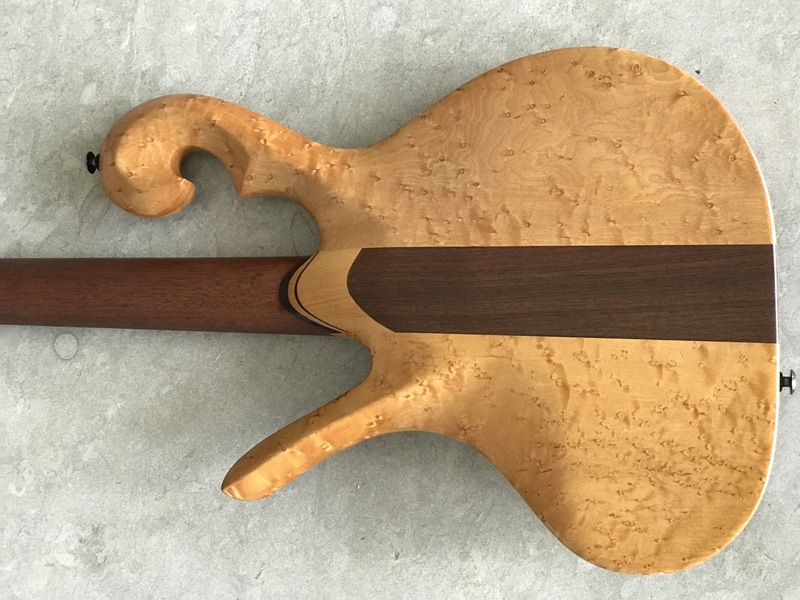 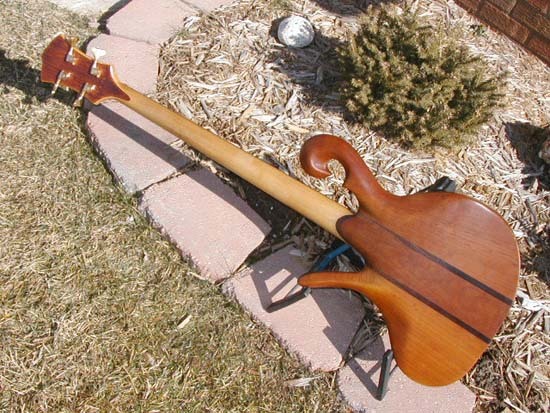 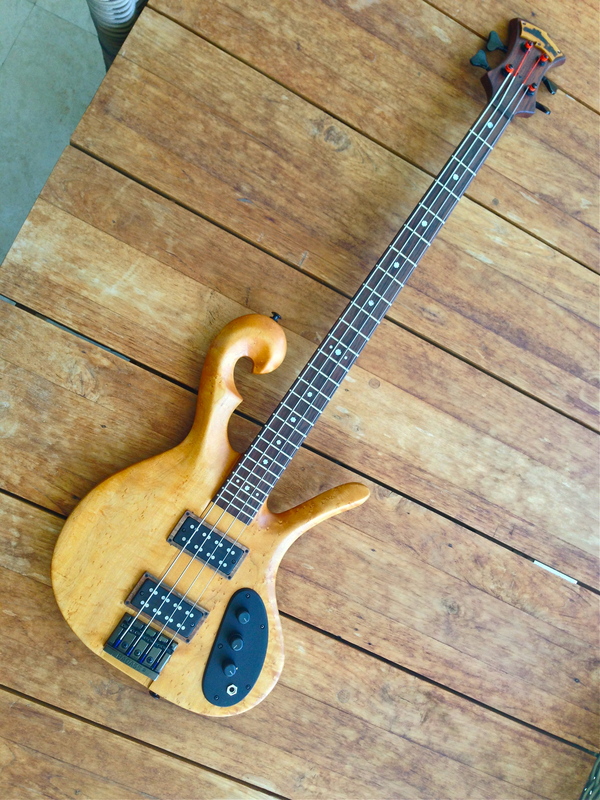 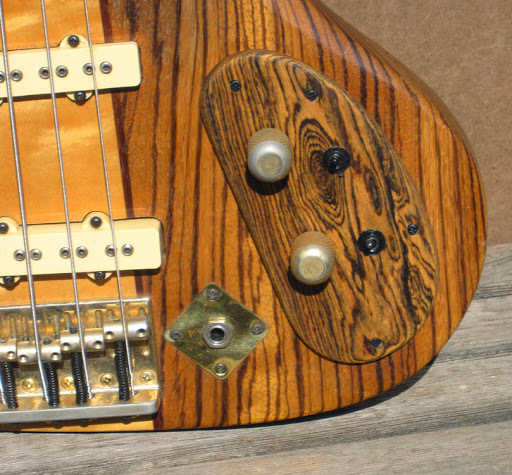 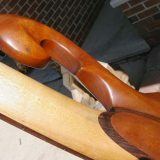 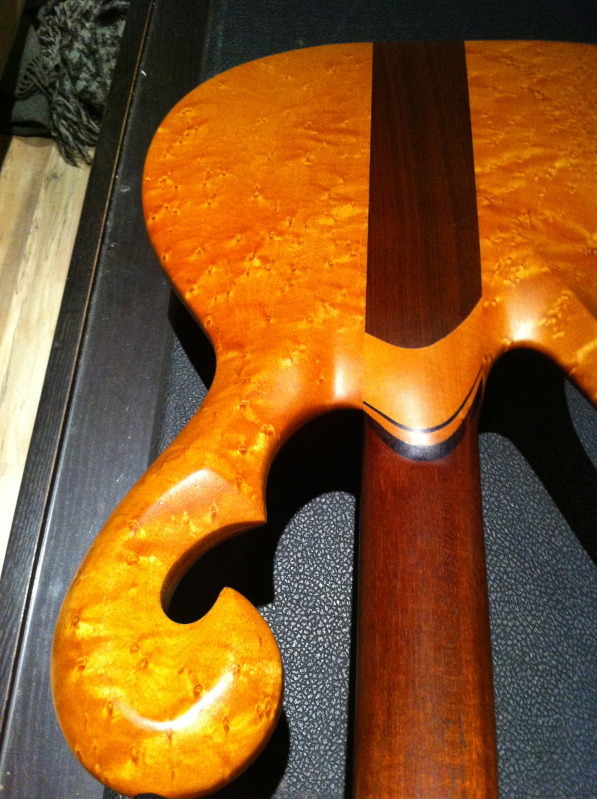 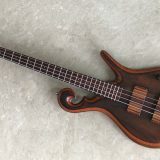 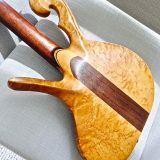 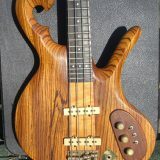 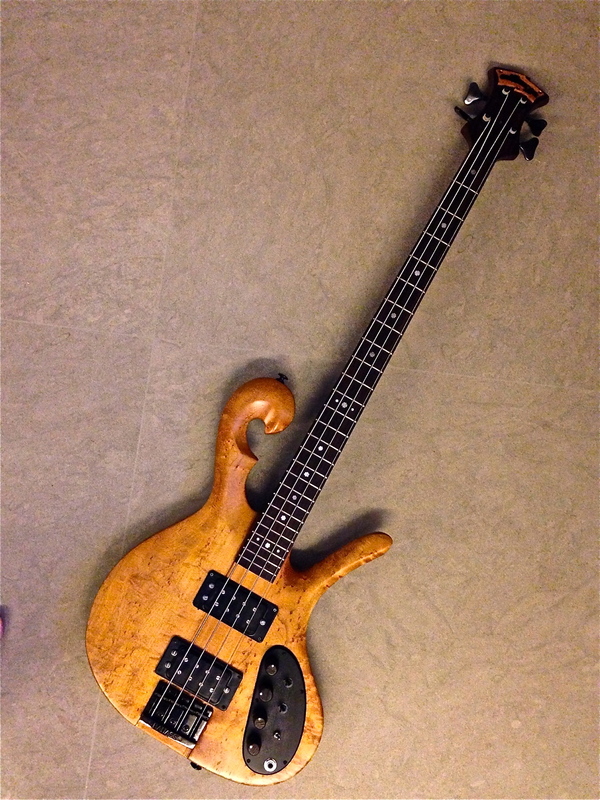 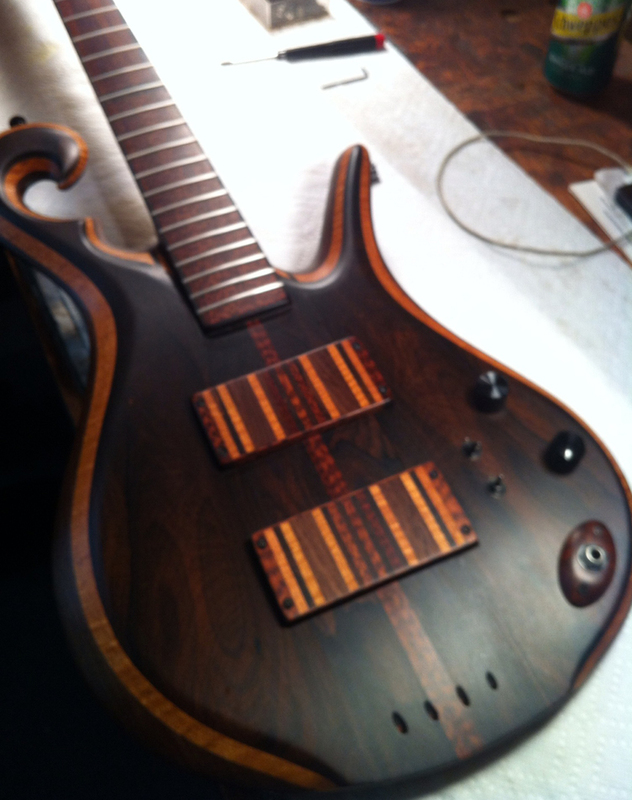 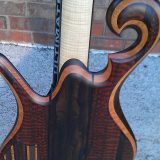 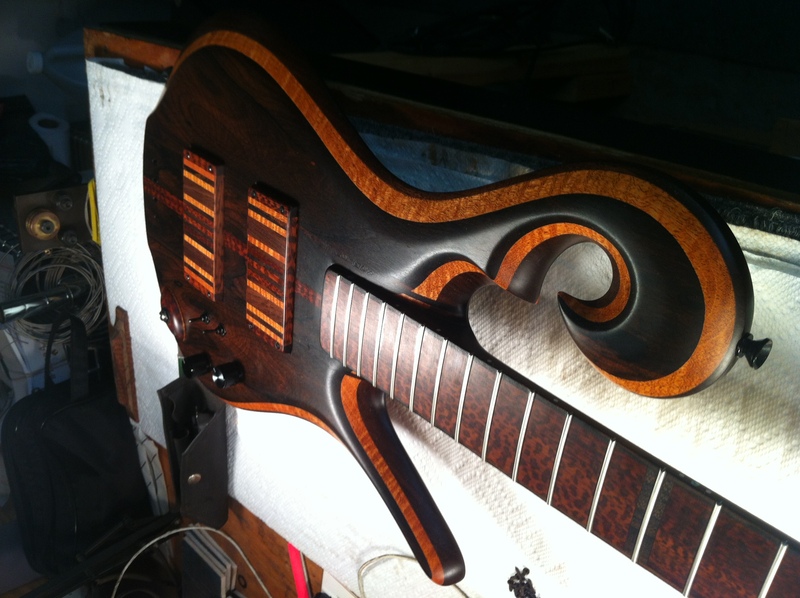 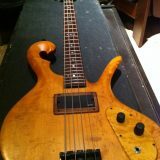 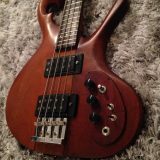 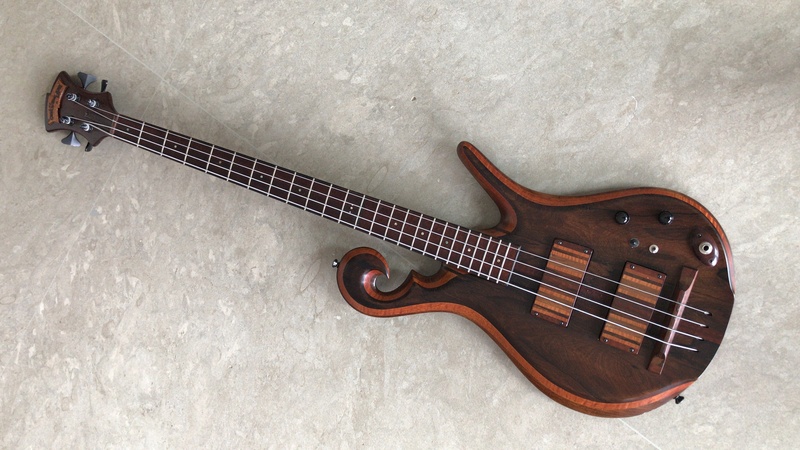 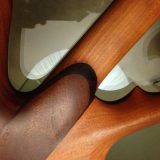 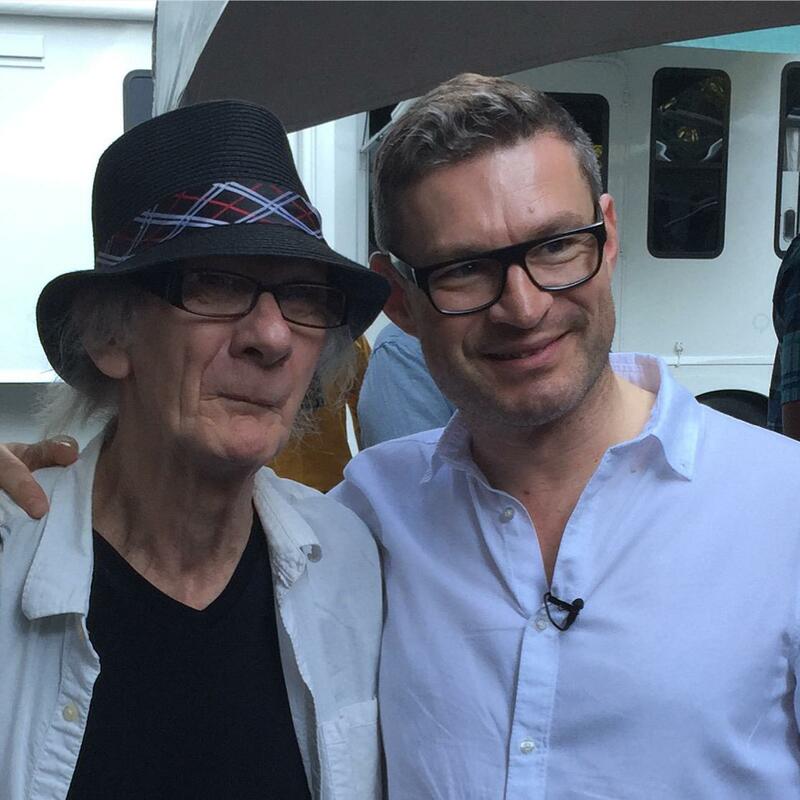 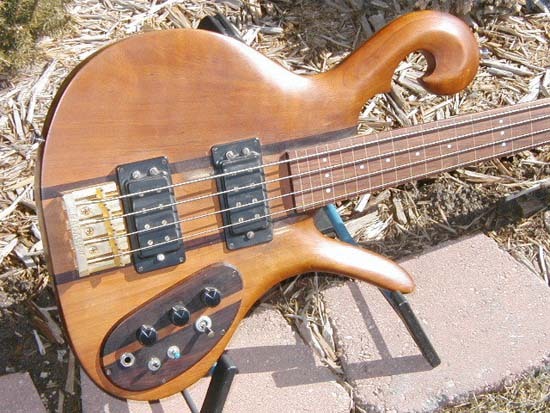 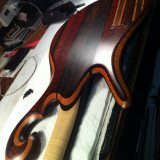 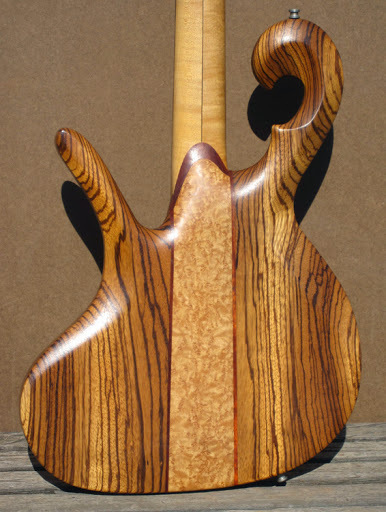 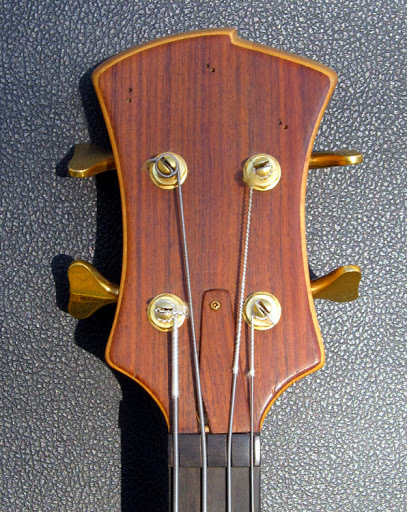 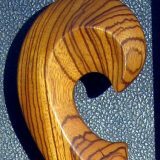 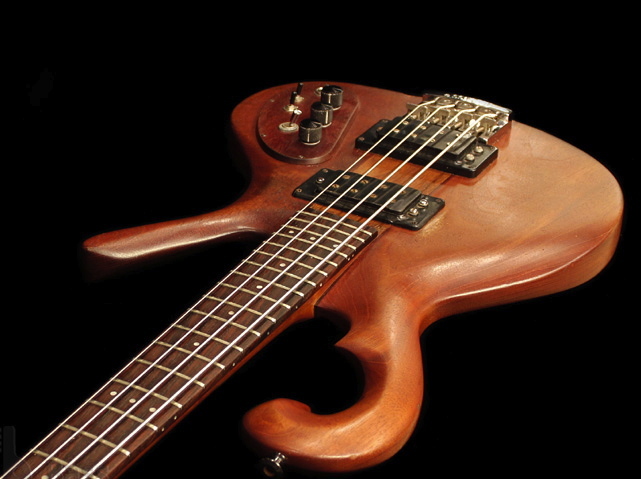 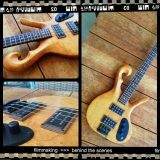 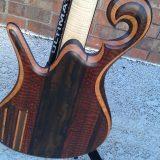 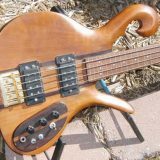 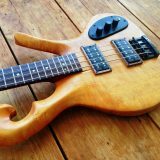 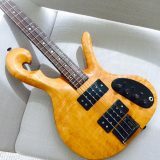 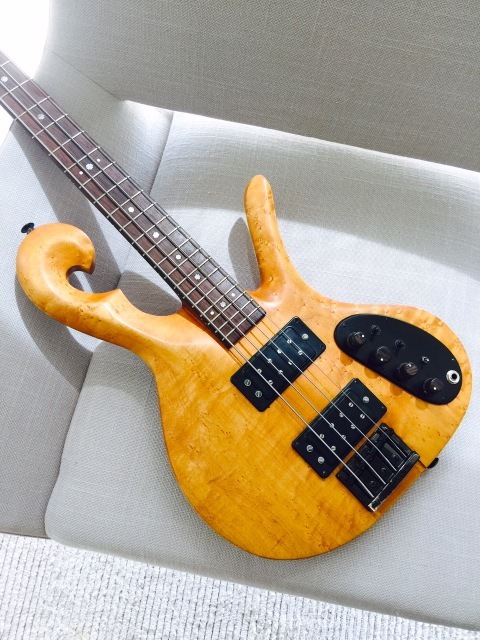 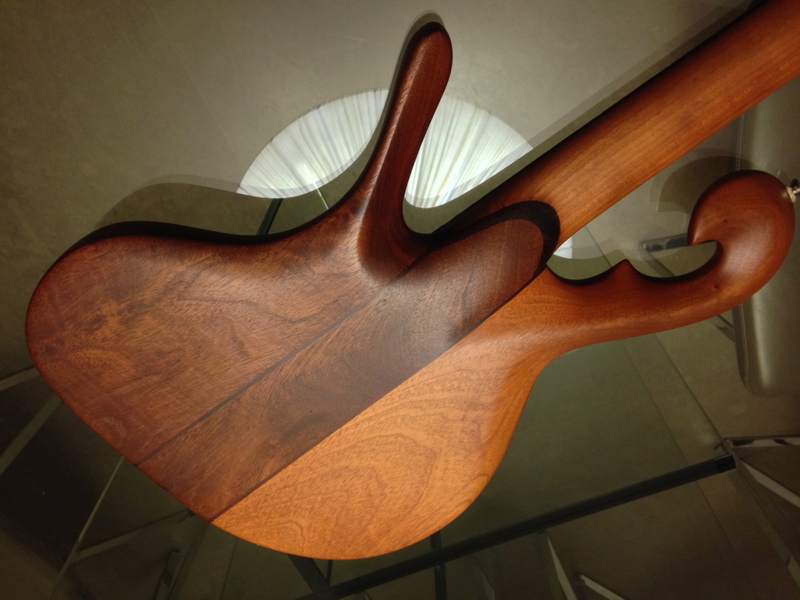 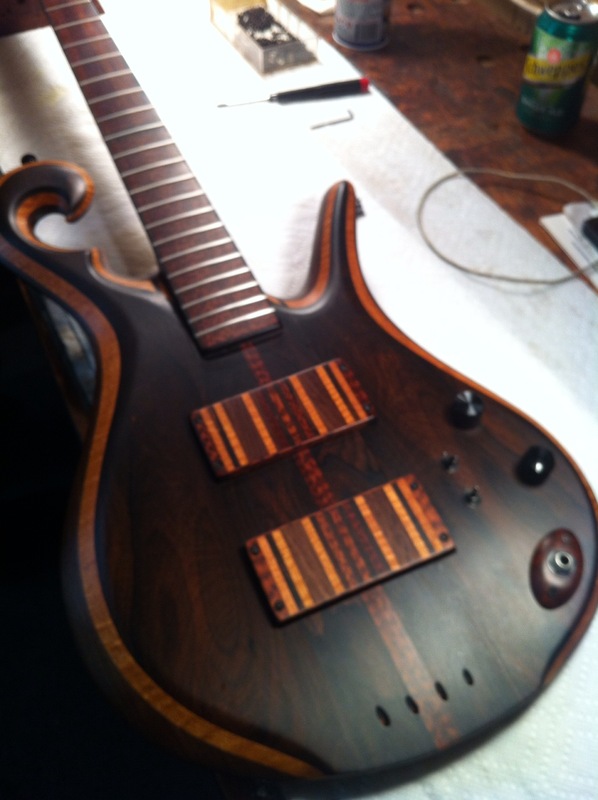 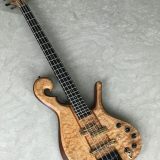 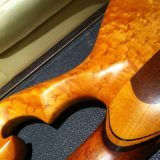 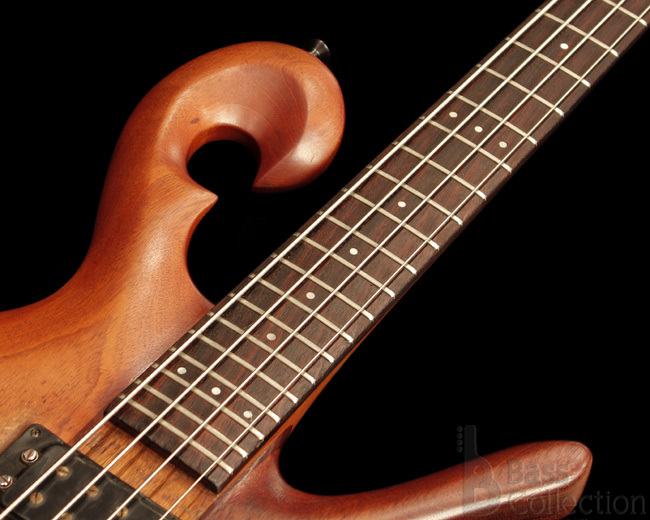 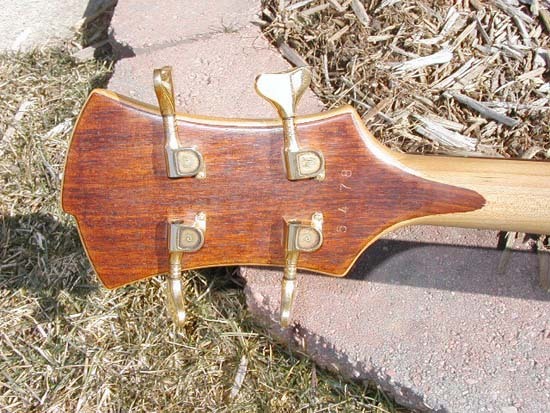 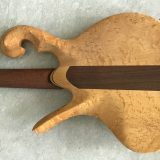 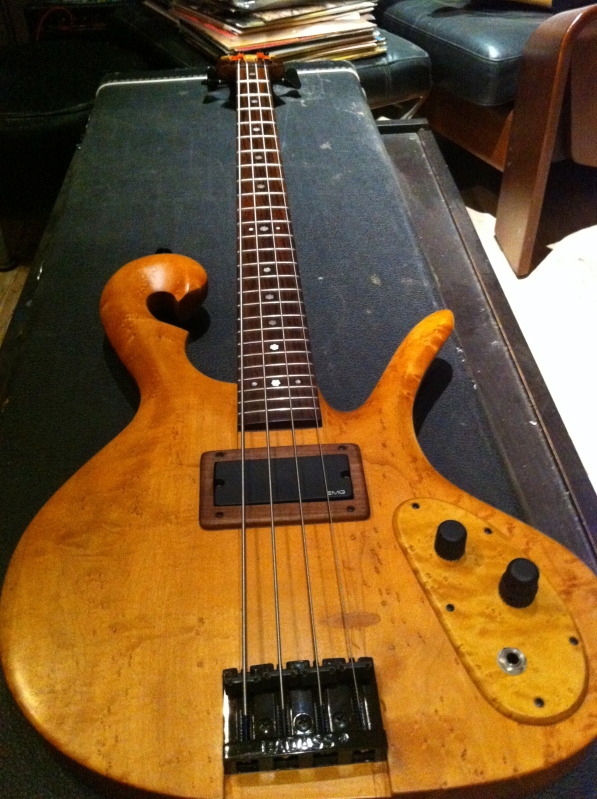 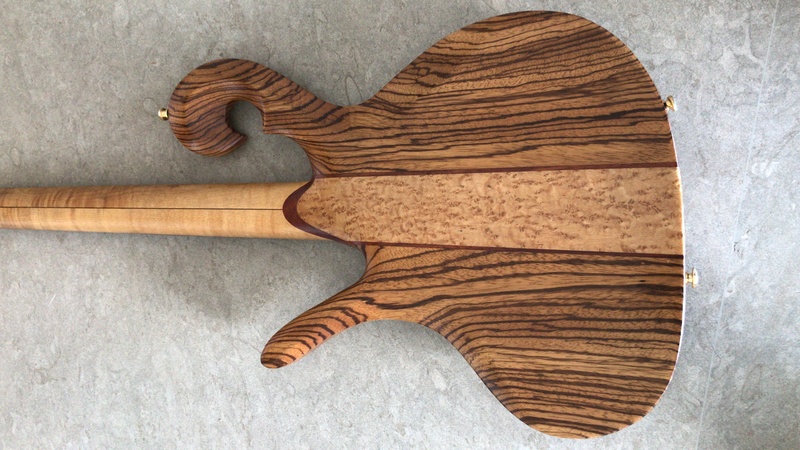 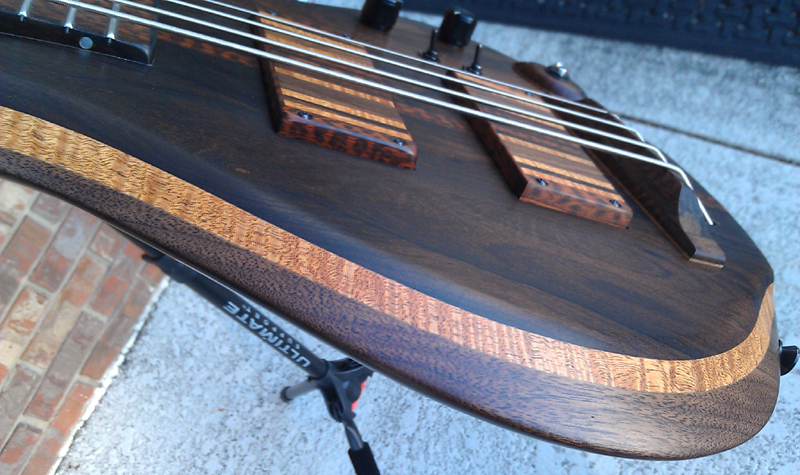 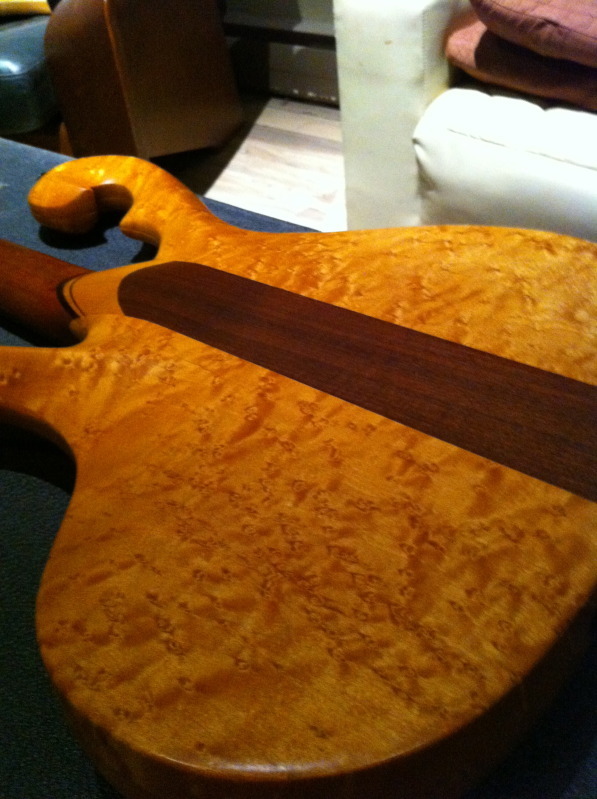 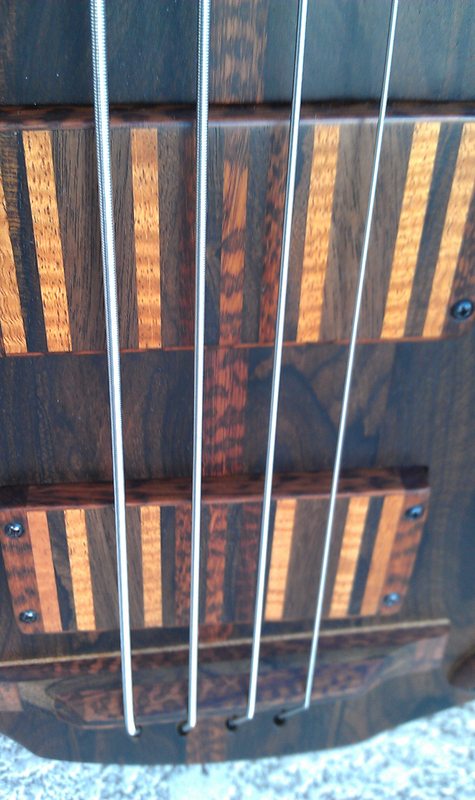 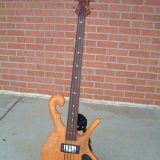 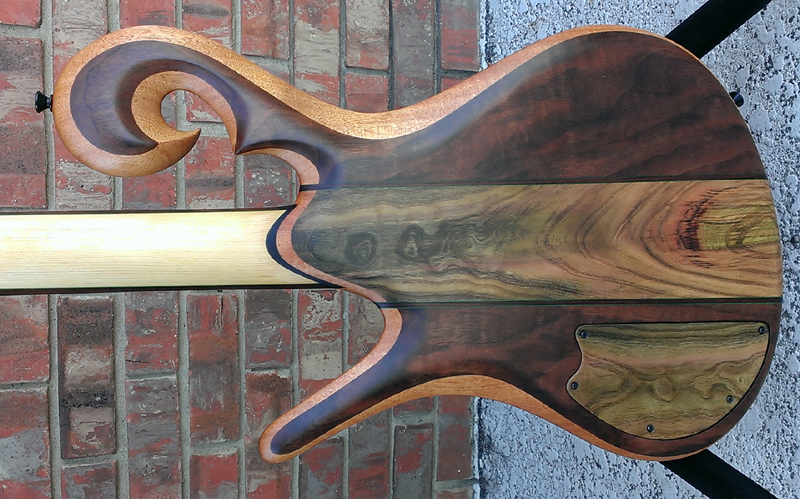 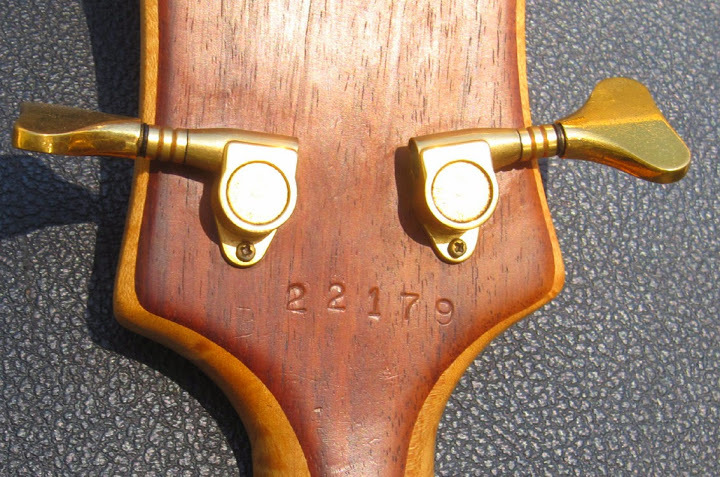 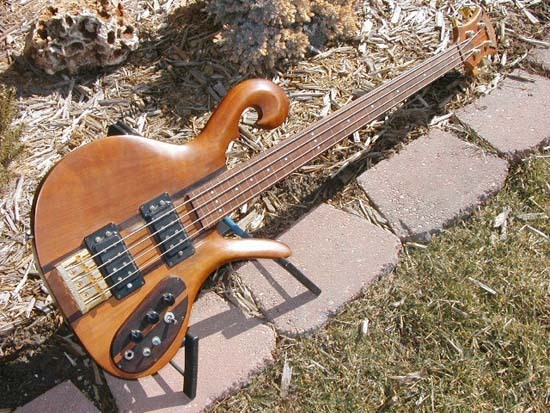 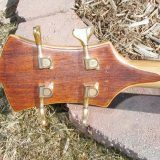 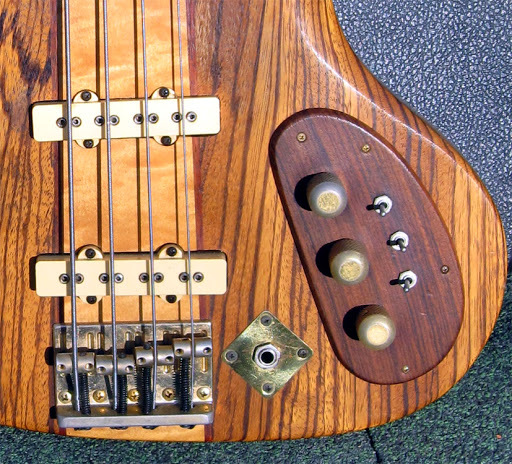 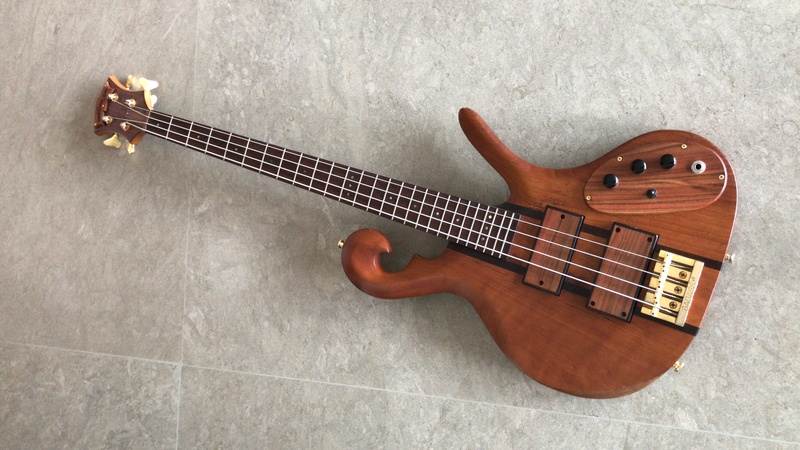 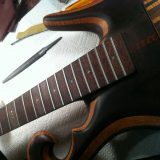 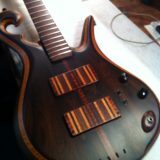 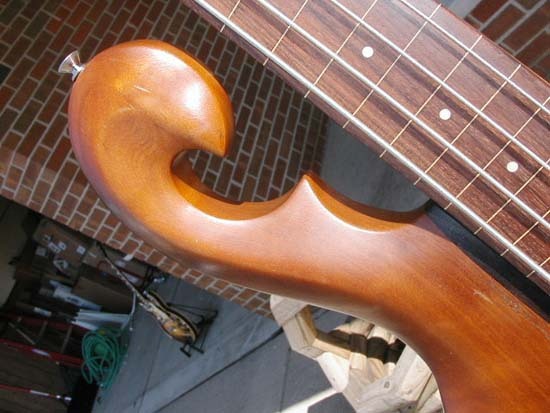 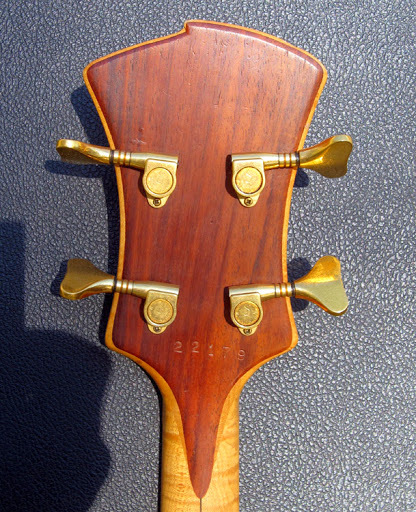 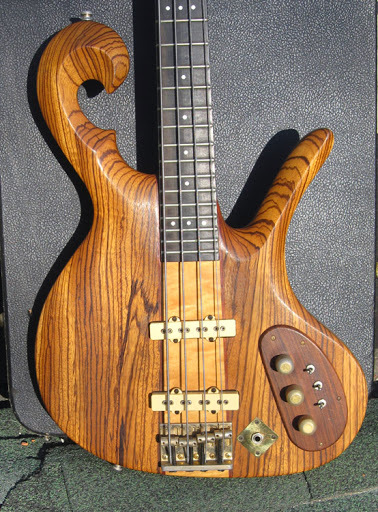 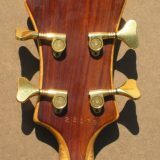 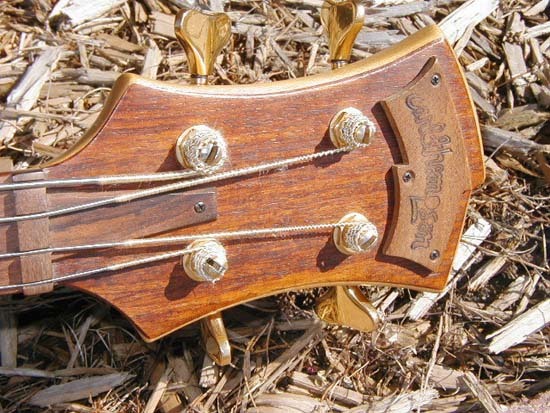 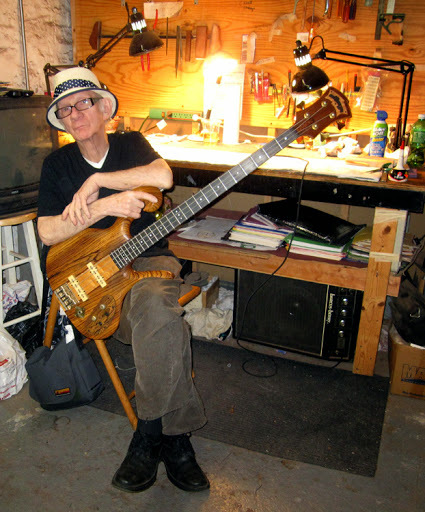 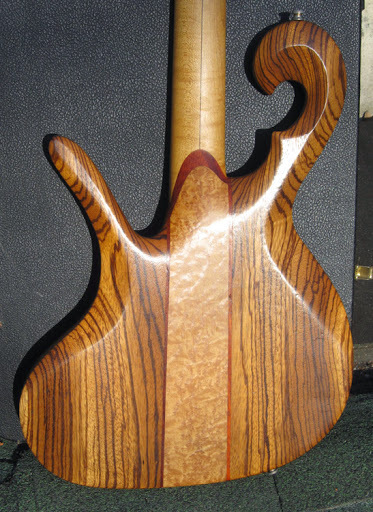 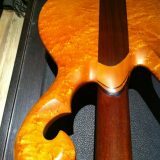 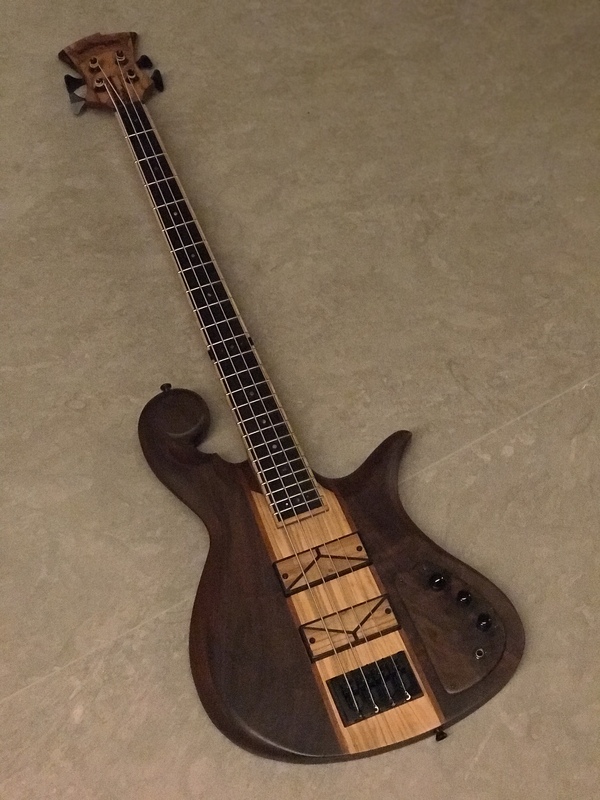 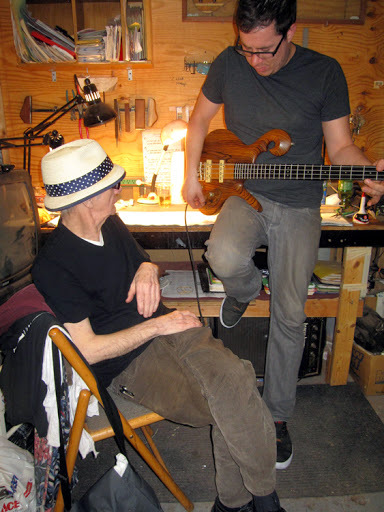 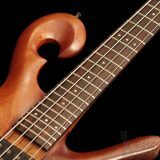 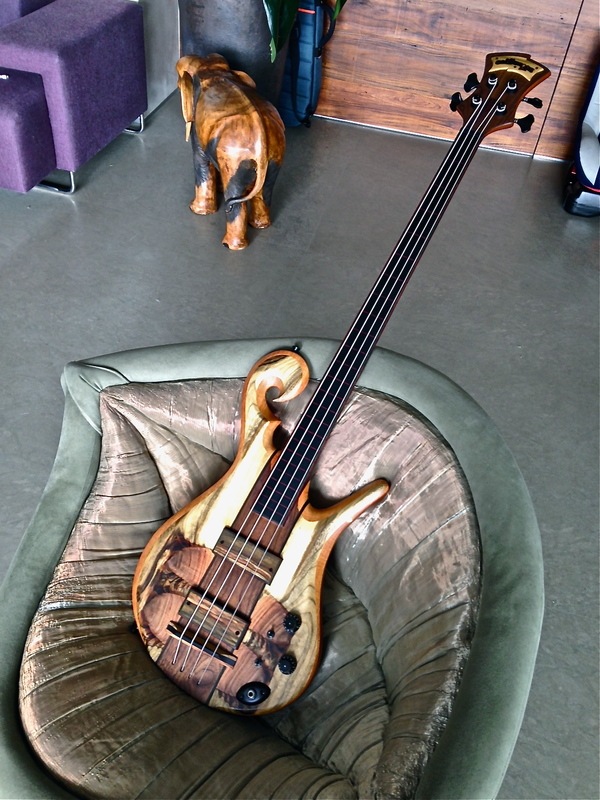 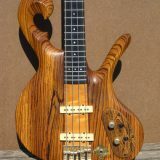 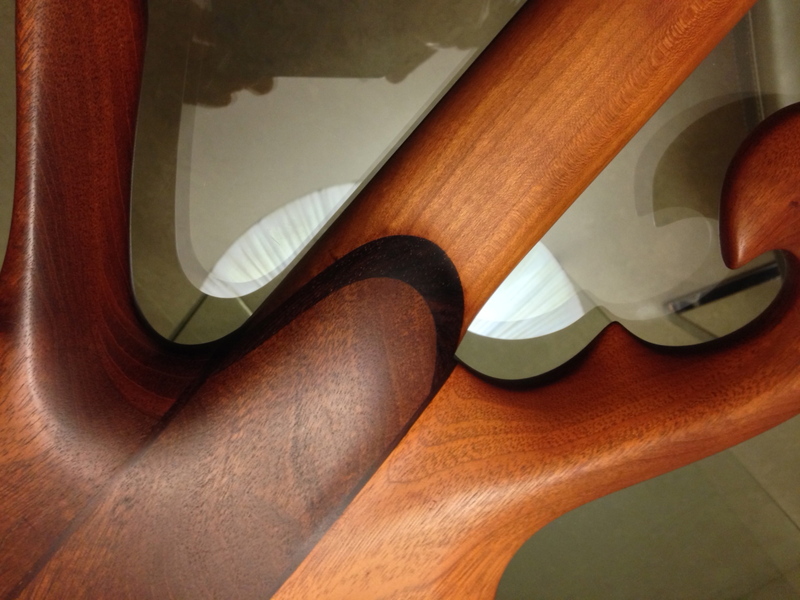 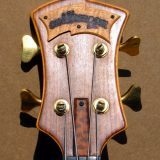 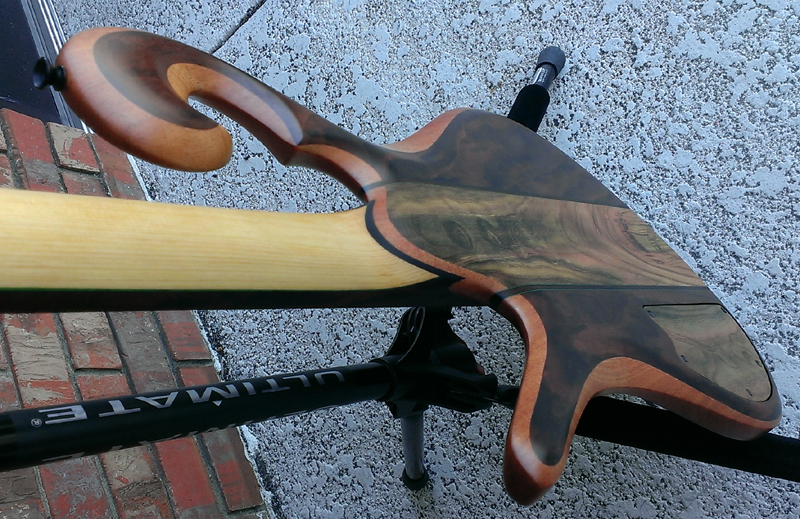 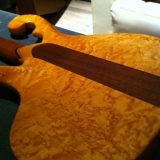 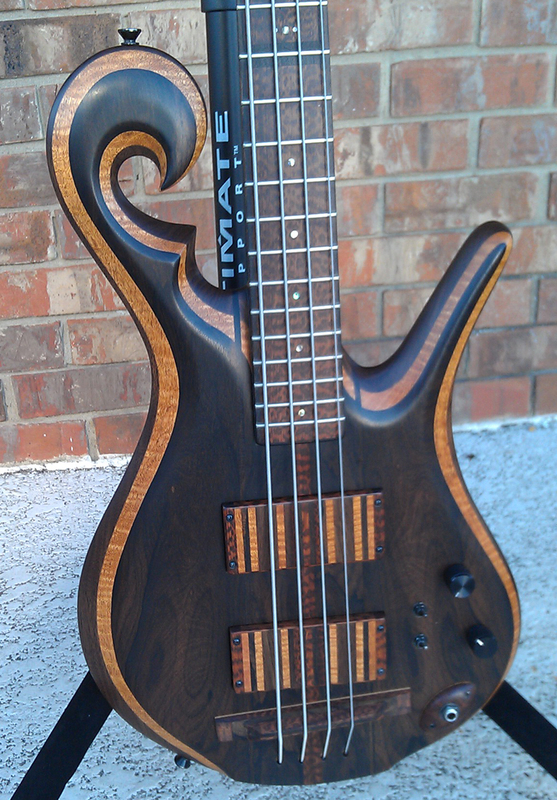 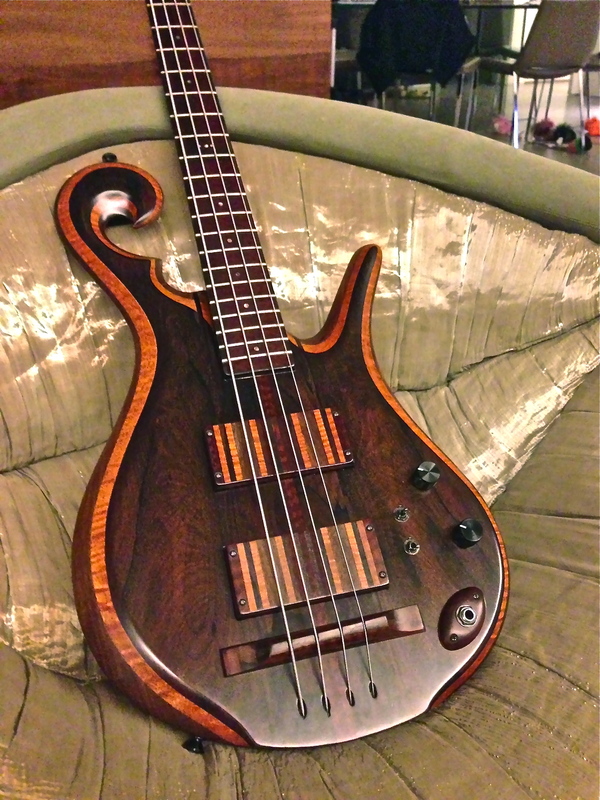 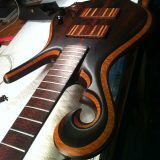 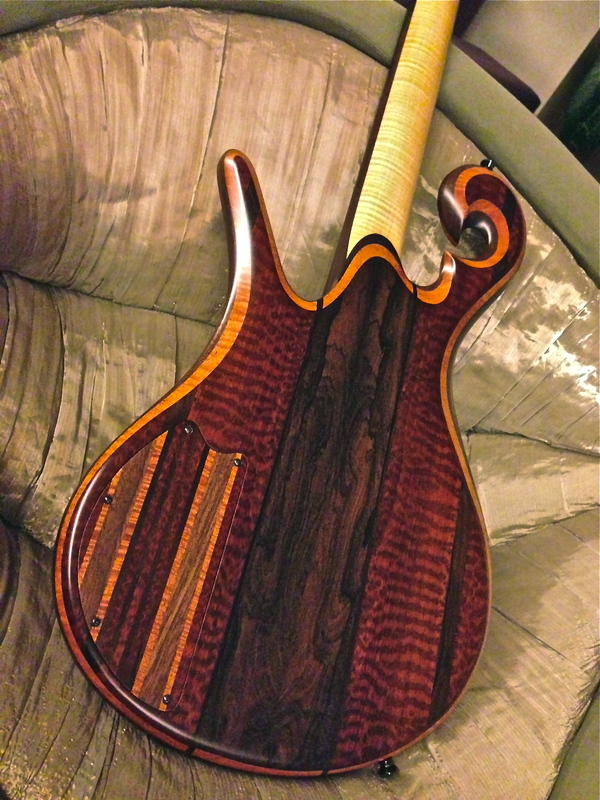 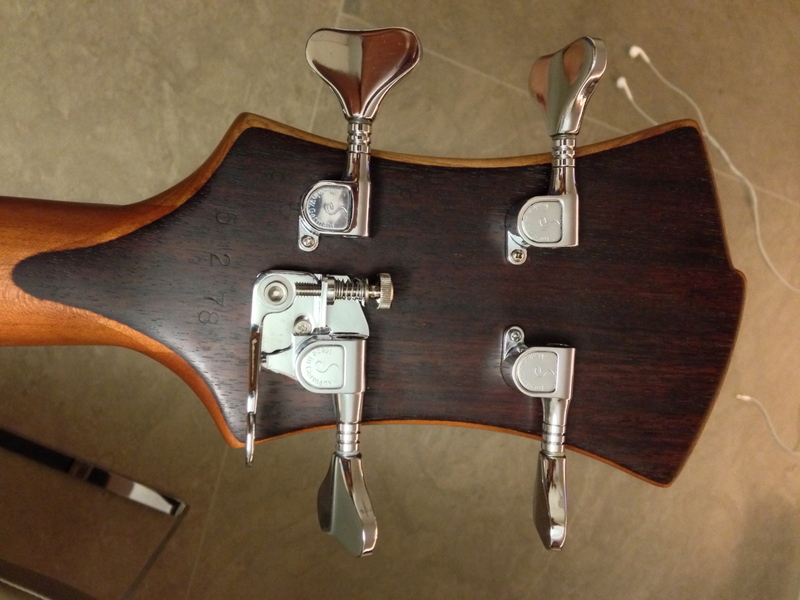 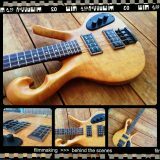 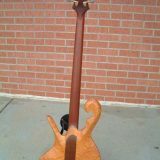 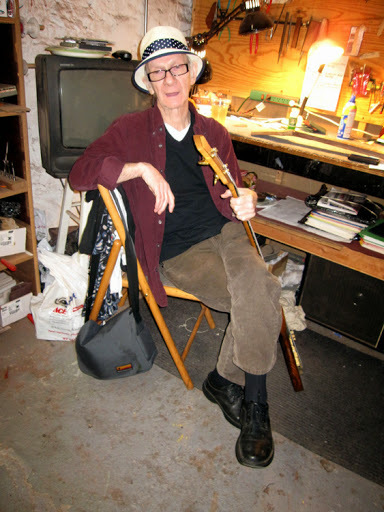 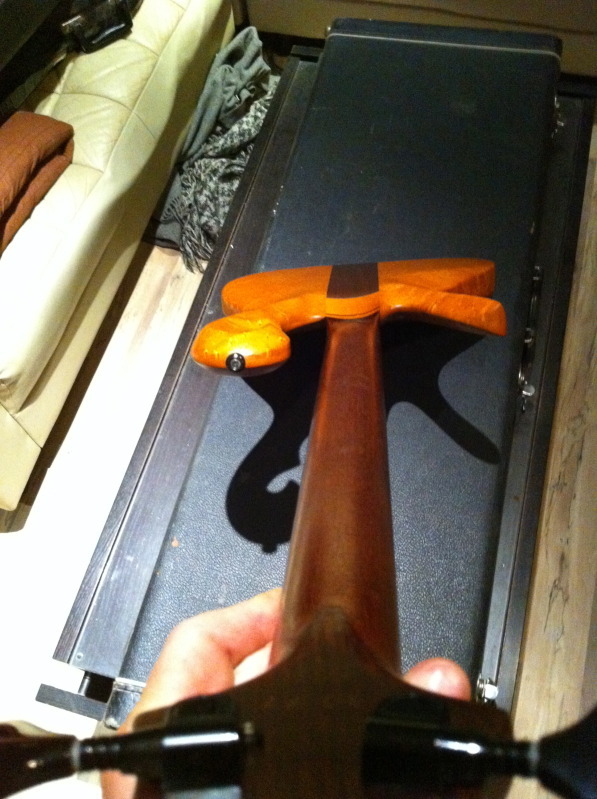 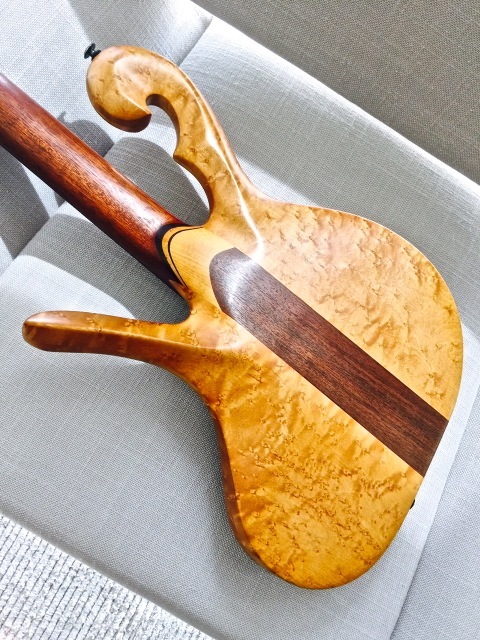 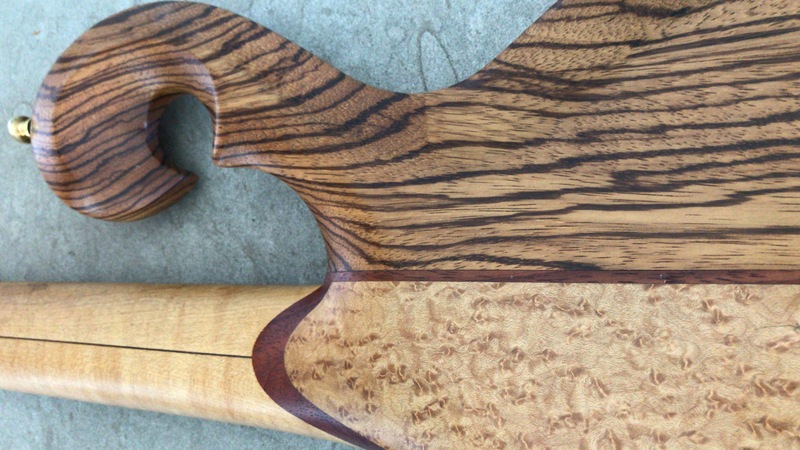 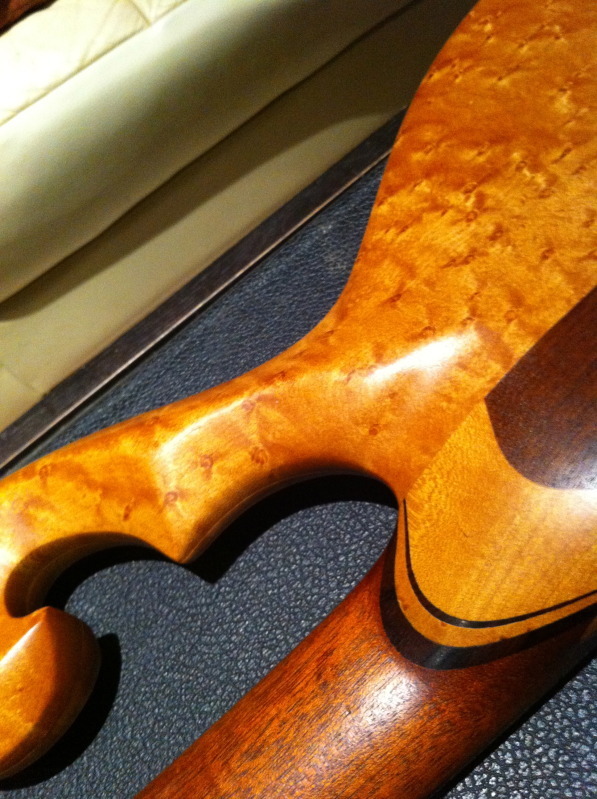 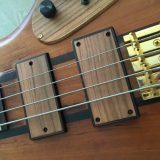 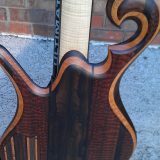 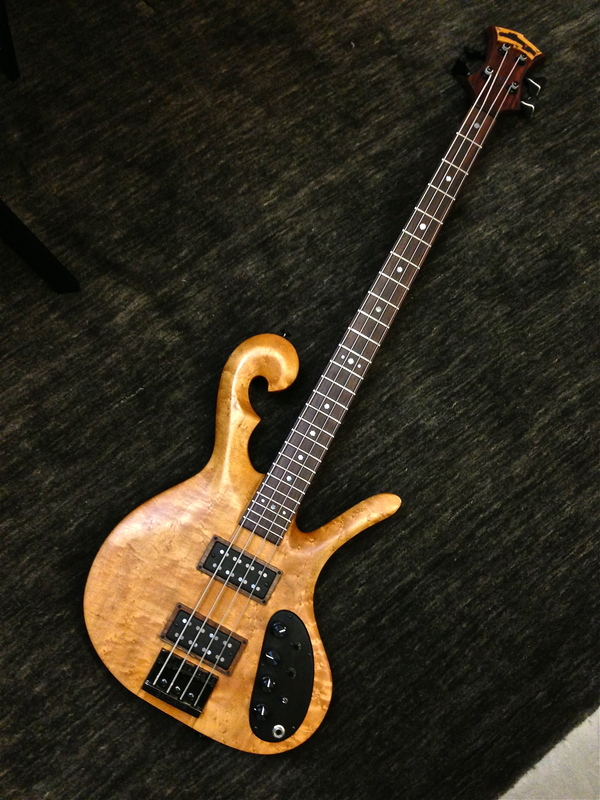 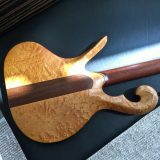 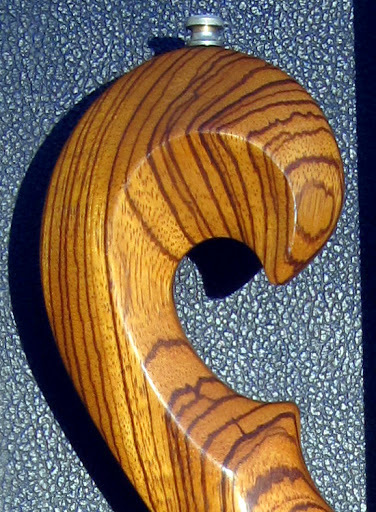 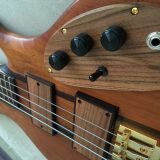 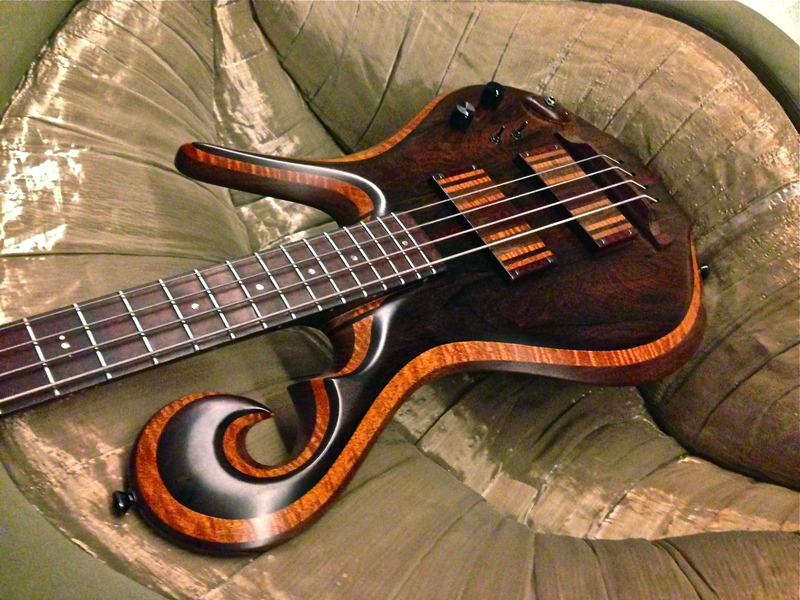 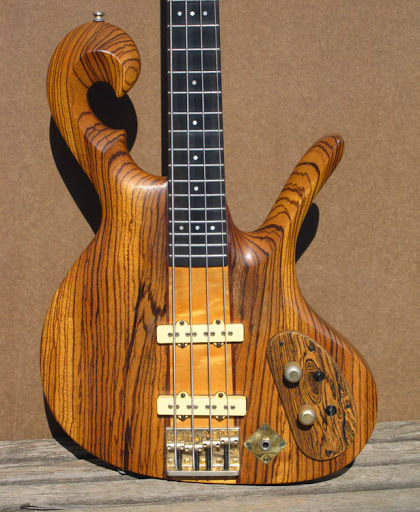 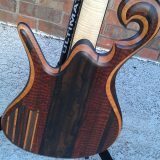 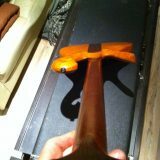 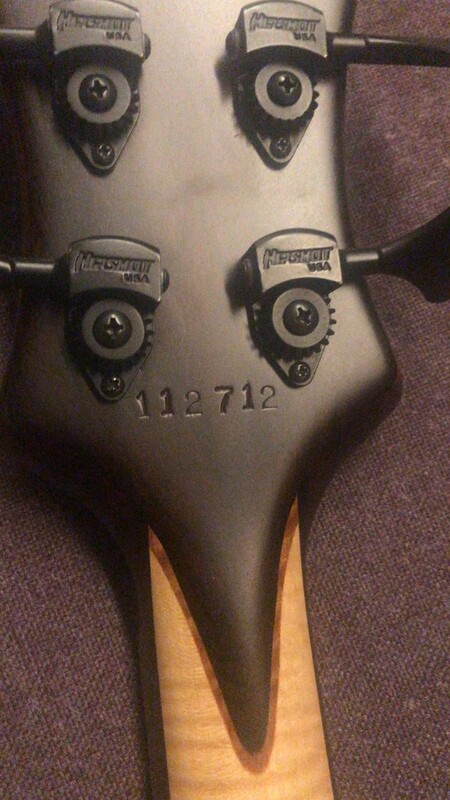 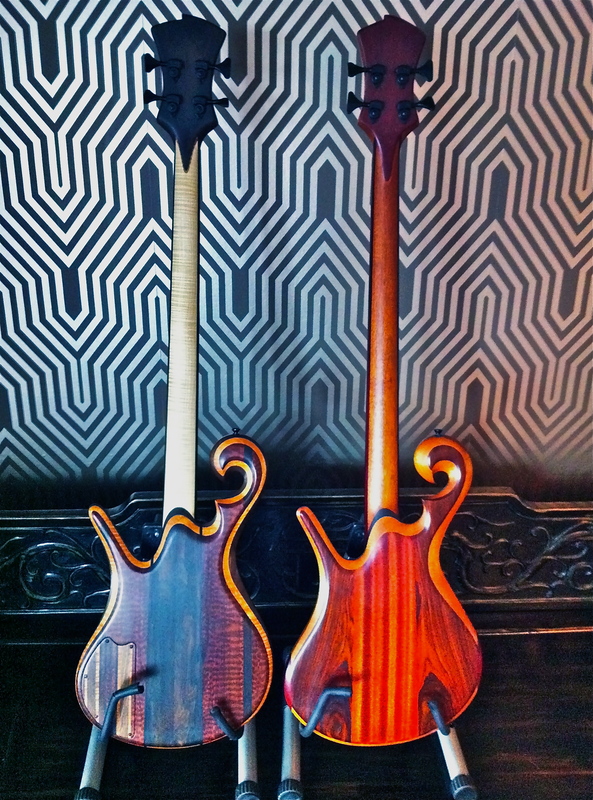 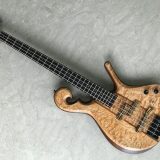 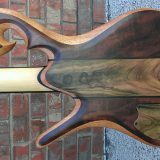 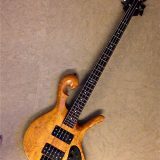 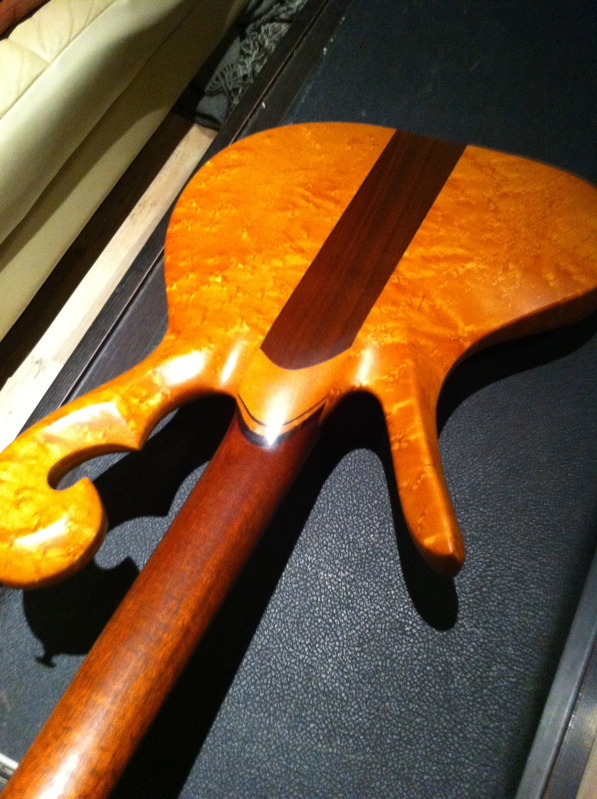 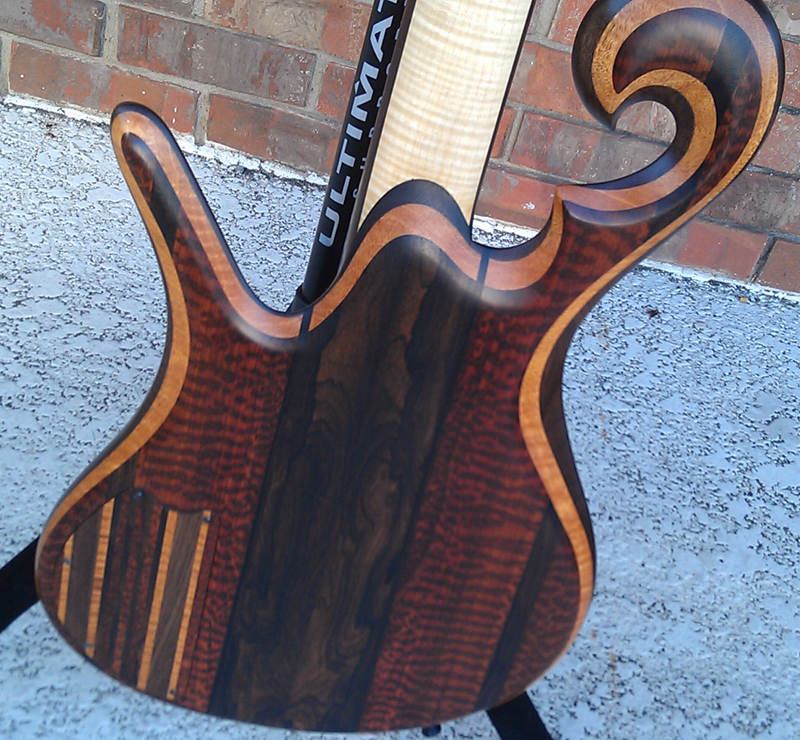 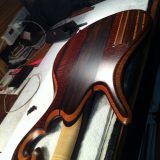 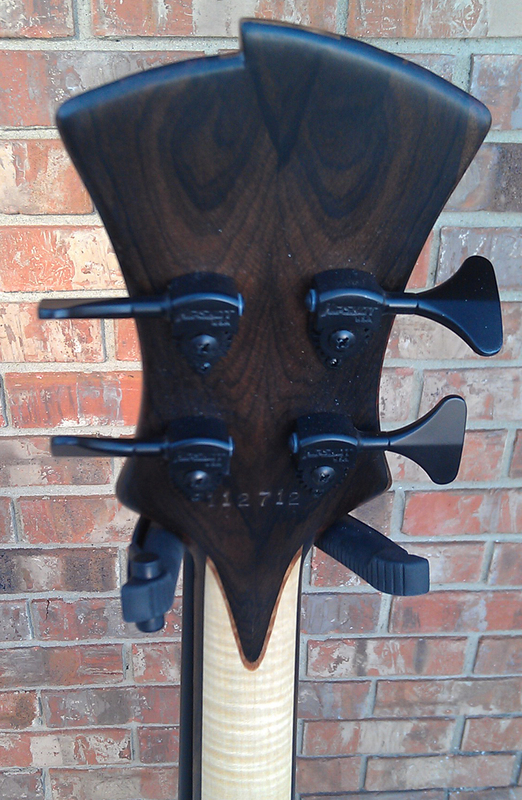 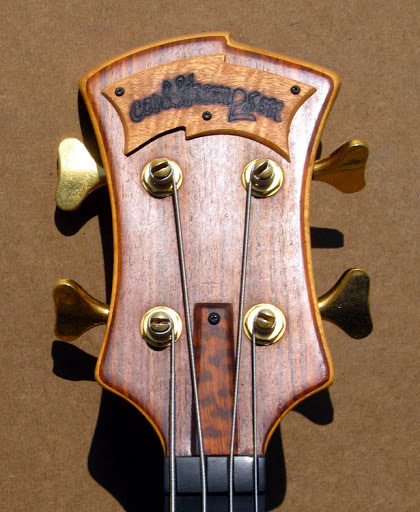 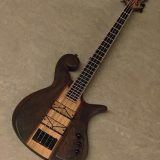 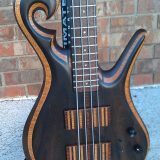 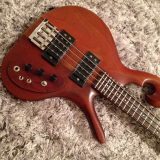 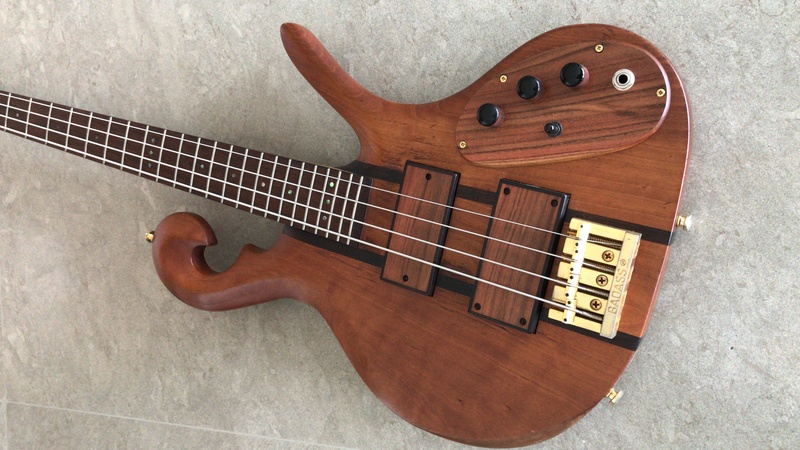 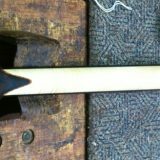 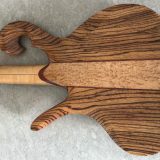 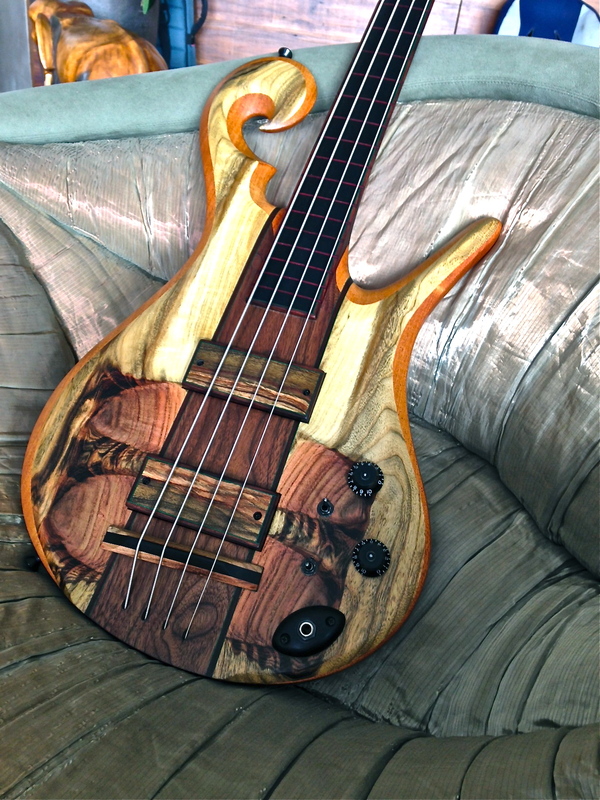 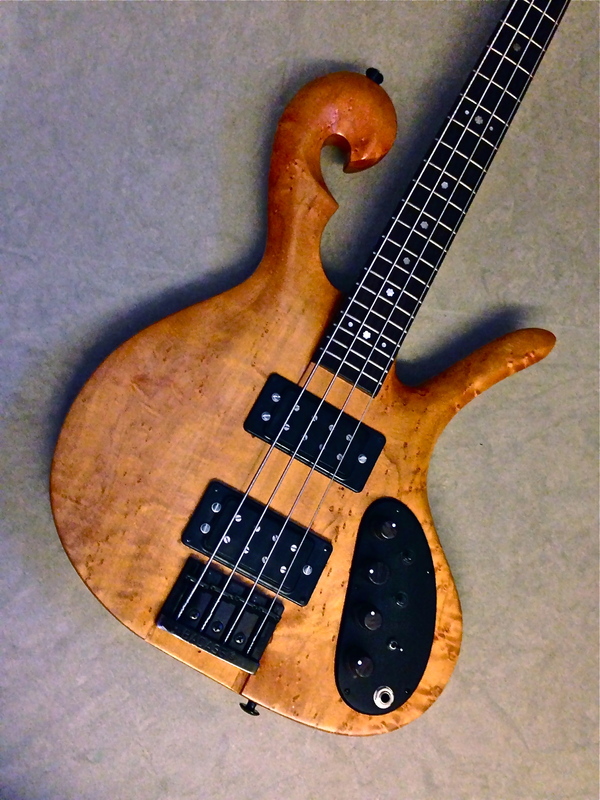 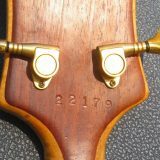 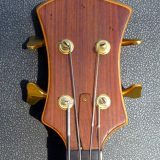 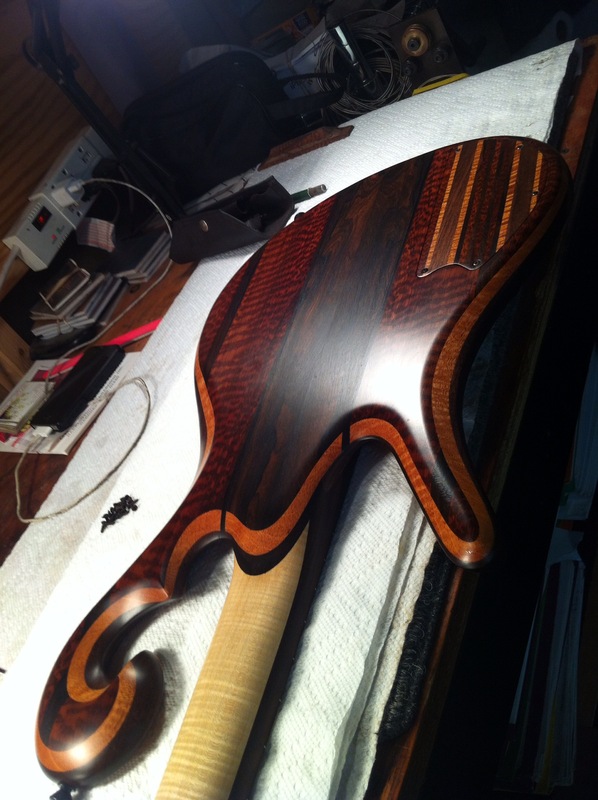 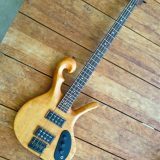 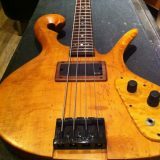 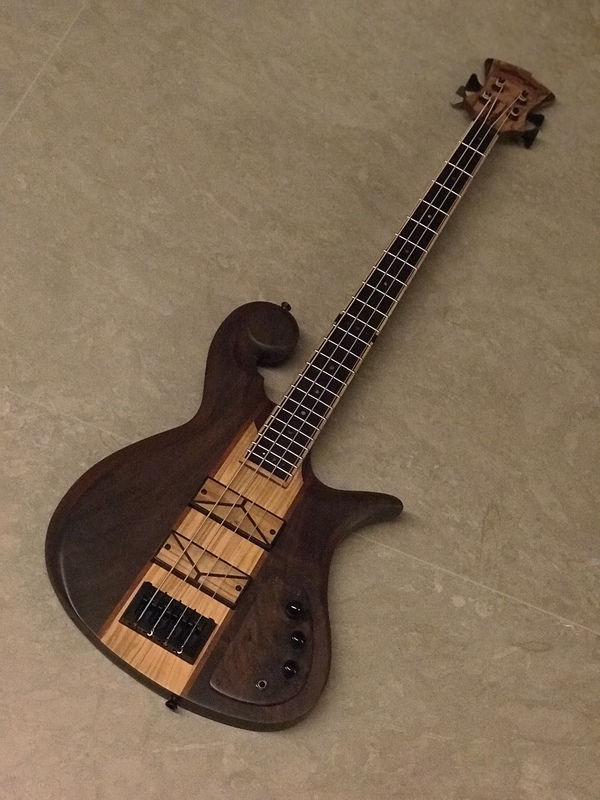 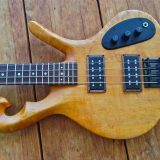 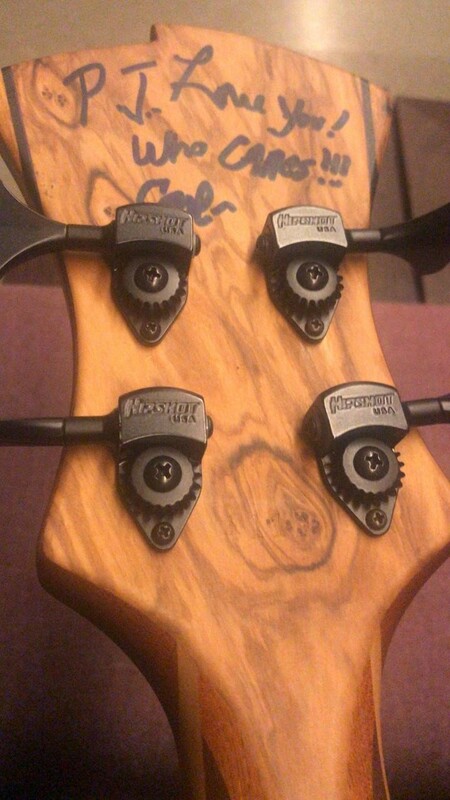 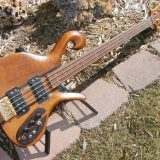 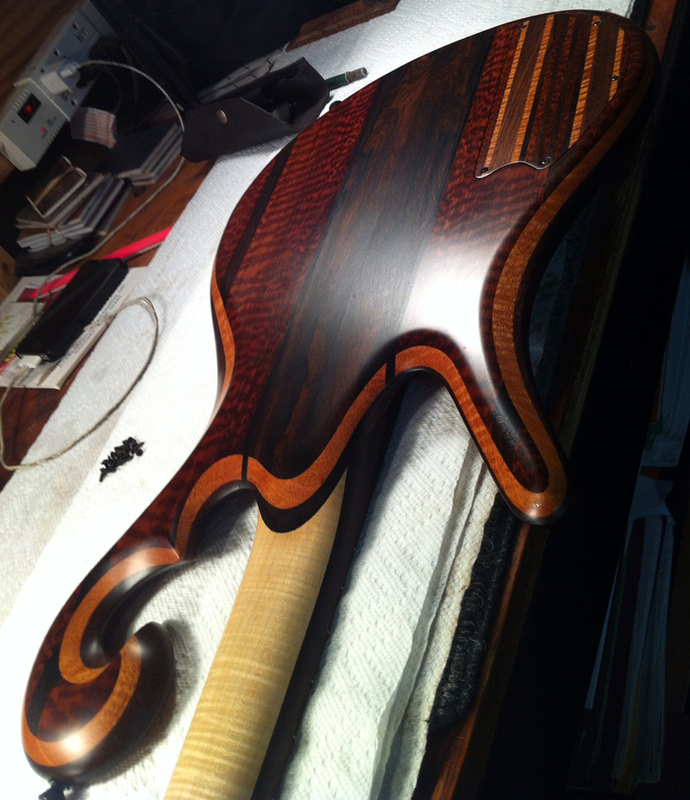 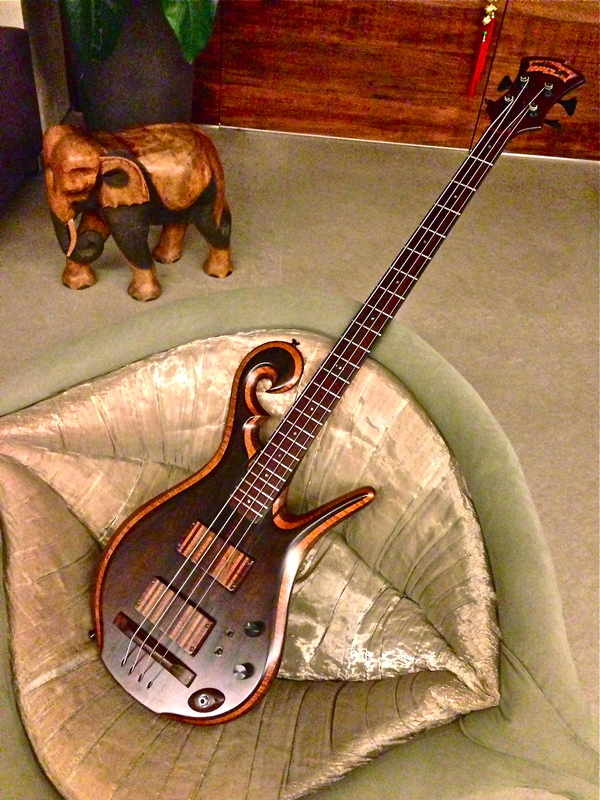 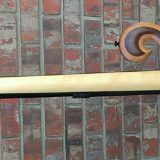 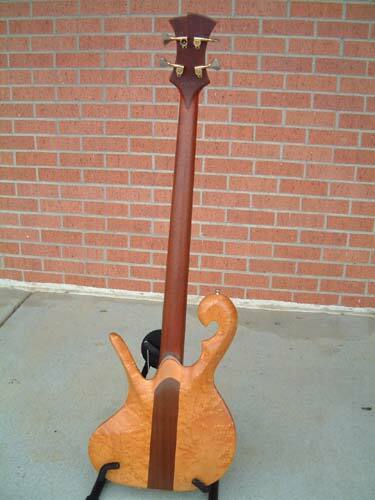 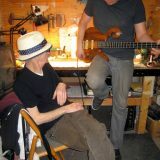 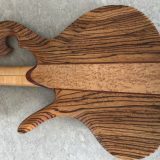 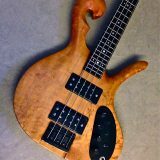 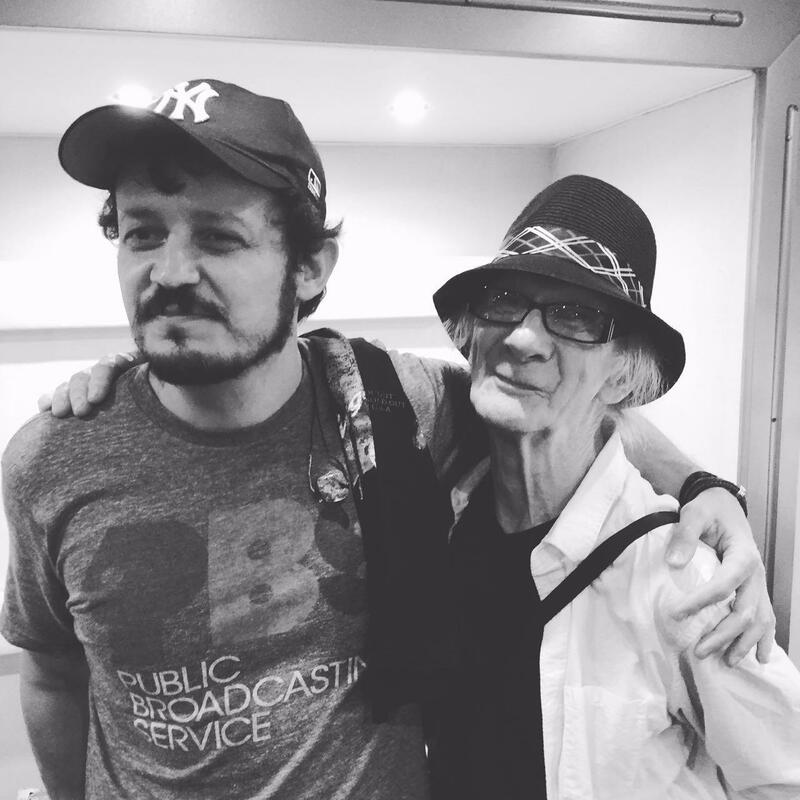 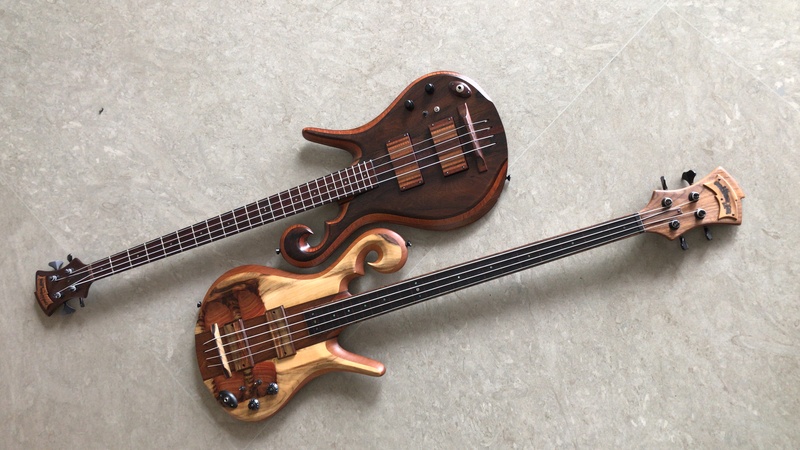 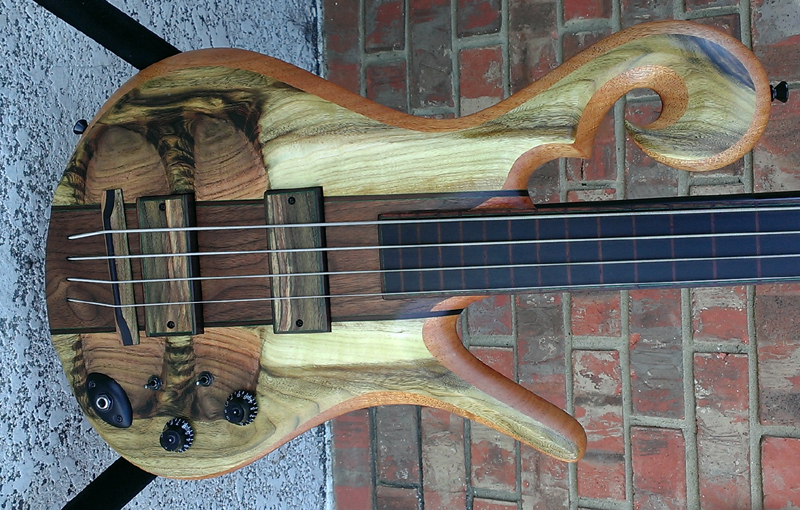 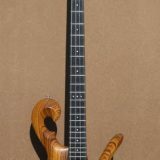 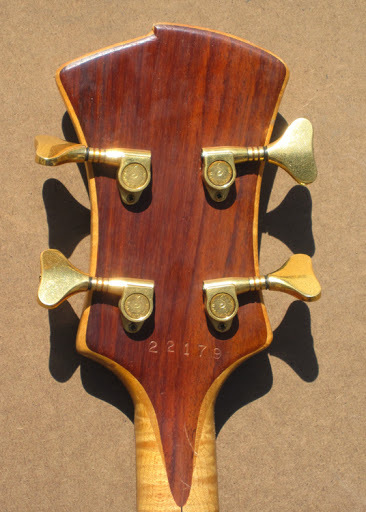 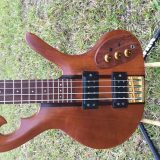 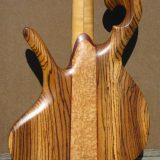 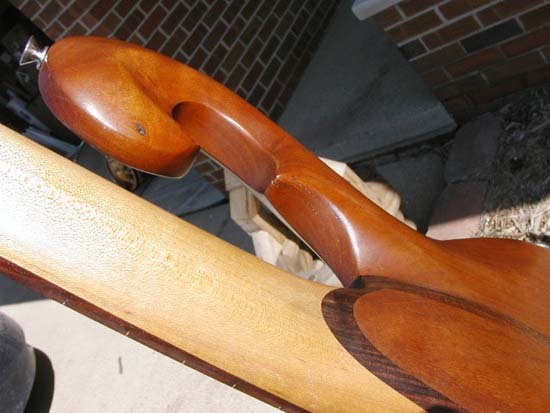 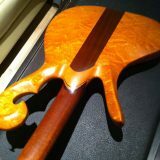 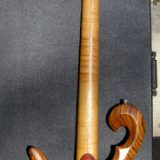 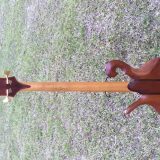 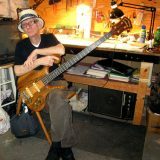 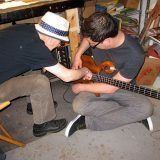 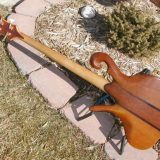 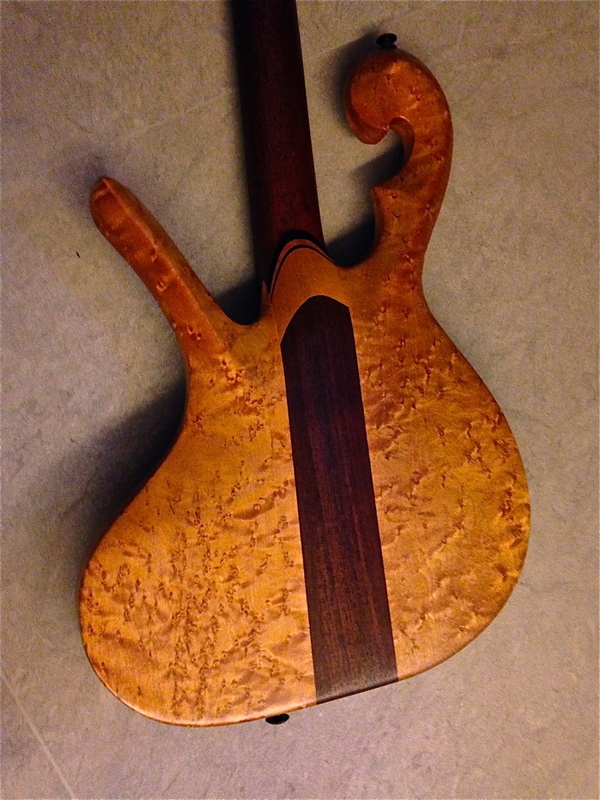 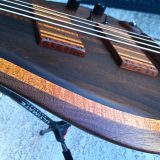 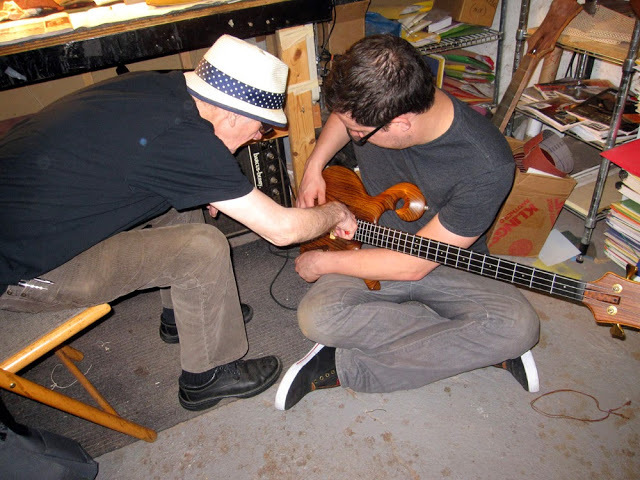 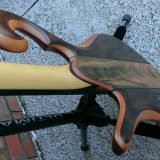 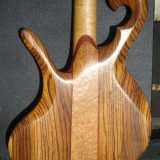 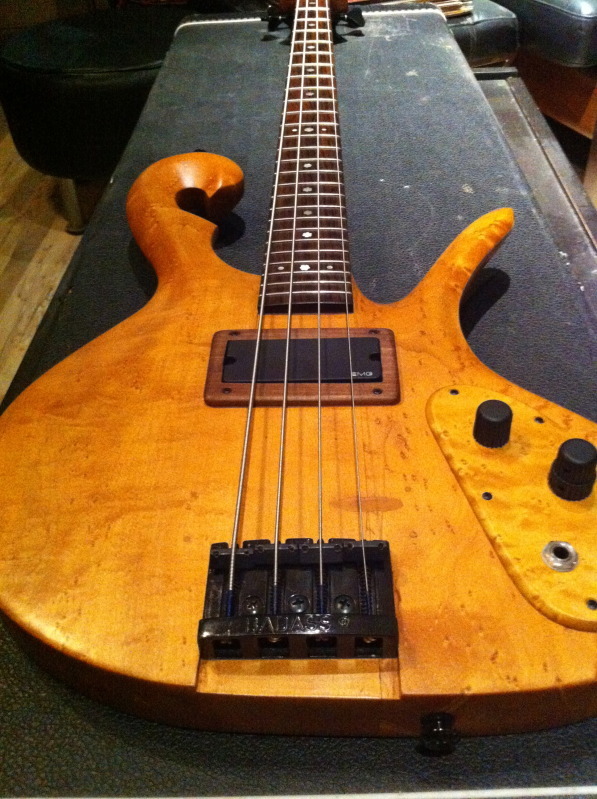 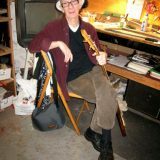 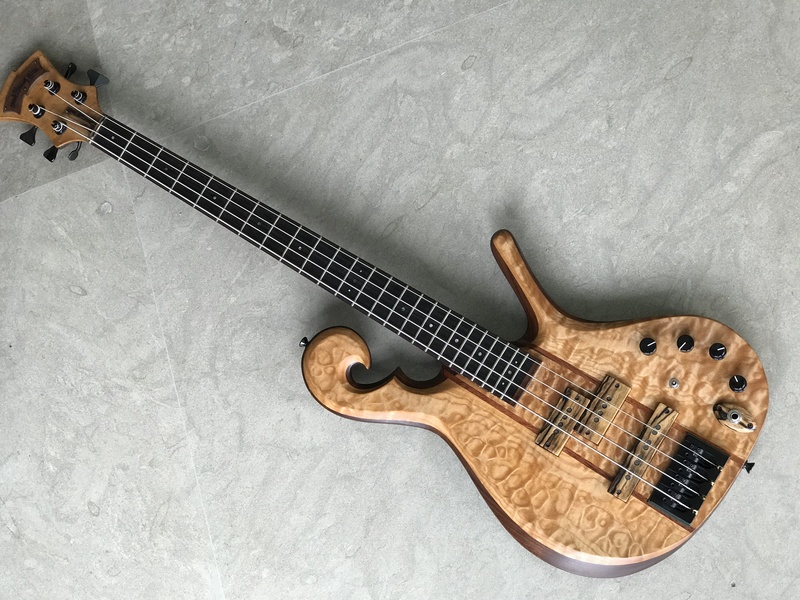 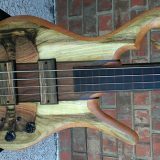 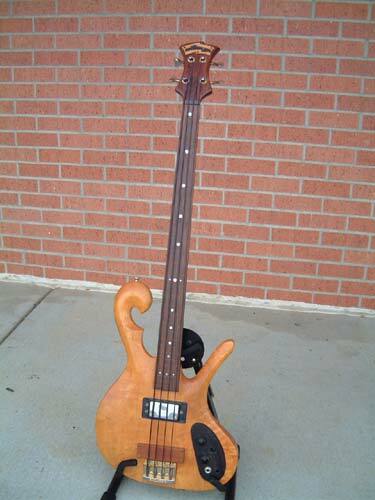 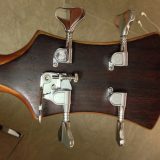 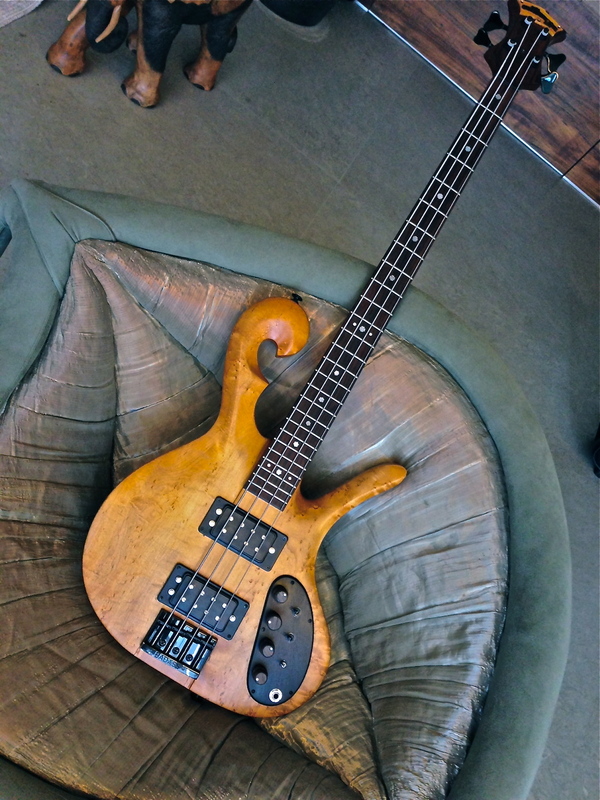 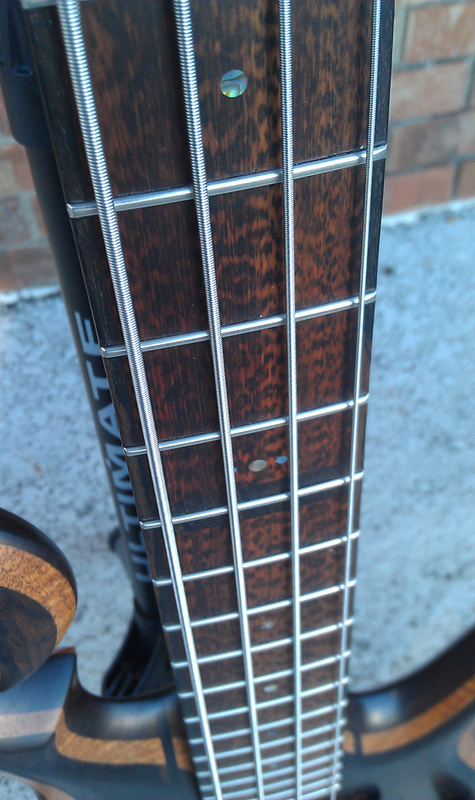 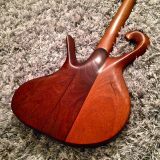 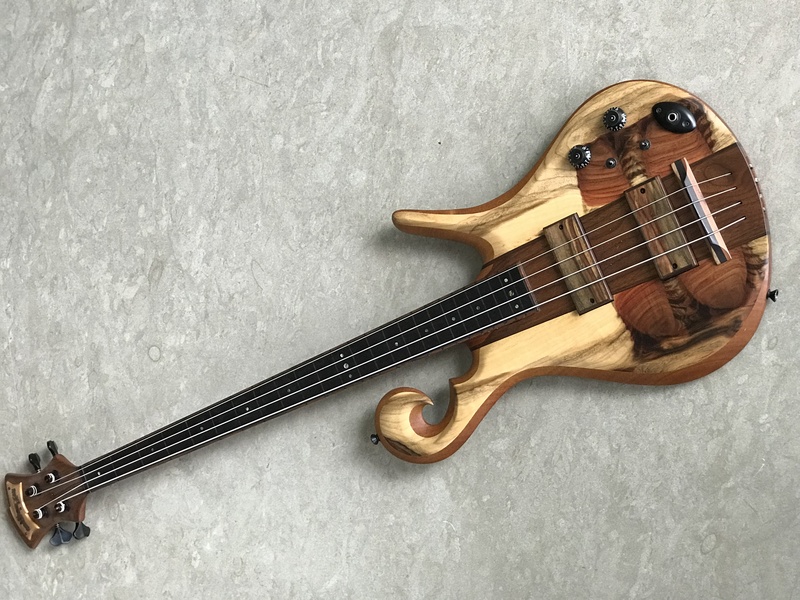 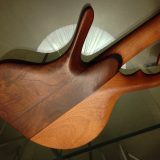 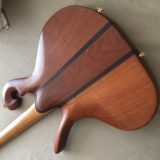 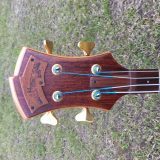 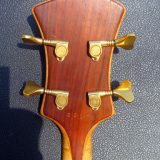 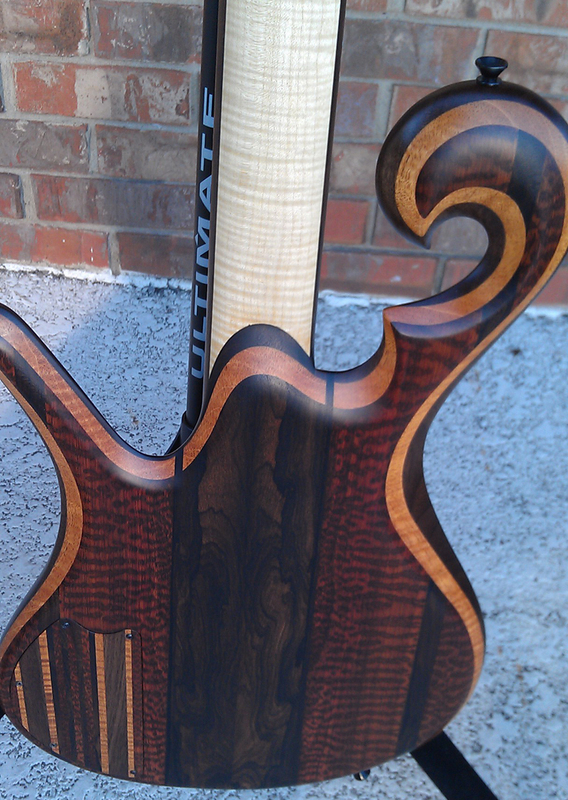 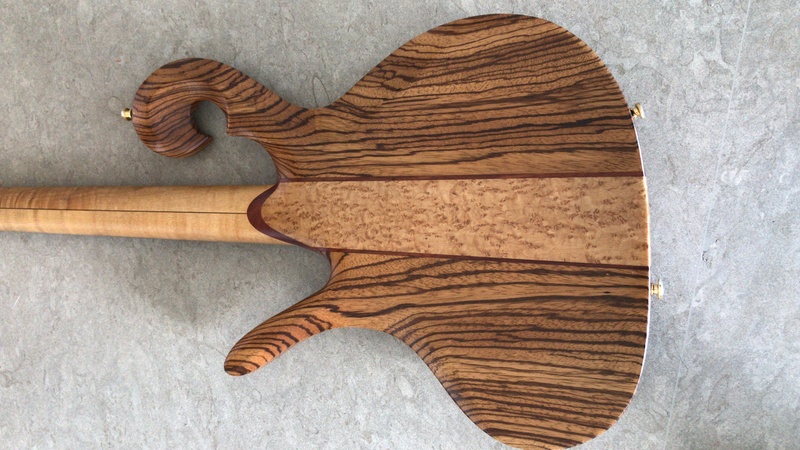 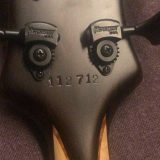 He bought his first CT, a 77 Birdseye maple bass, on Talkbass and then got in contact with Carl through the website. 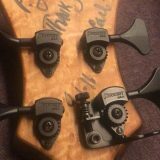 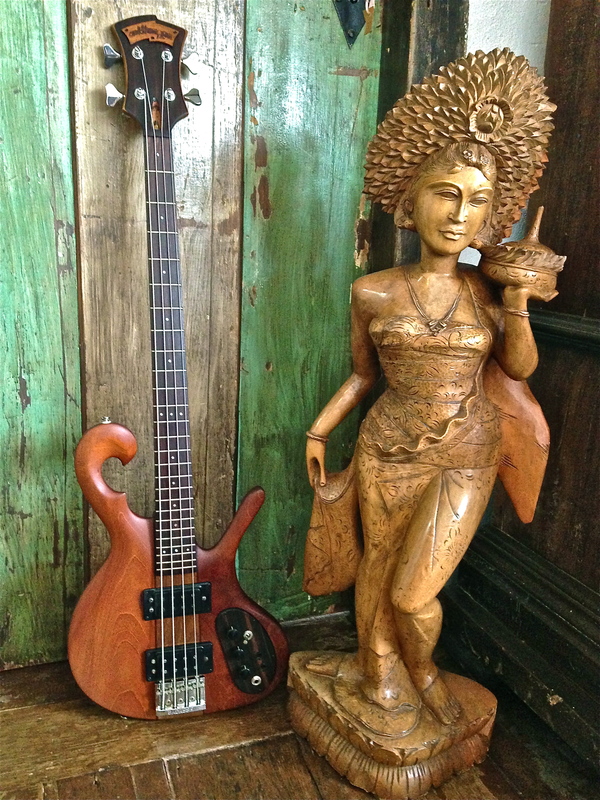 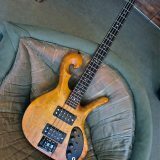 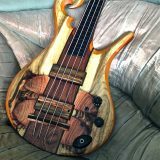 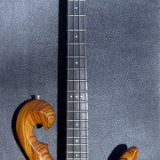 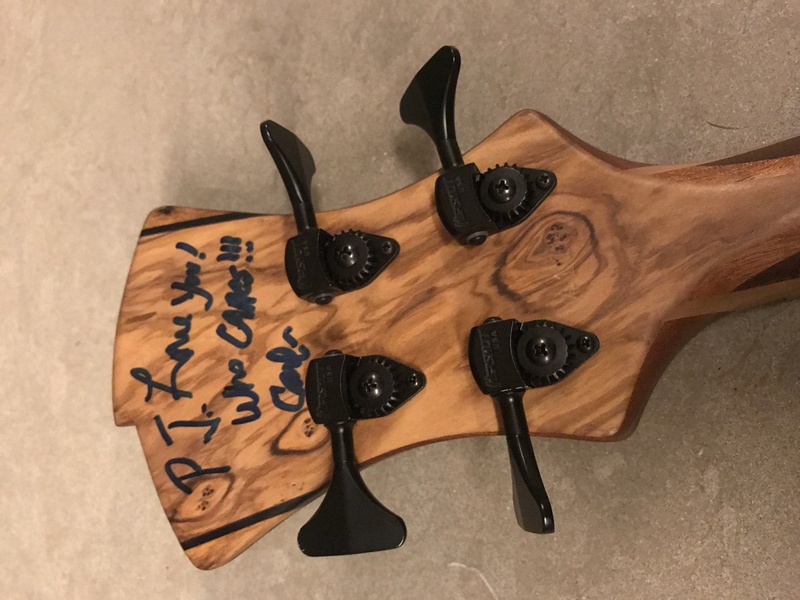 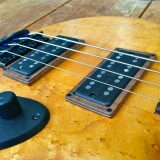 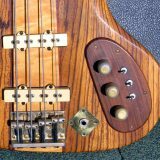 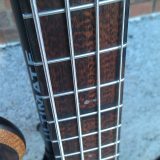 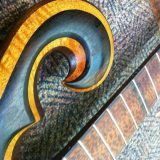 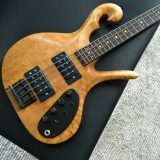 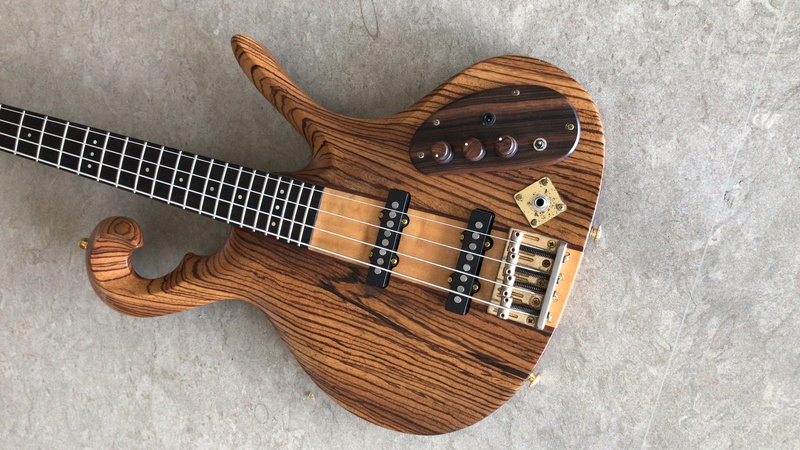 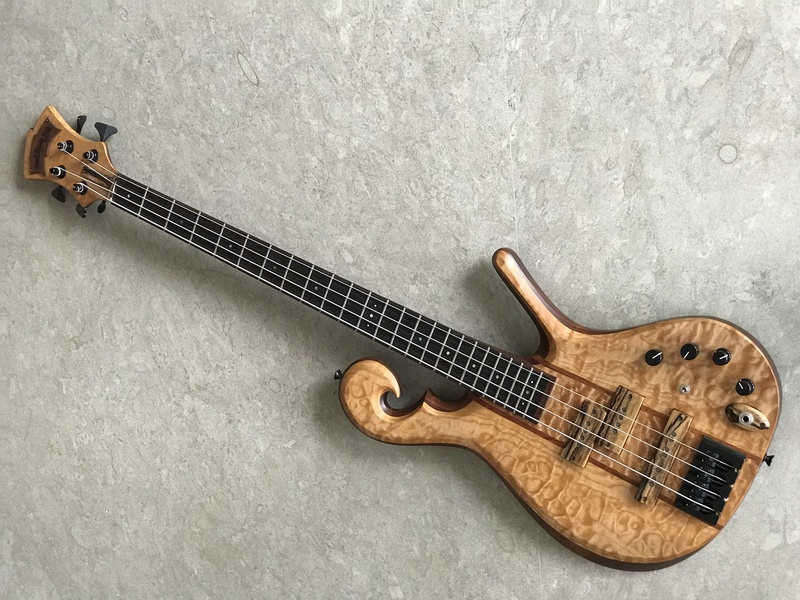 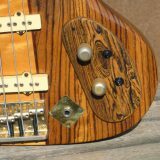 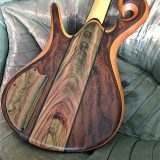 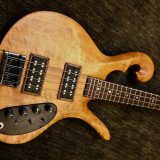 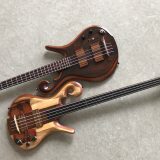 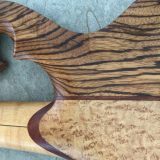 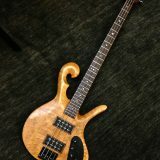 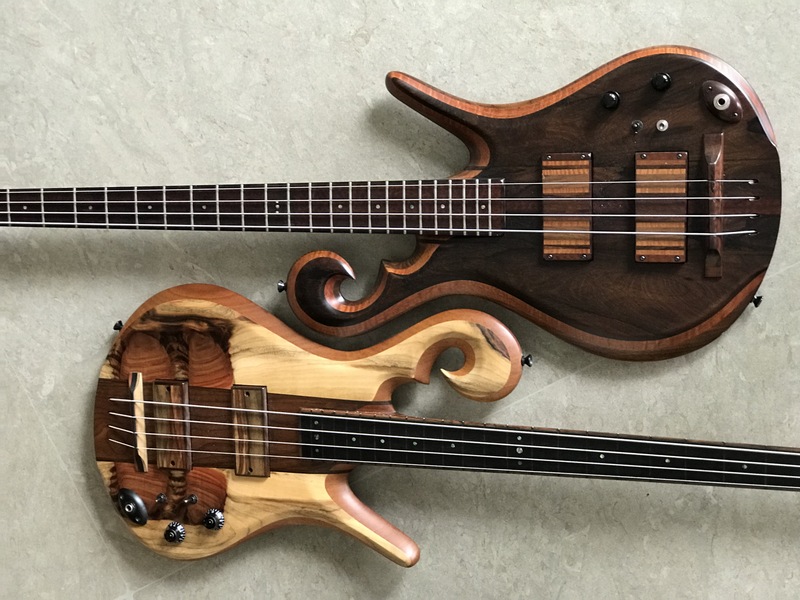 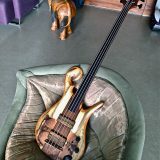 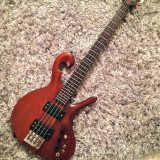 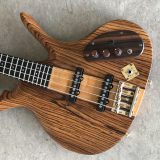 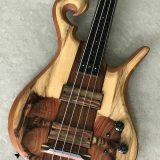 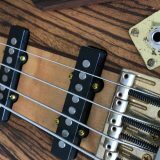 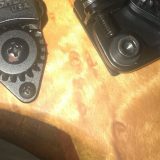 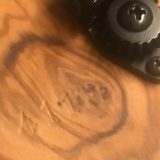 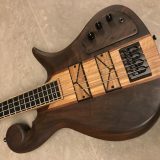 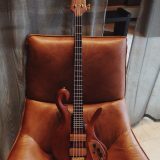 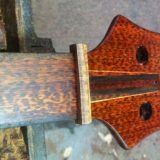 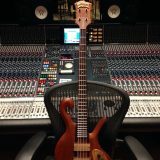 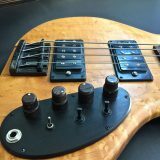 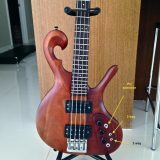 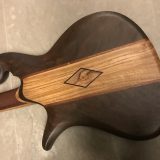 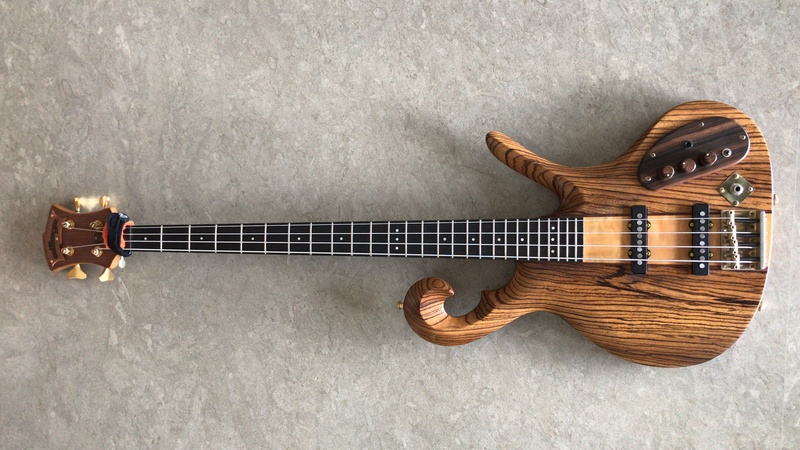 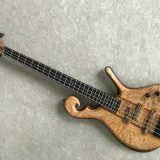 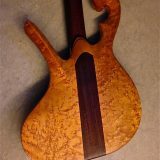 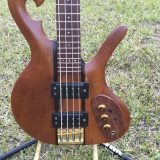 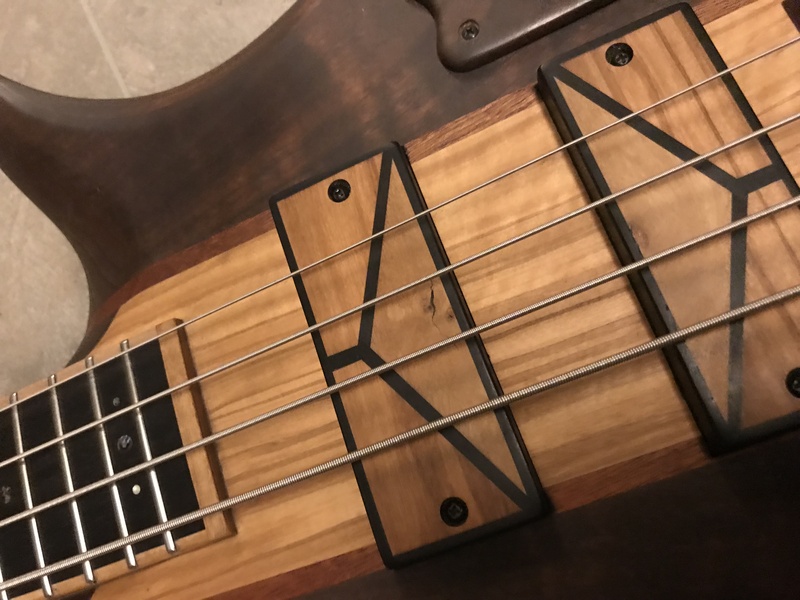 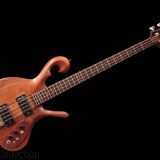 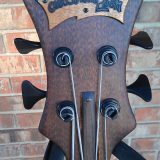 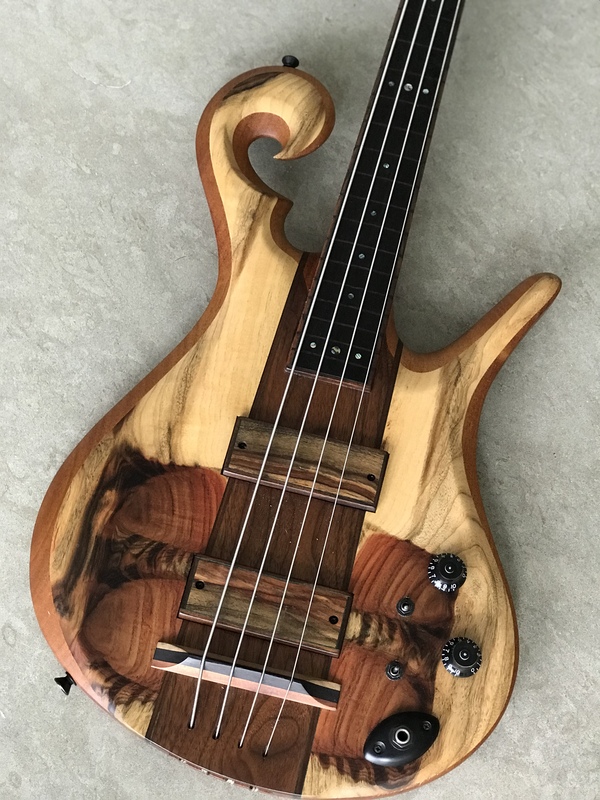 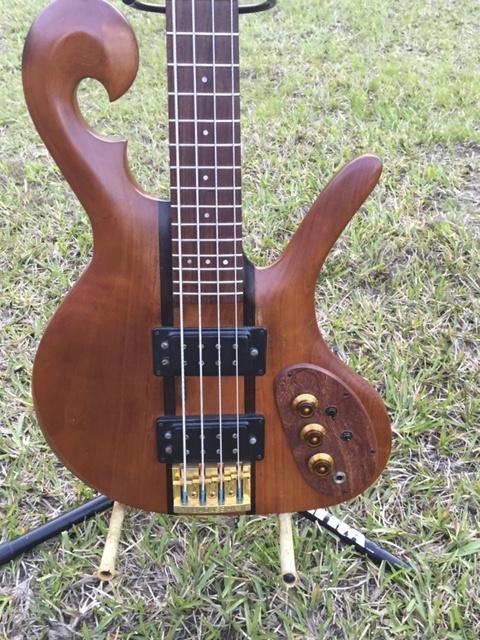 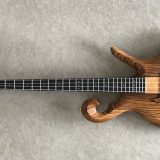 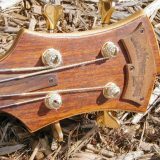 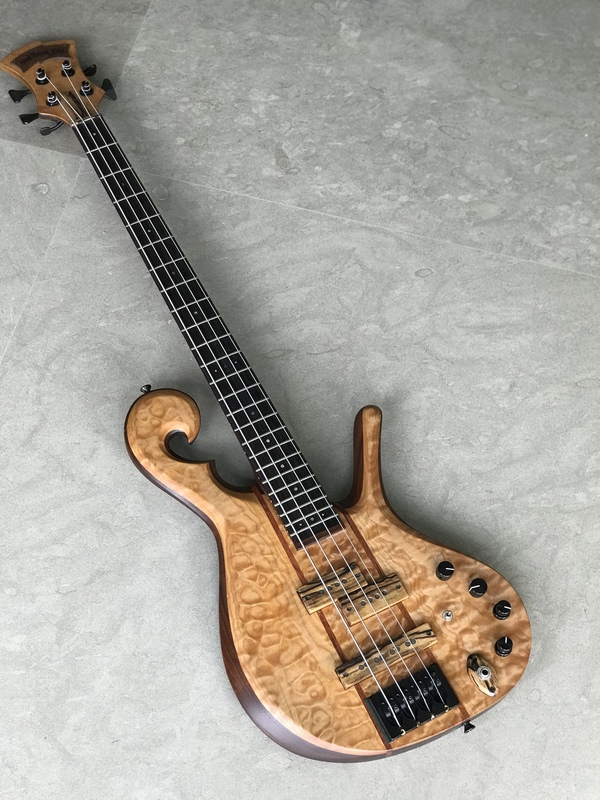 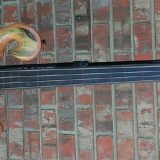 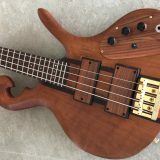 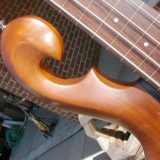 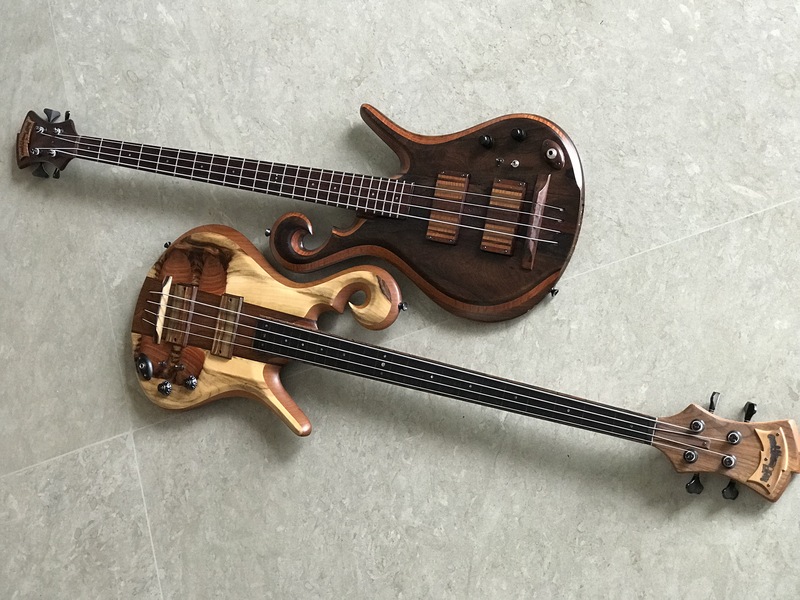 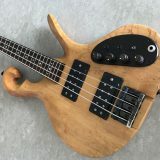 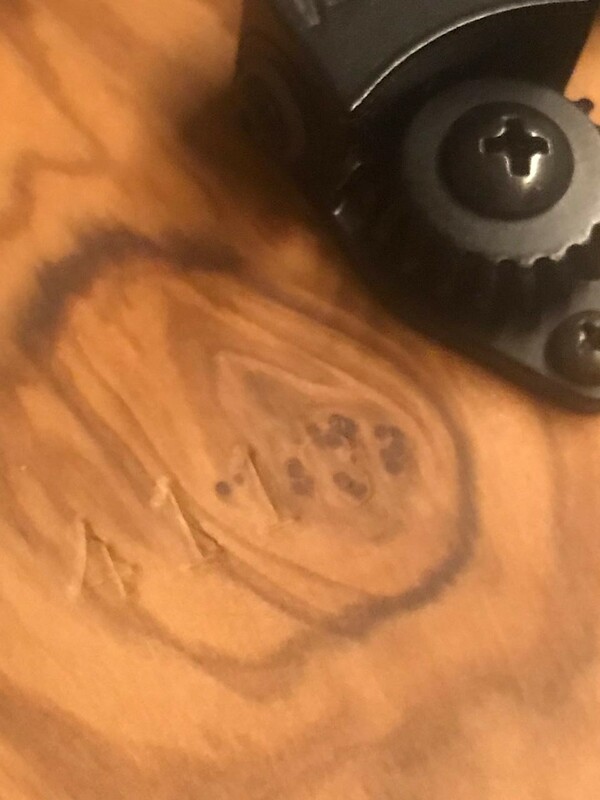 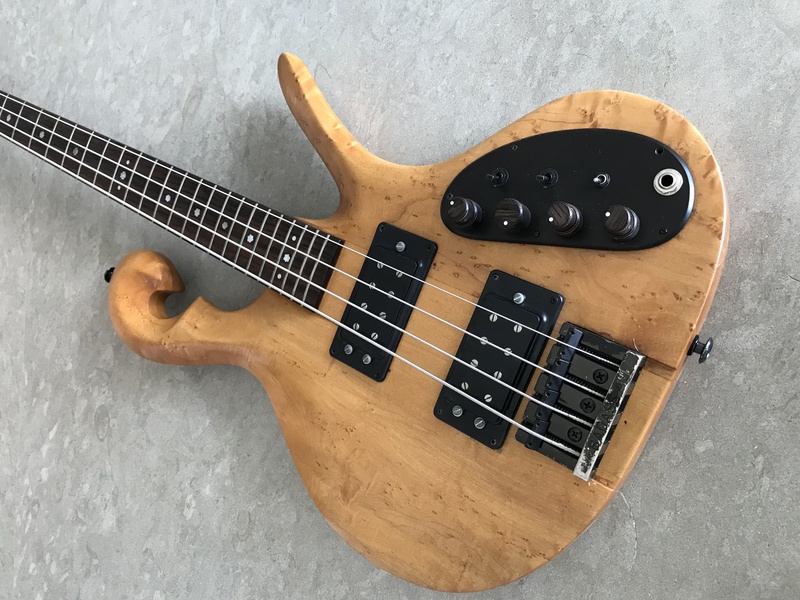 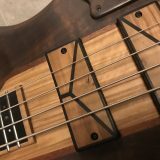 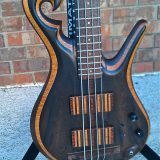 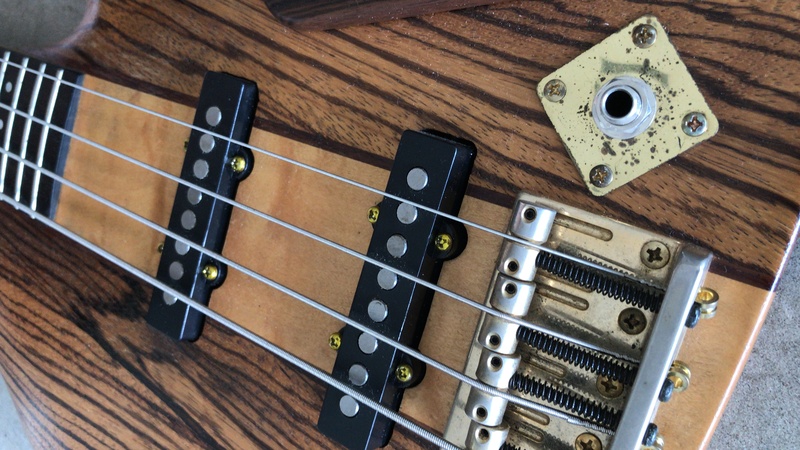 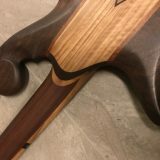 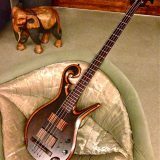 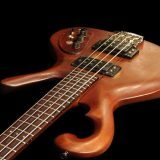 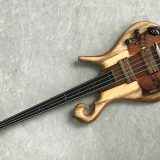 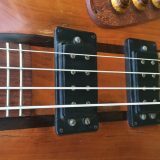 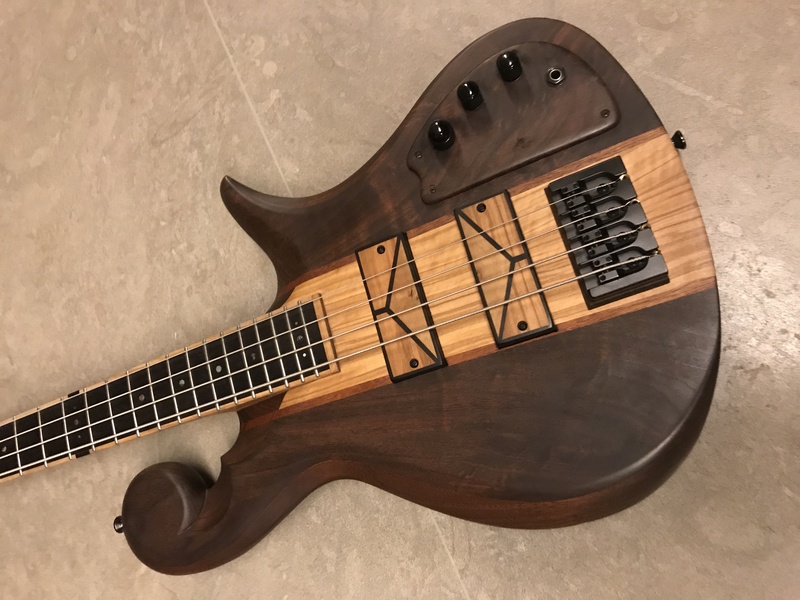 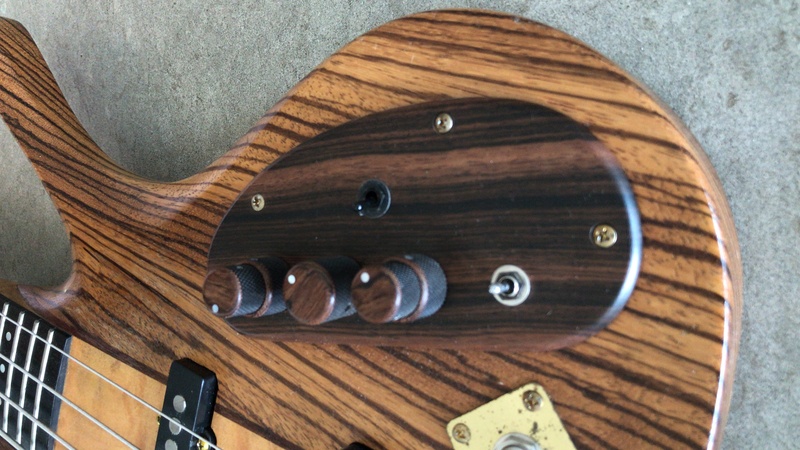 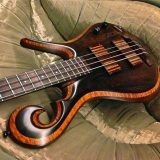 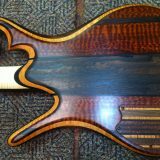 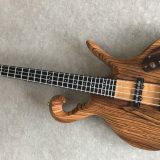 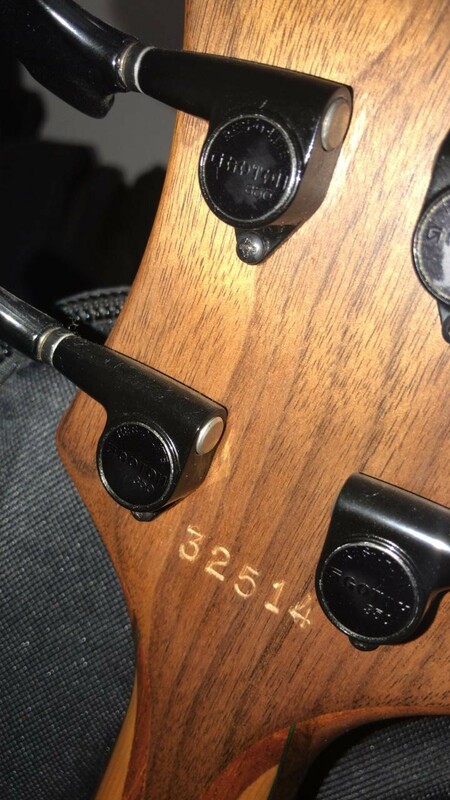 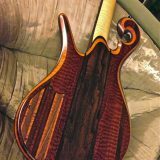 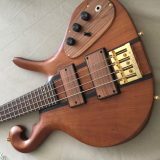 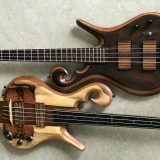 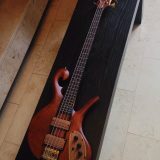 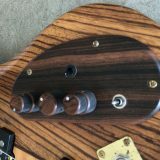 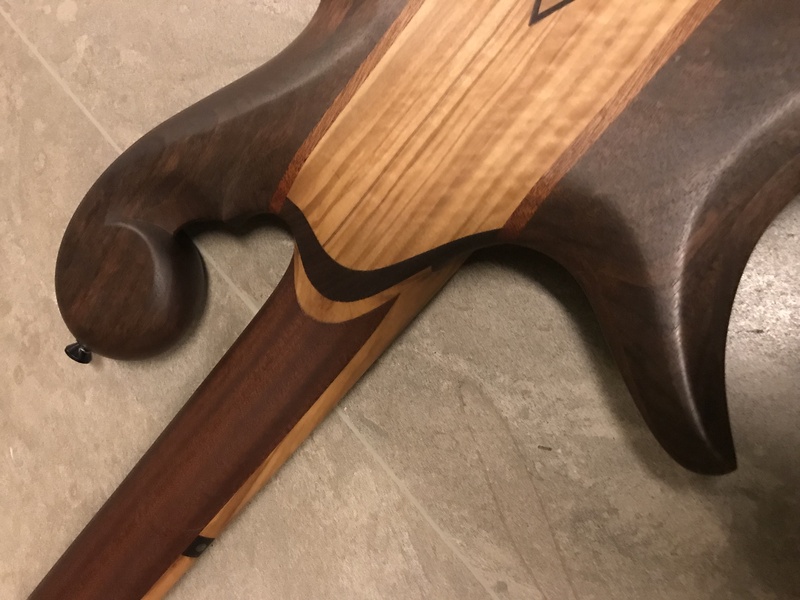 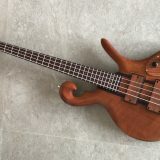 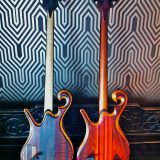 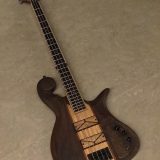 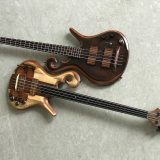 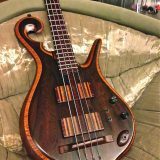 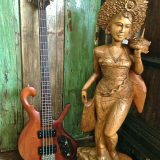 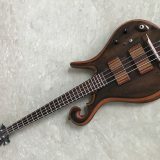 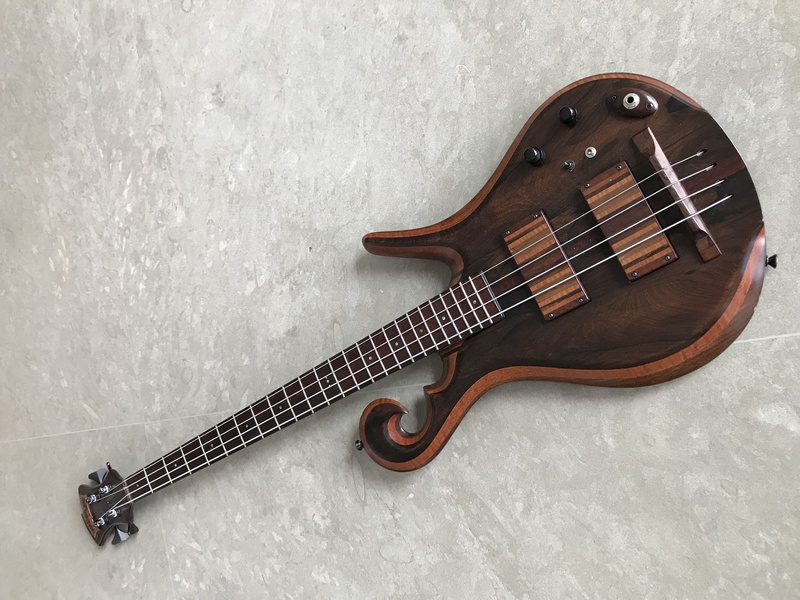 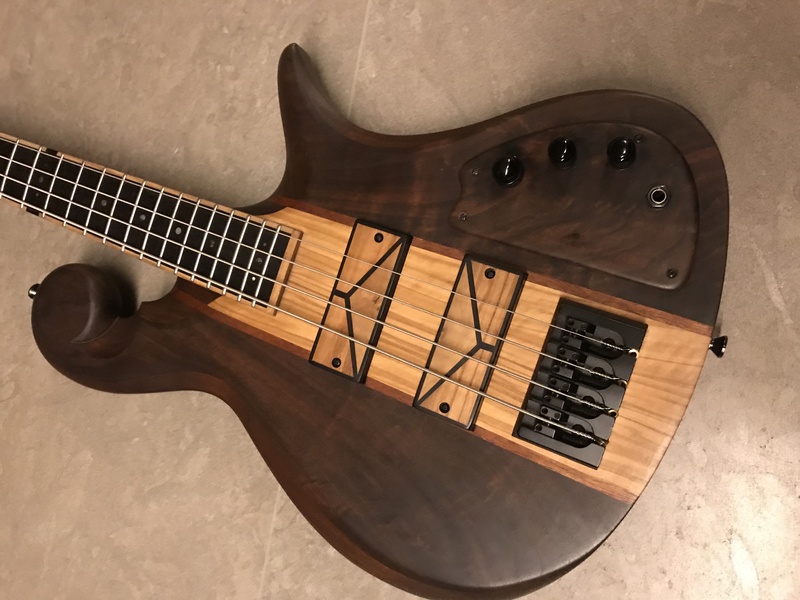 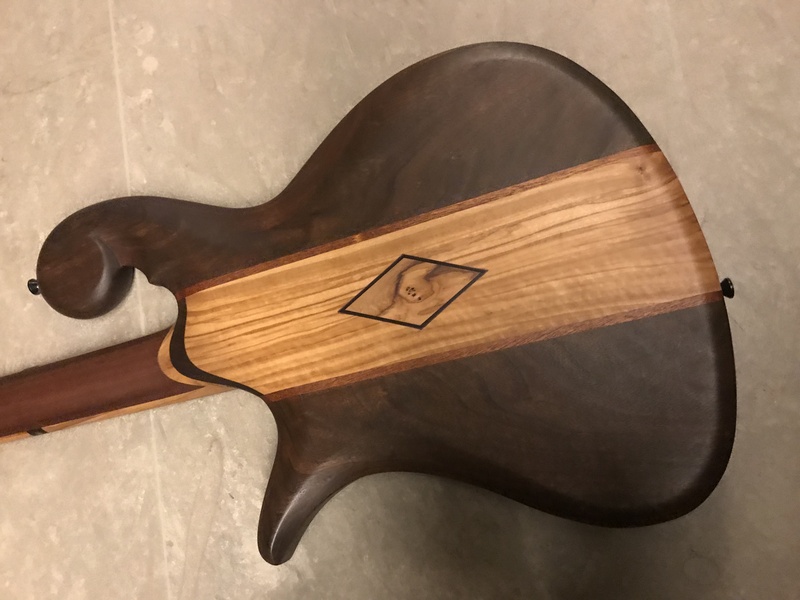 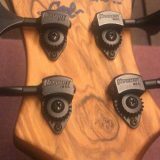 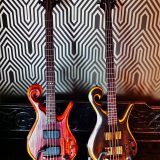 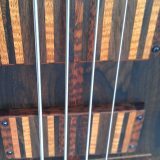 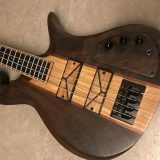 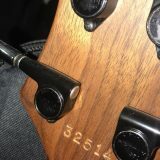 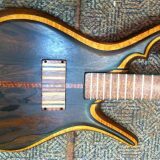 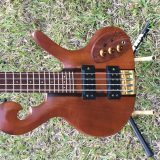 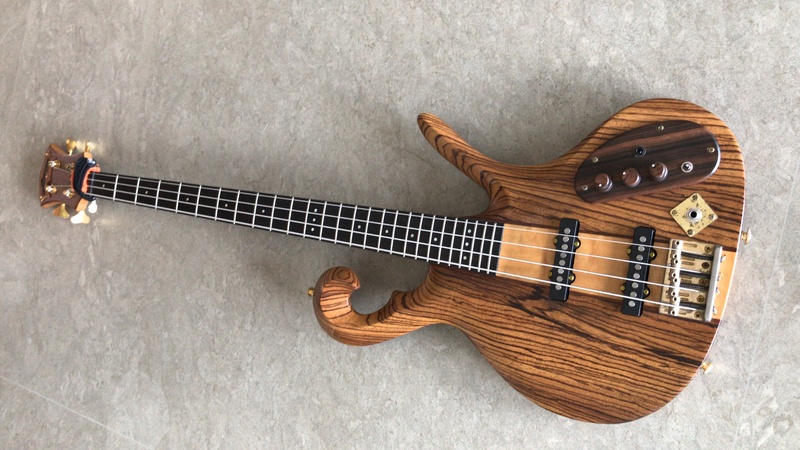 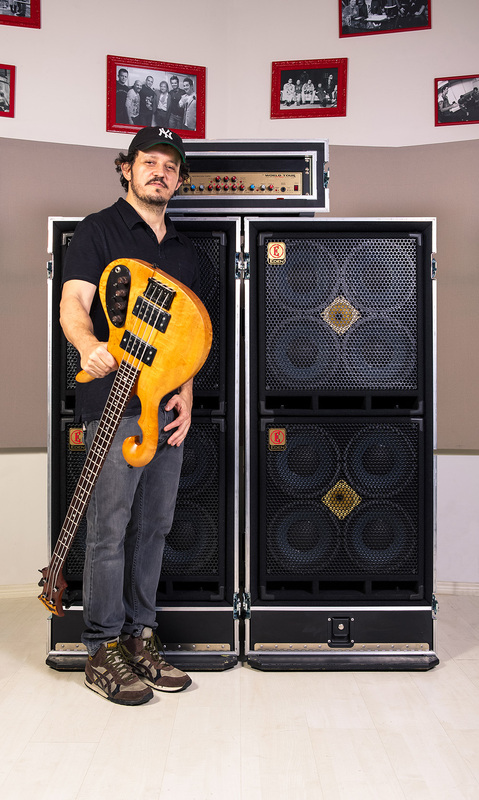 PJ says “in addition to the great sound, look, feel and ergonomics, CT basses have a super magnetic and spiritual approach – it’s almost magic and hard to explain. 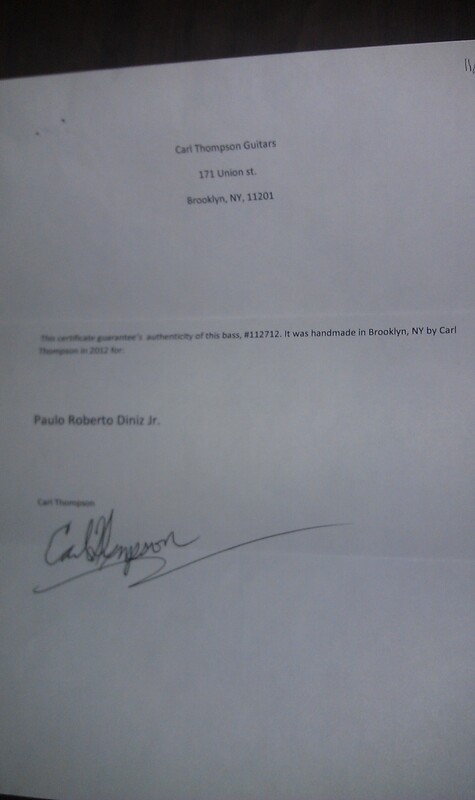 Also Carl himself inspires me through his way of life and philosophy”. 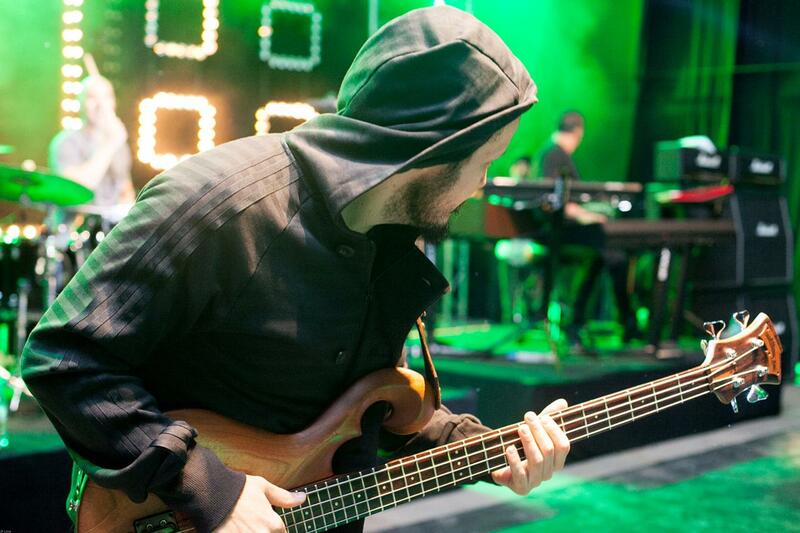 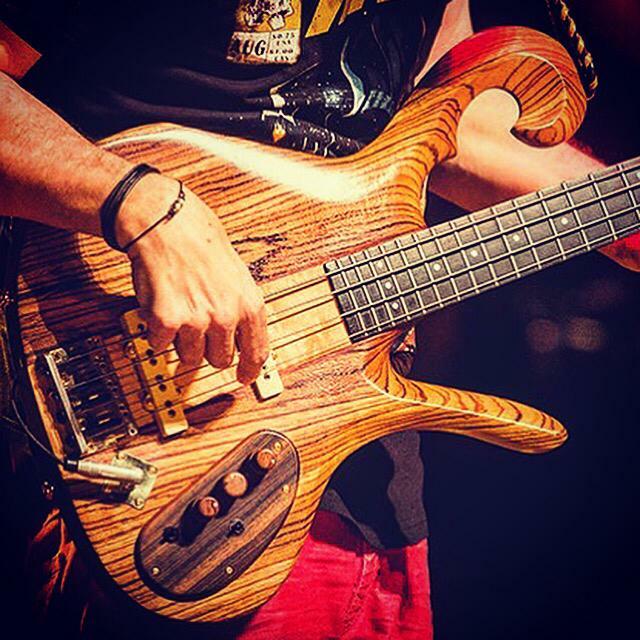 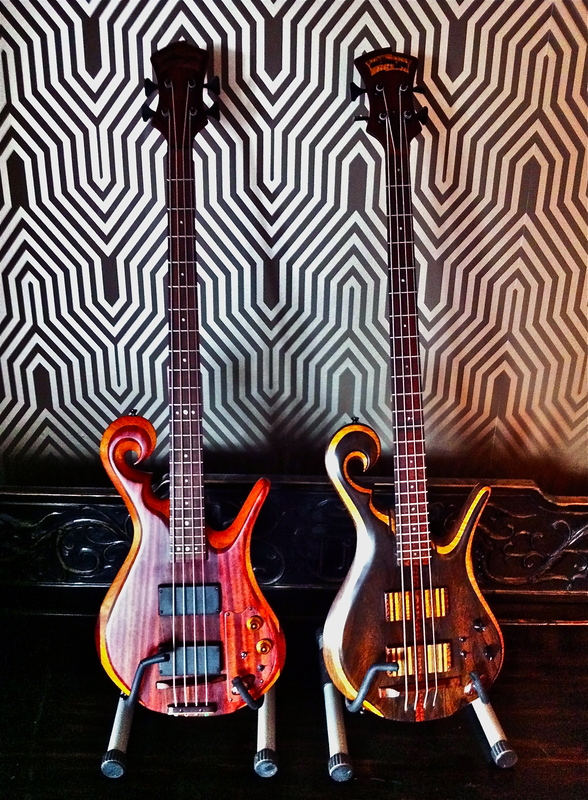 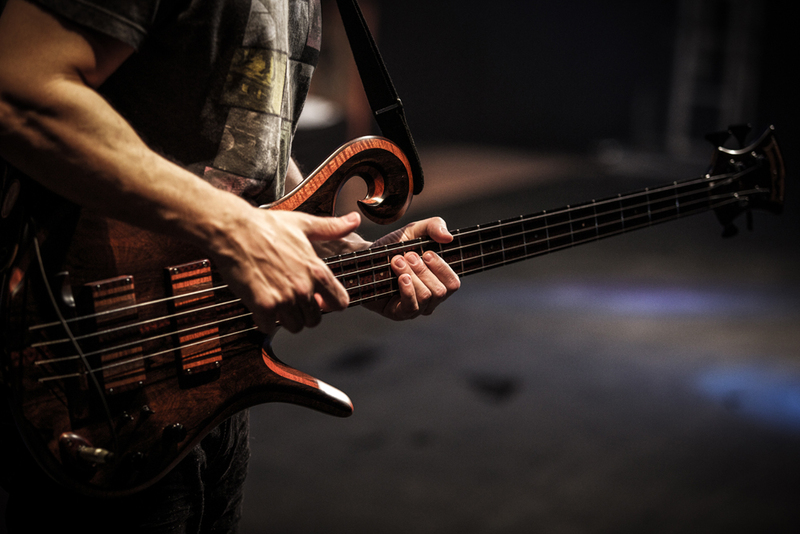 Today PJ owns eight Carl Thompson basses, but at one time he had as many as 15! 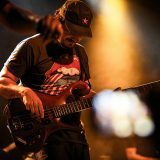 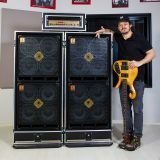 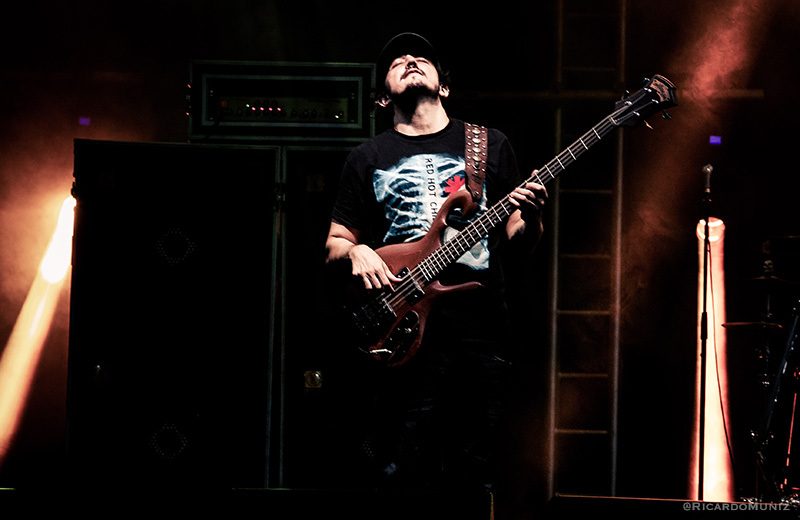 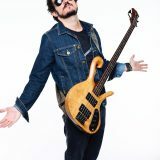 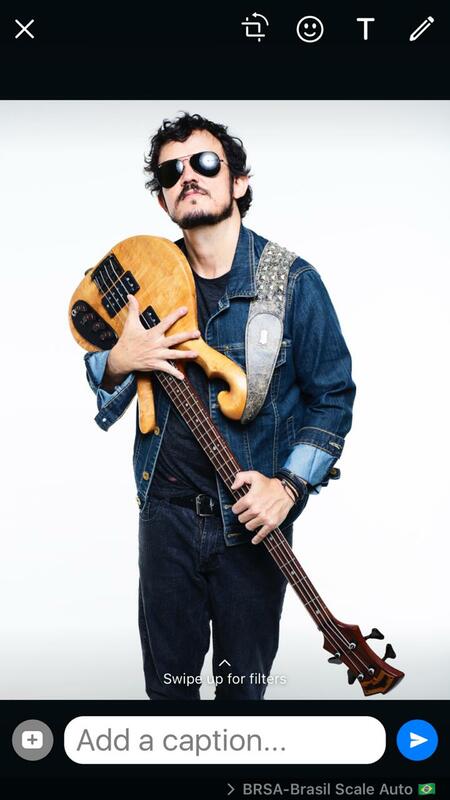 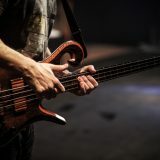 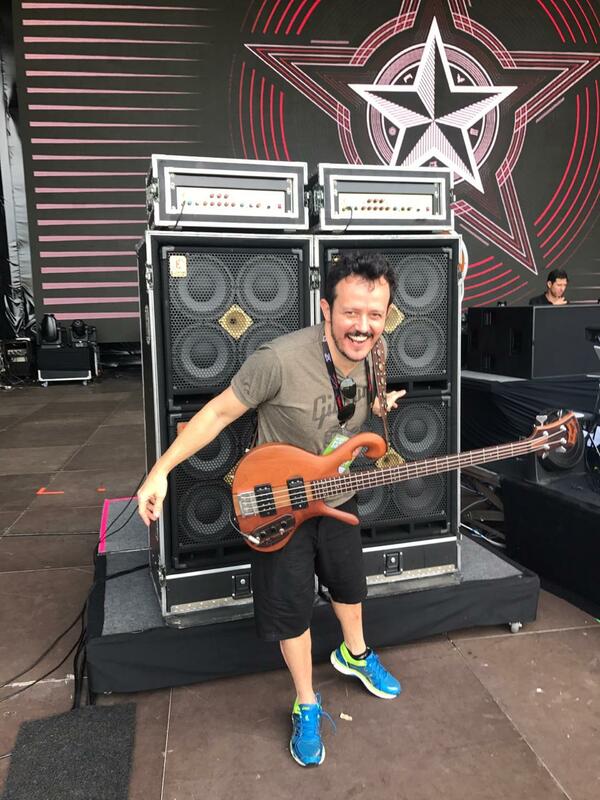 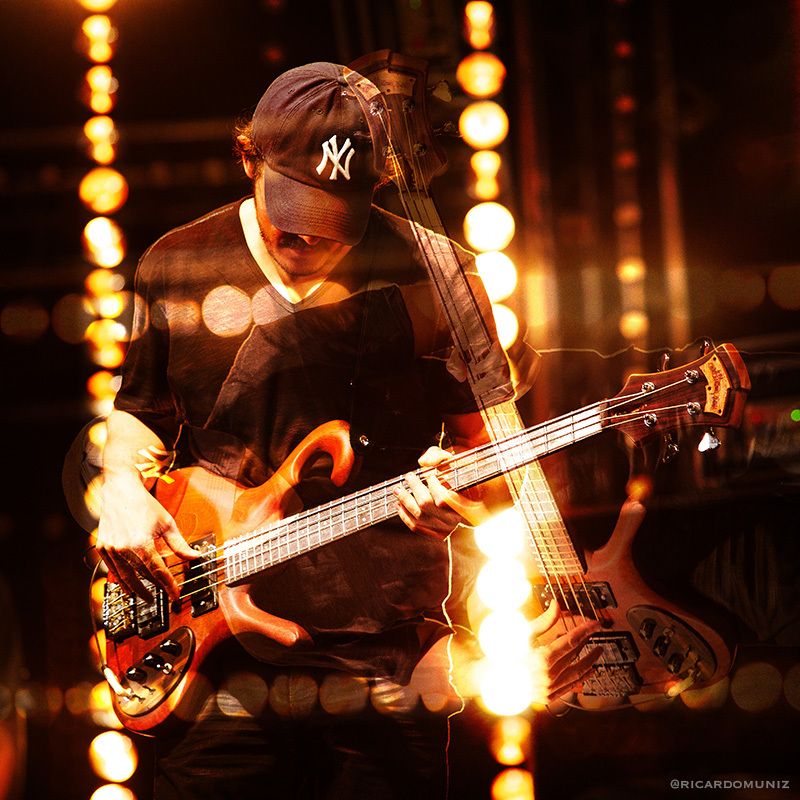 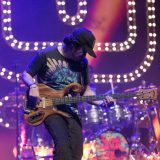 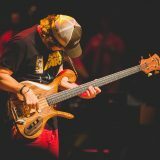 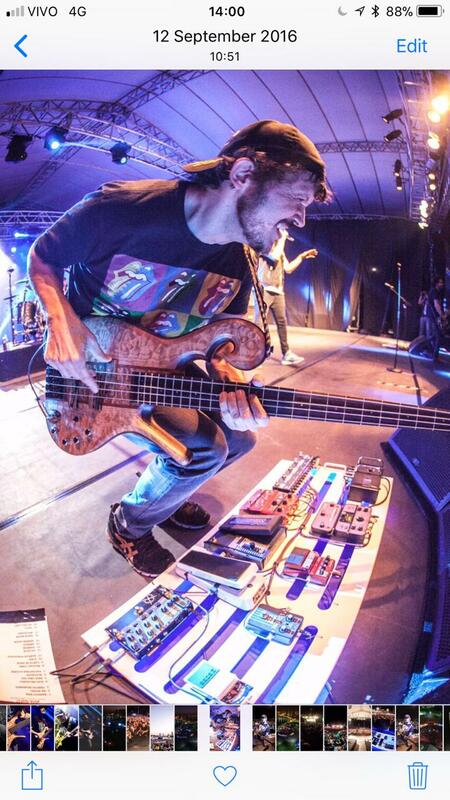 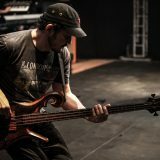 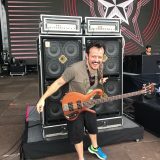 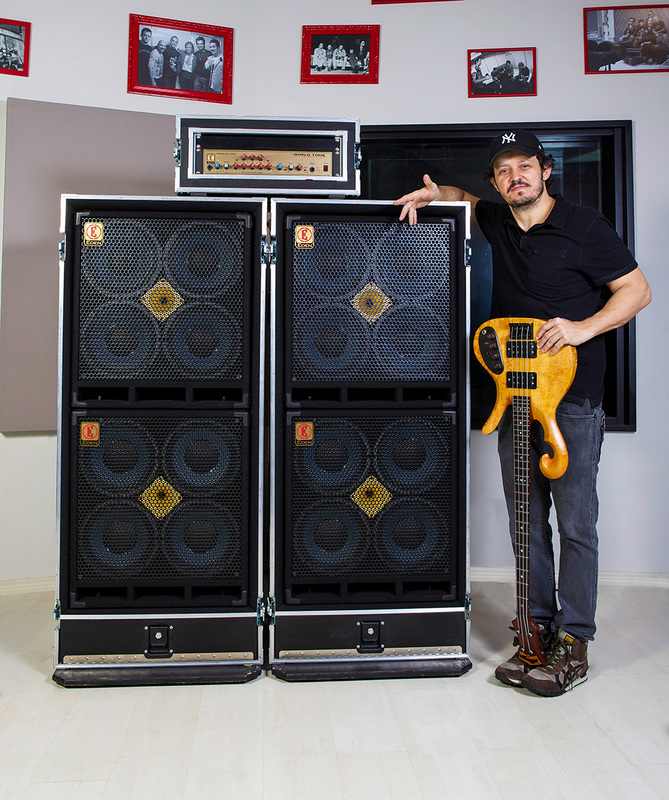 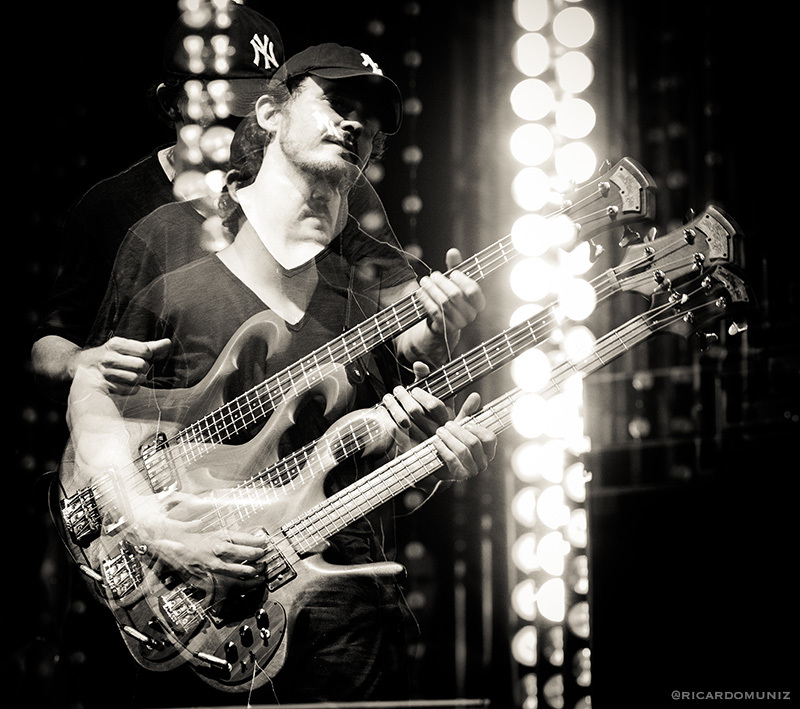 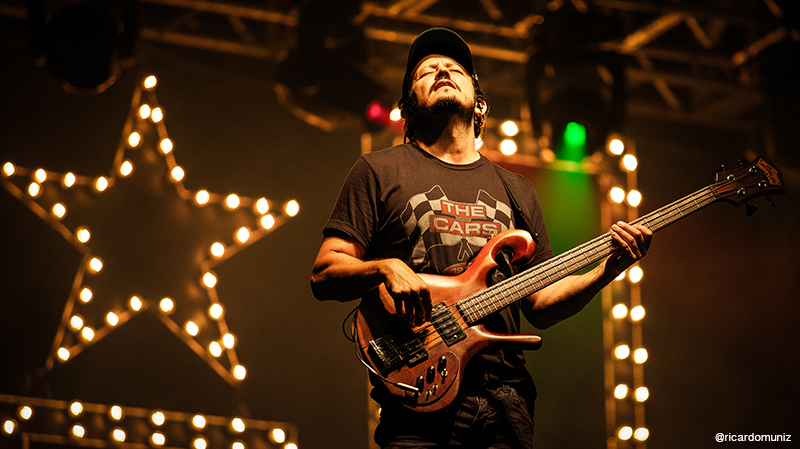 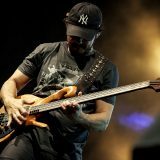 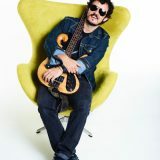 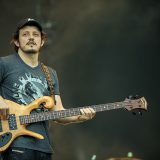 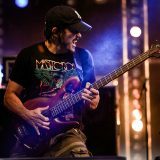 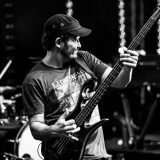 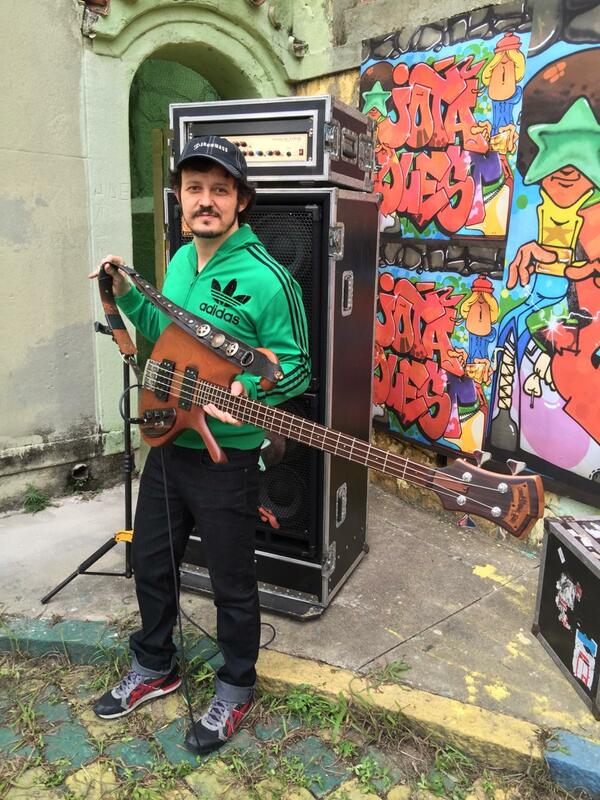 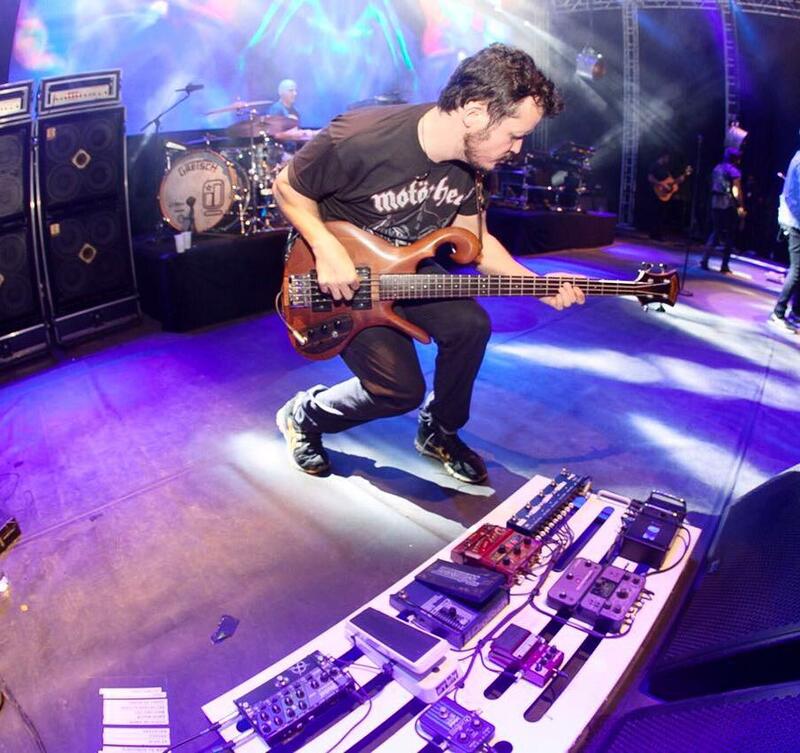 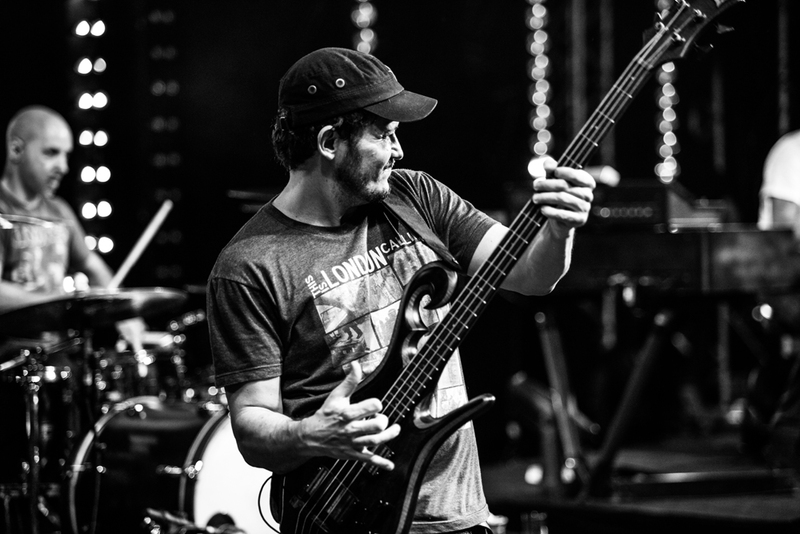 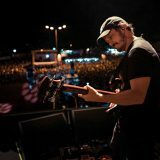 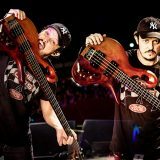 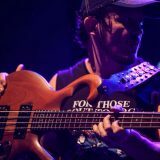 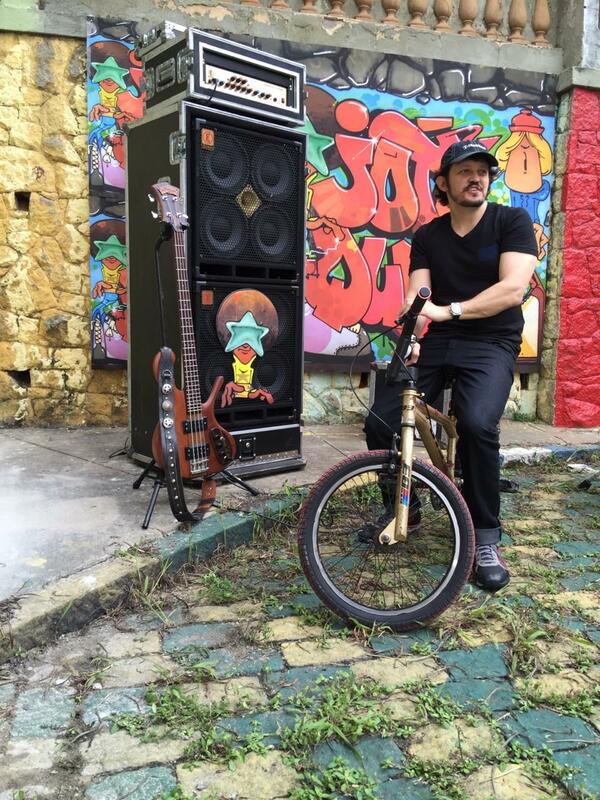 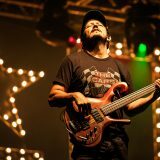 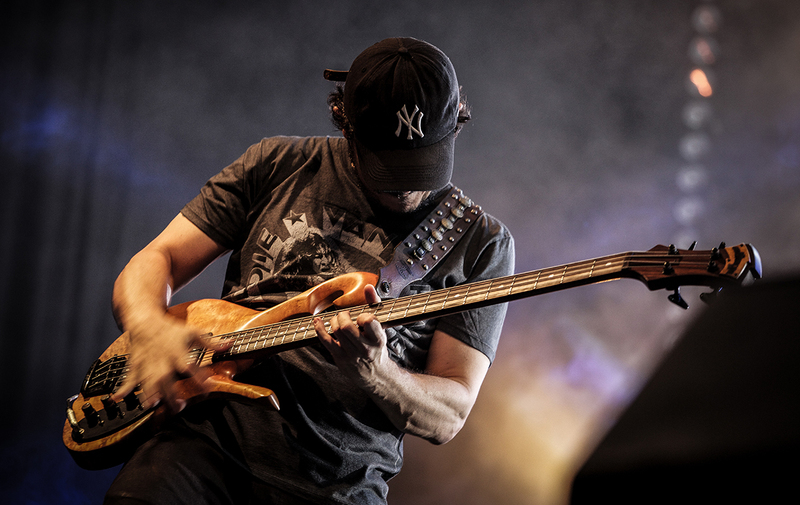 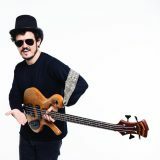 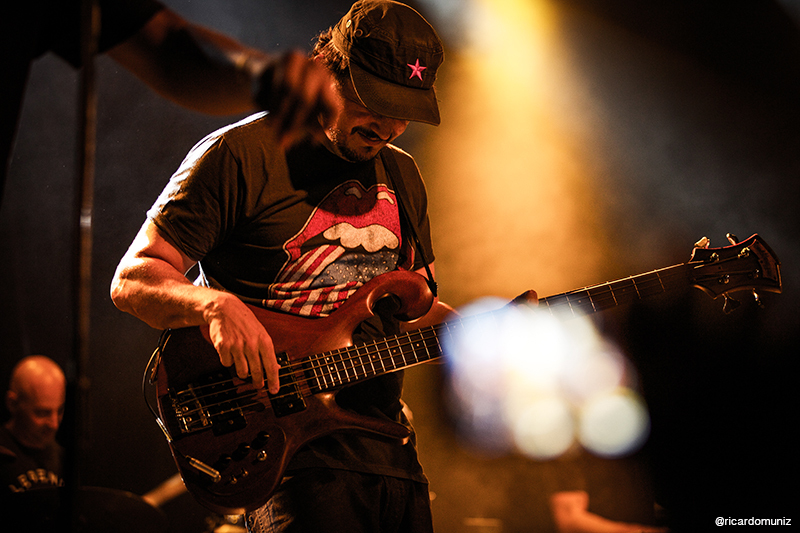 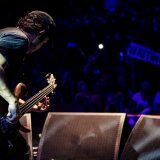 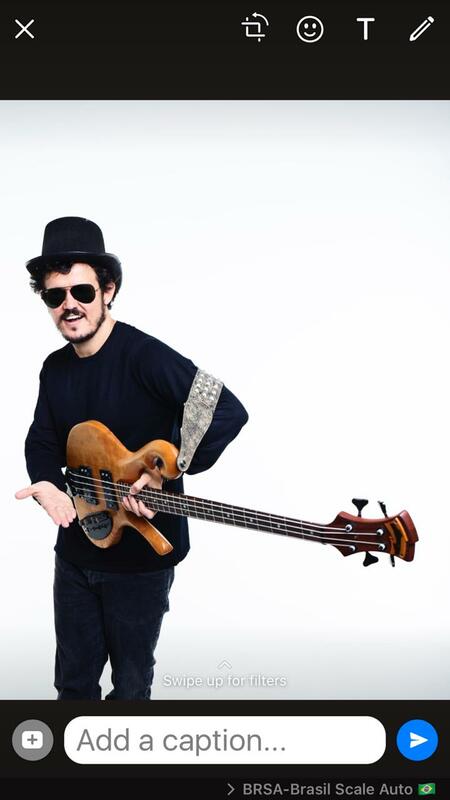 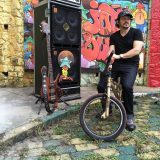 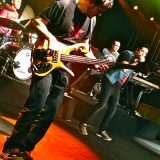 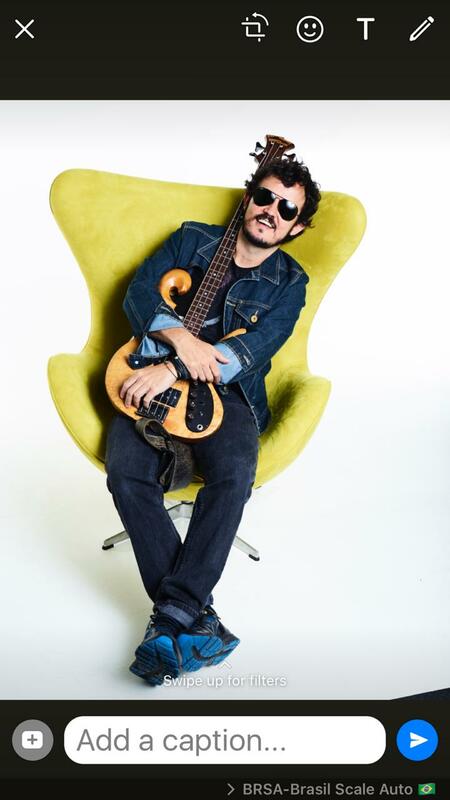 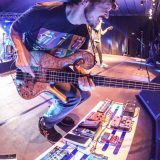 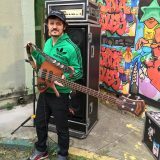 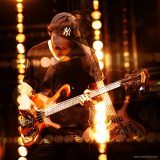 Carl’s basses have been featured on Jota Quest tracks ‘Entre sen Bater’, ‘Reggae Town’, ‘É de Coração’ and ‘Realinhar’ from the album ‘Funky Funky Boom Boom’, and ‘Blecaute’ (named 2016 best Brazilian song), ‘Sendo Assim’, ‘Beijos em Paris’ and ‘Freak Fonk Funk’ from the album ‘Pancadelico’.